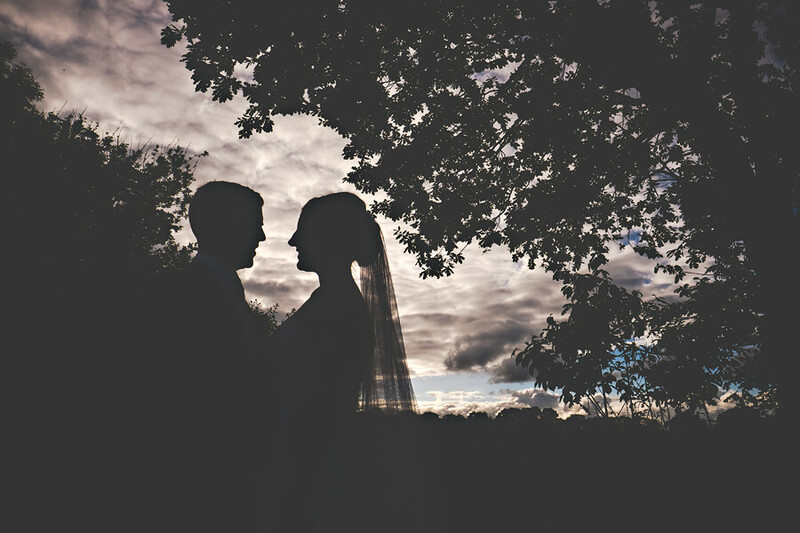 The threat of sunshine was always present but luckily for everyone the rain did actually stay away. 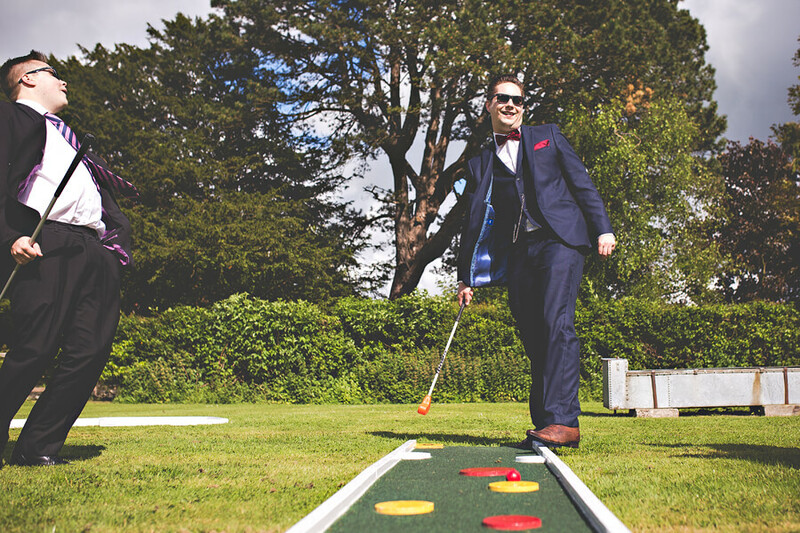 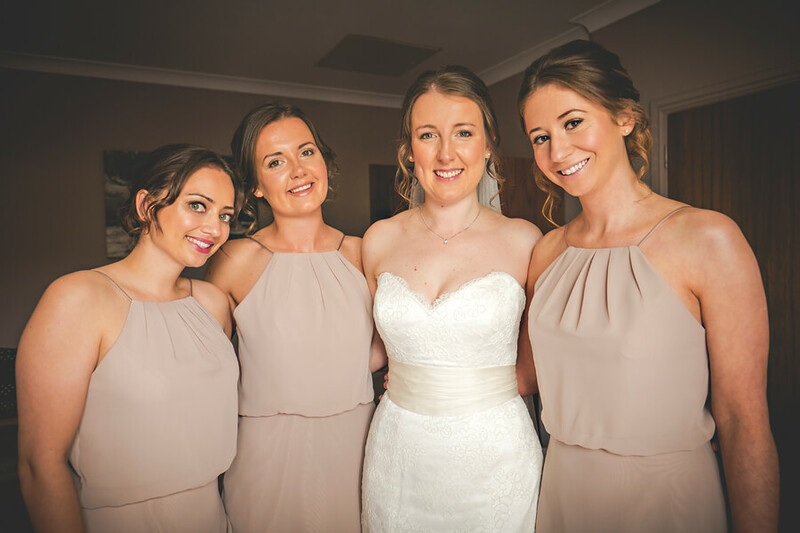 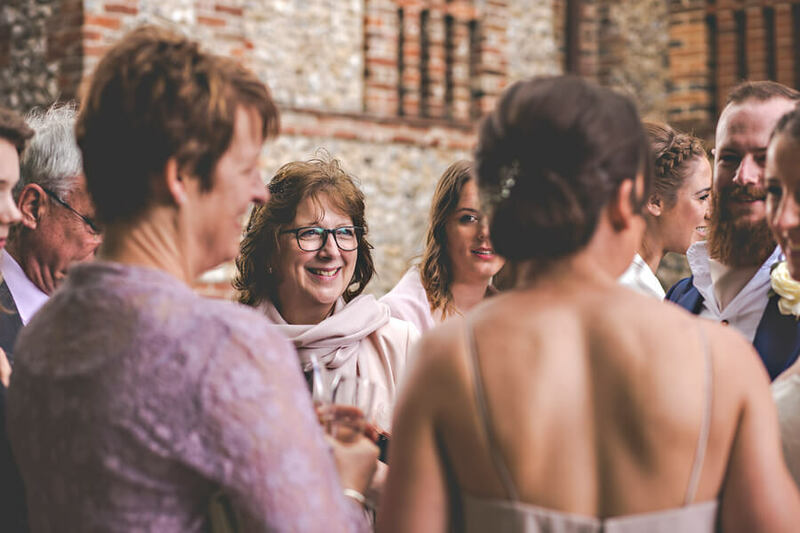 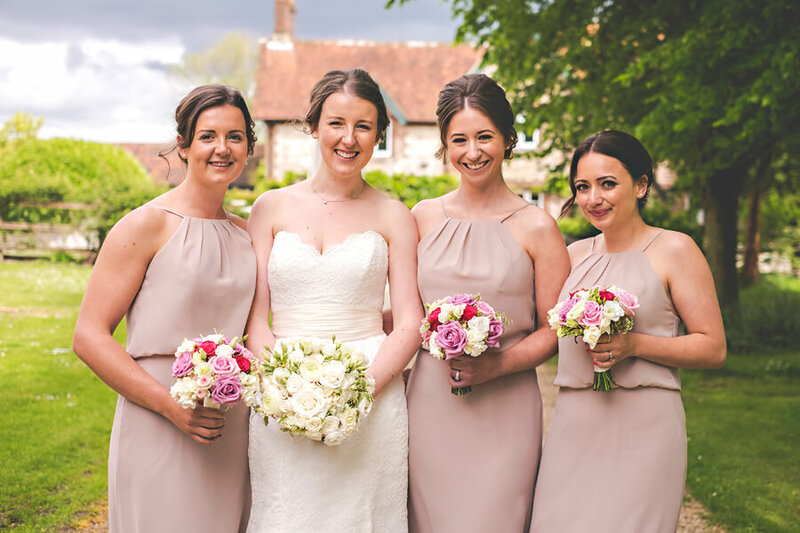 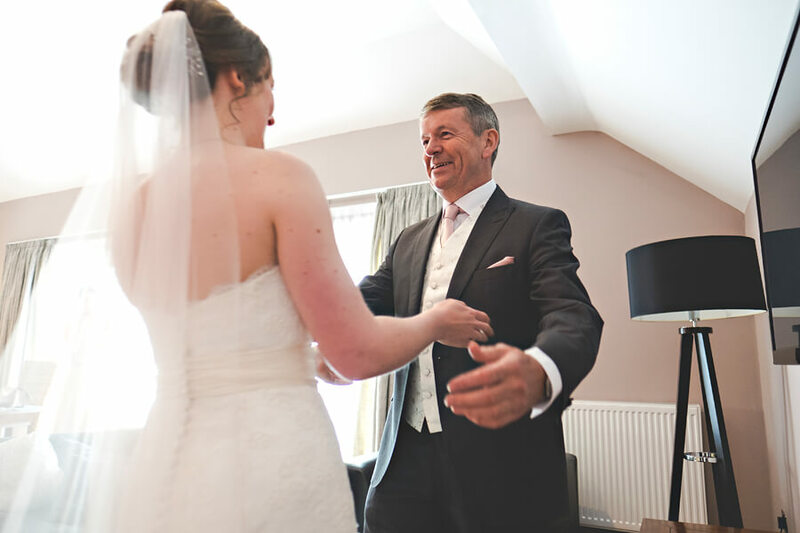 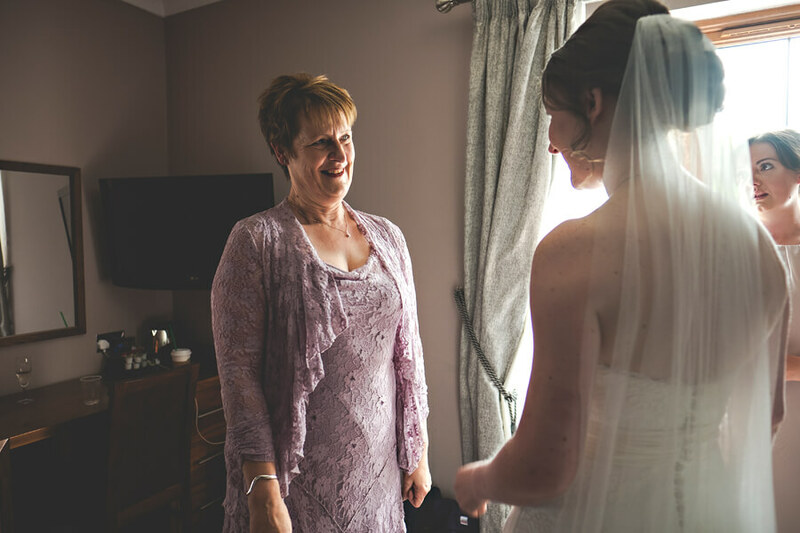 I met up with Sarah, the Bridesmaids and her parents at Old Thorns in Liphook. 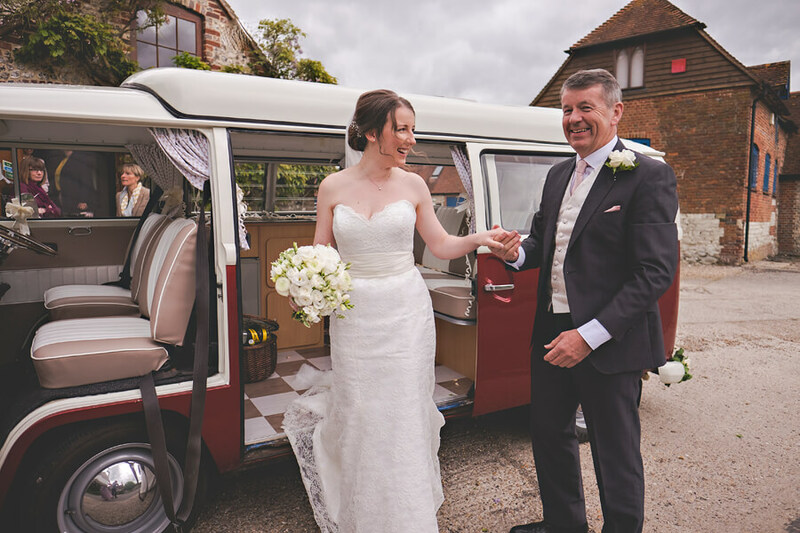 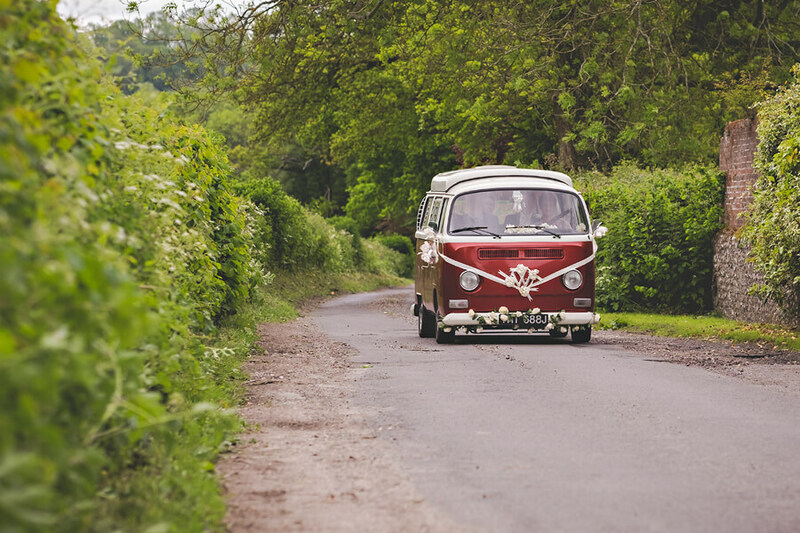 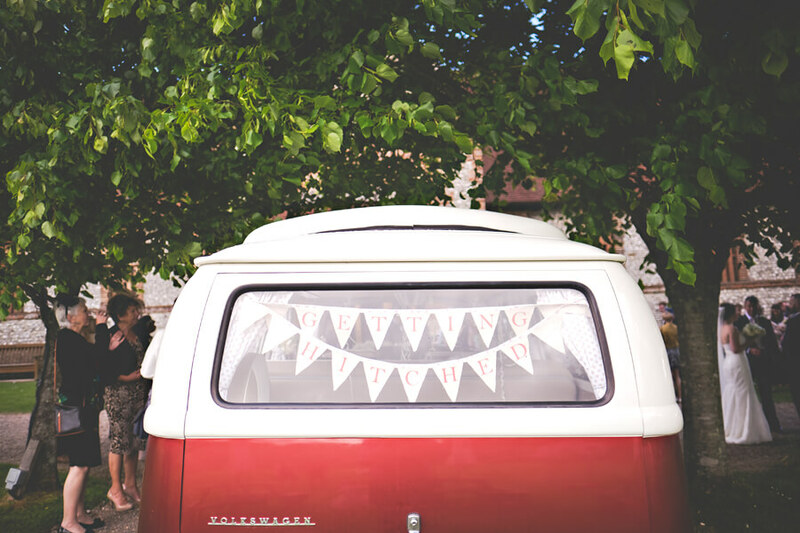 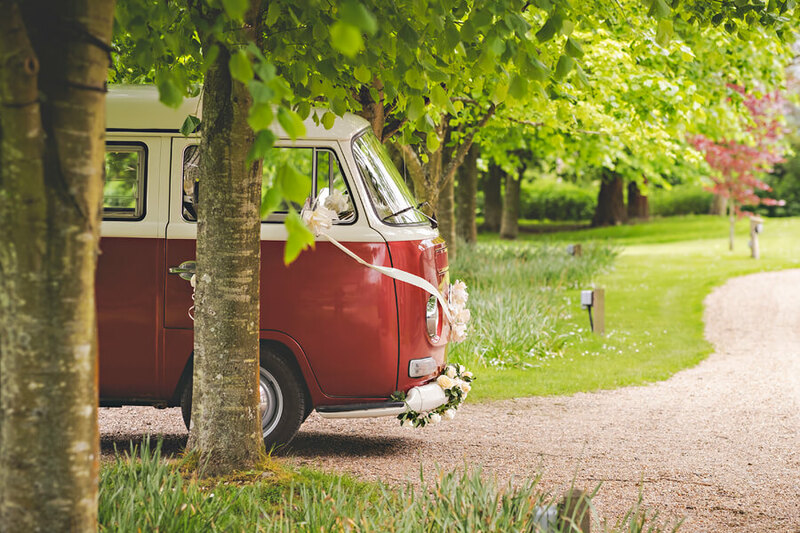 Whilst arriving for your wedding in a VM campervan is pretty cool, its even more amazing when its your mum’s campervan. 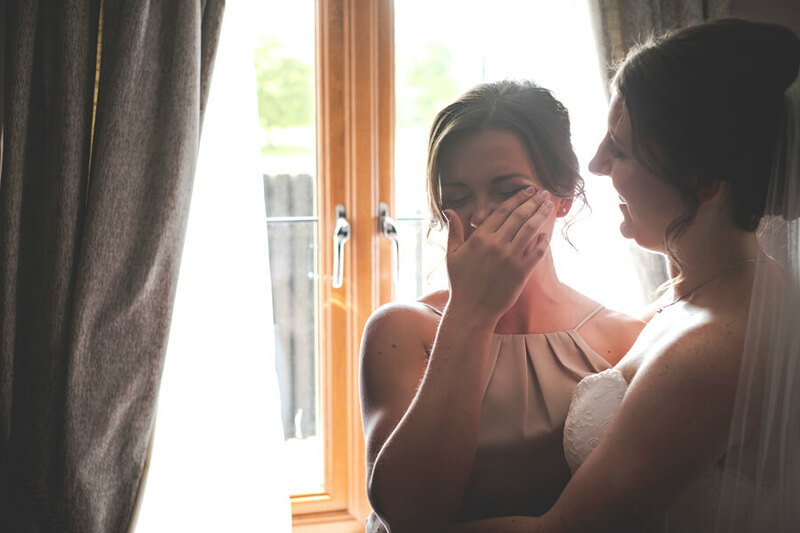 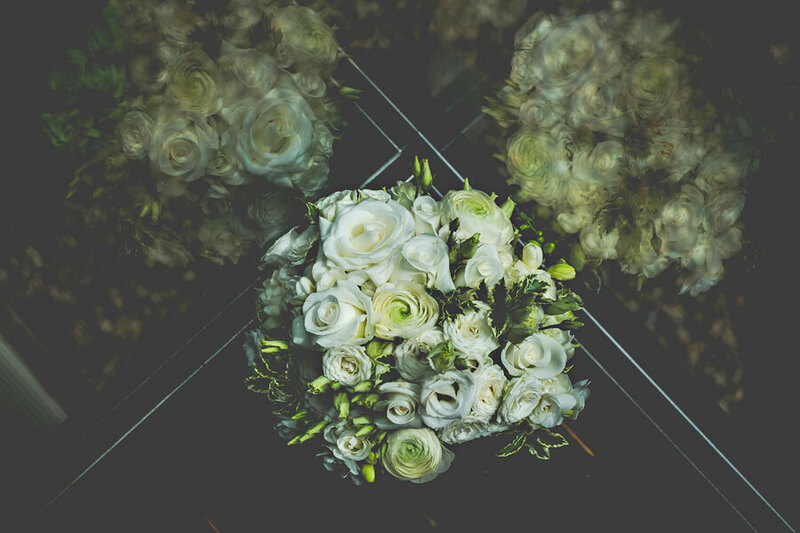 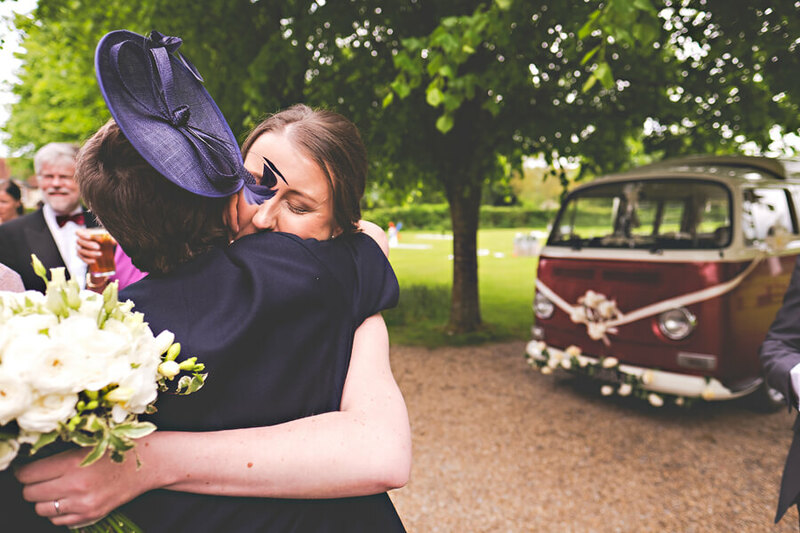 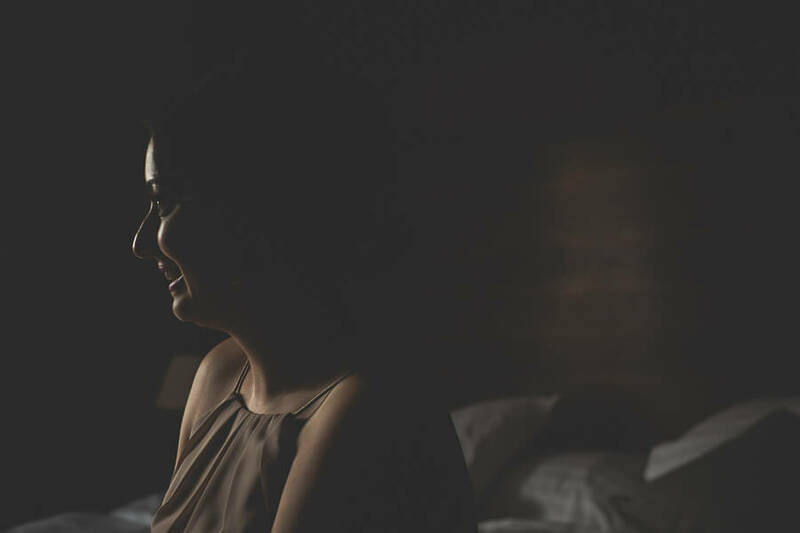 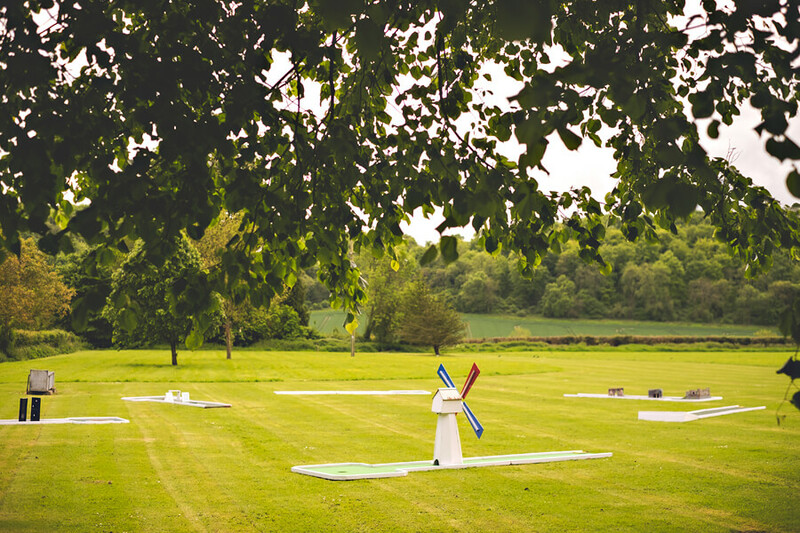 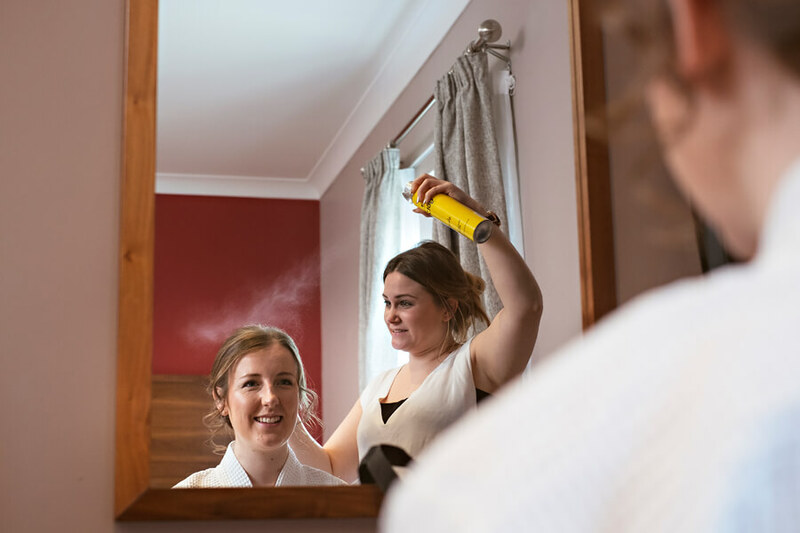 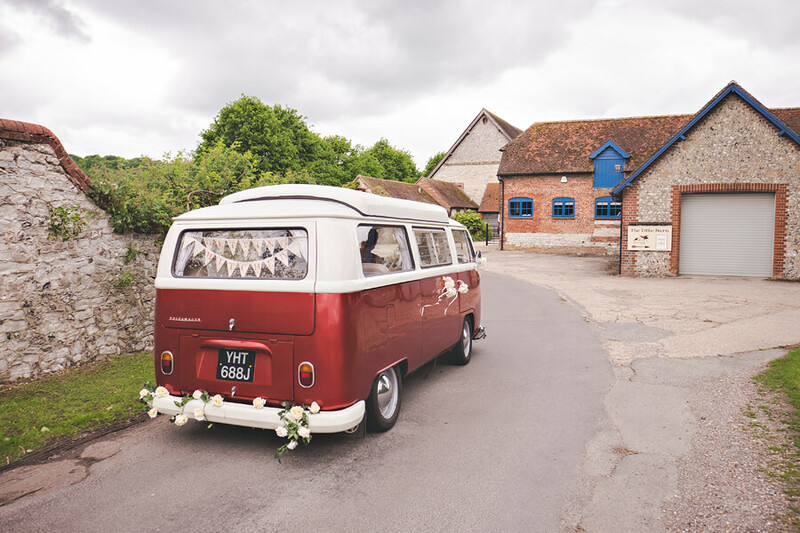 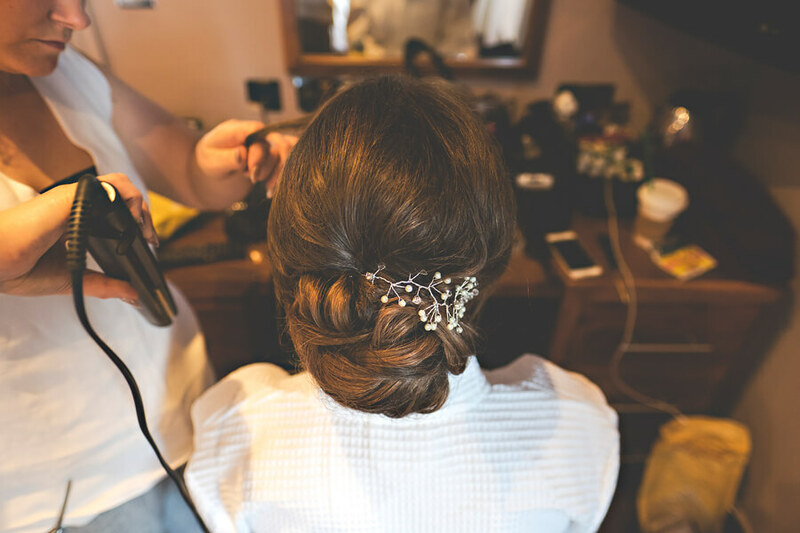 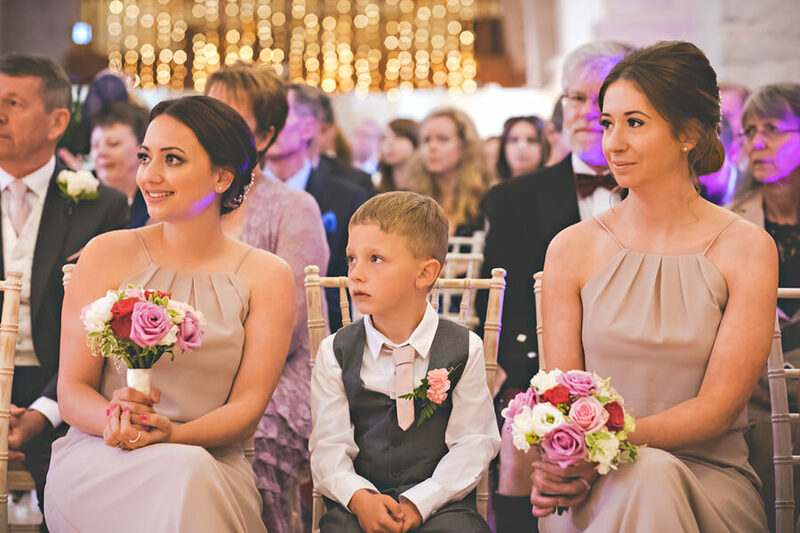 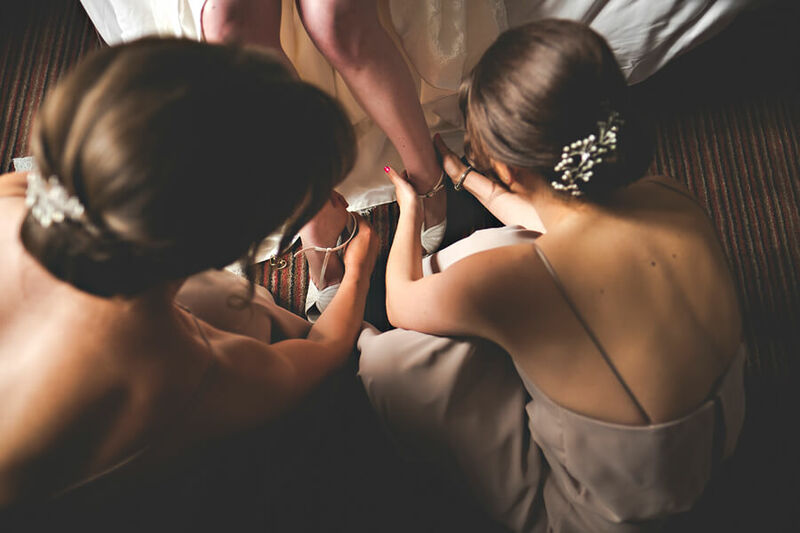 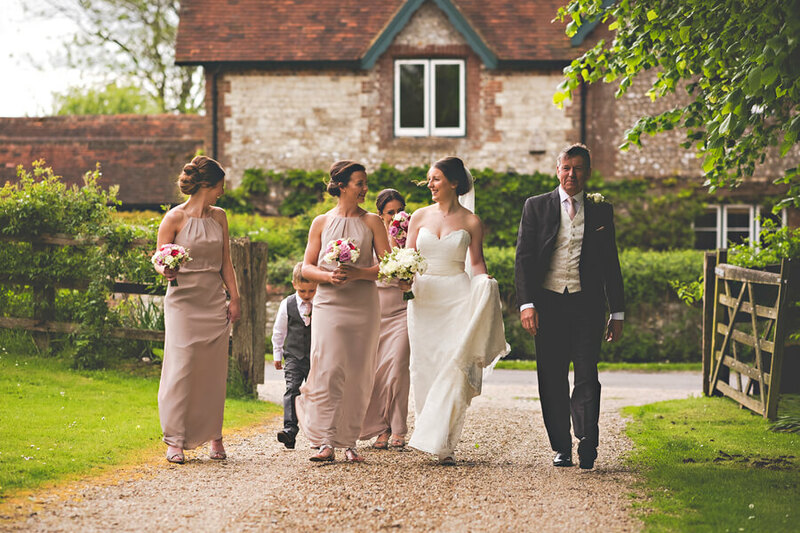 It was perfectly adorned for an amazing journey for both Sarah and her Bridesmaids. 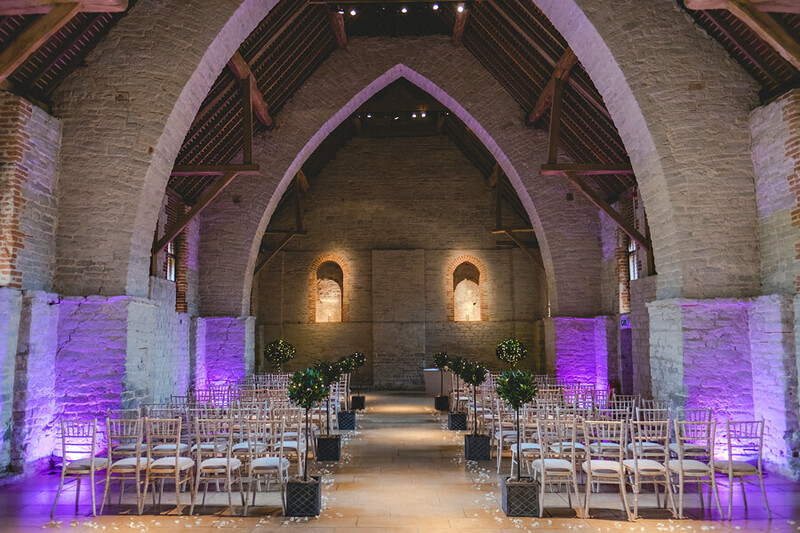 Tithe Barn looked incredible (as usual) with a vast array of purple uplighters giving the barn a fantastic atmopshere. 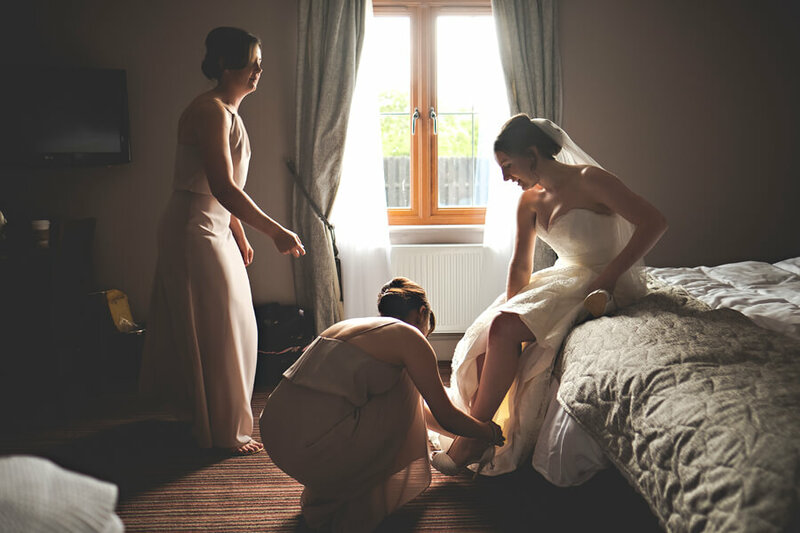 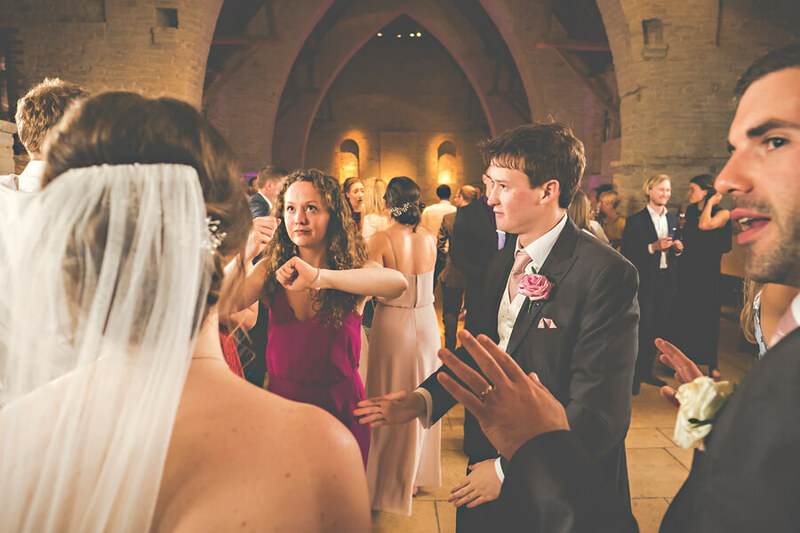 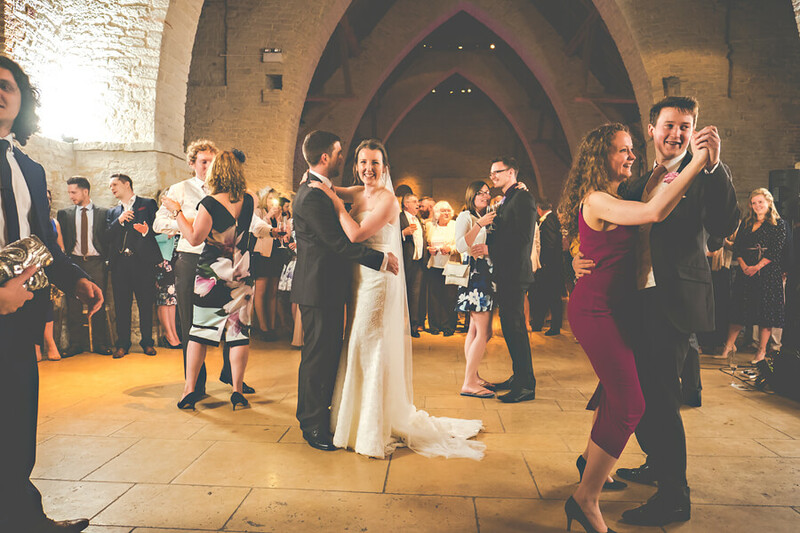 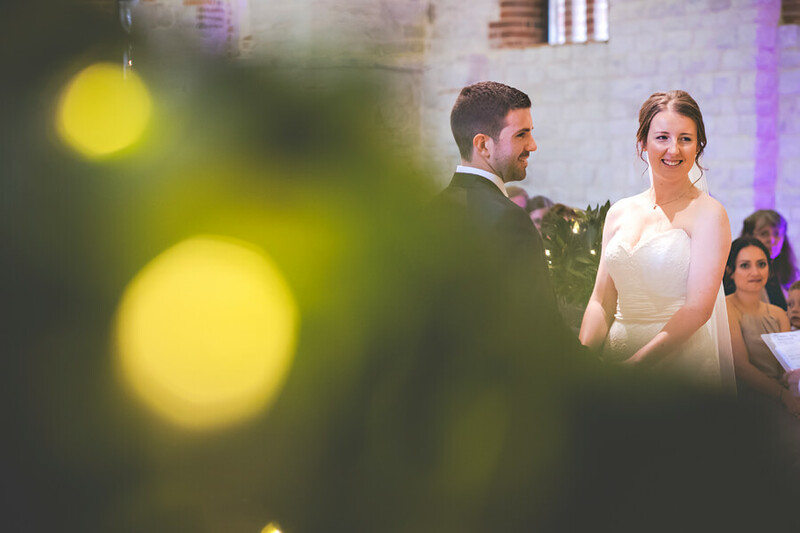 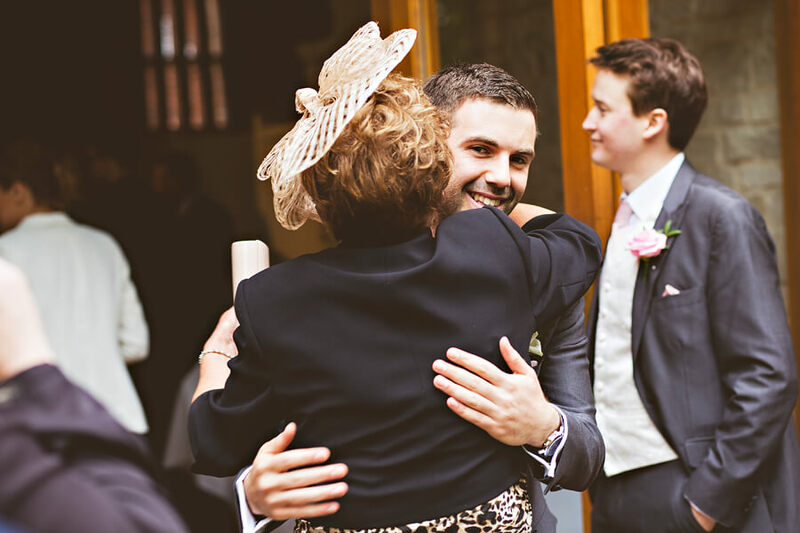 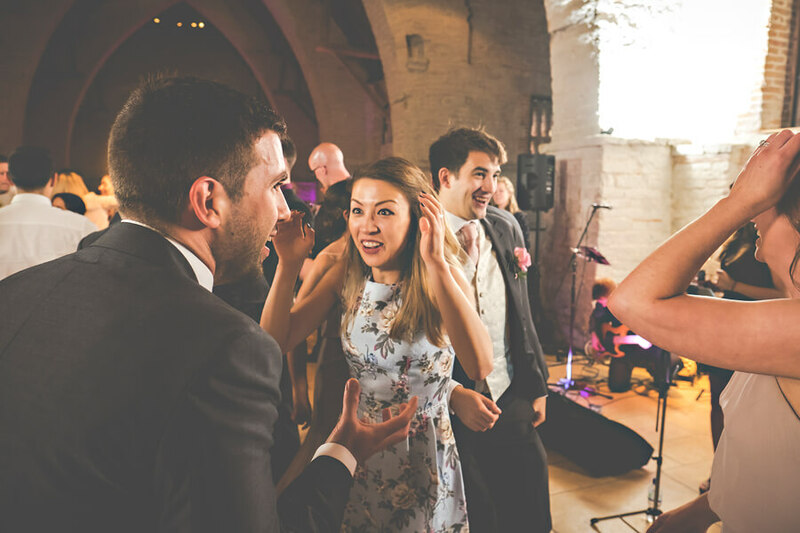 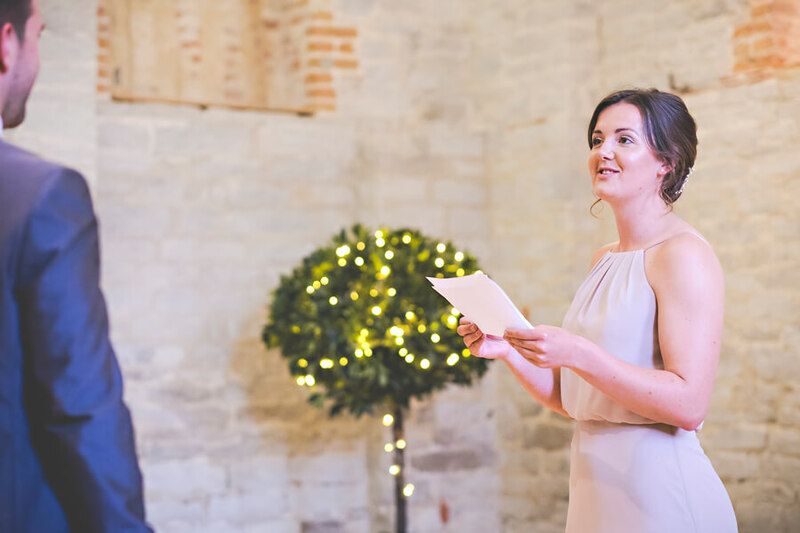 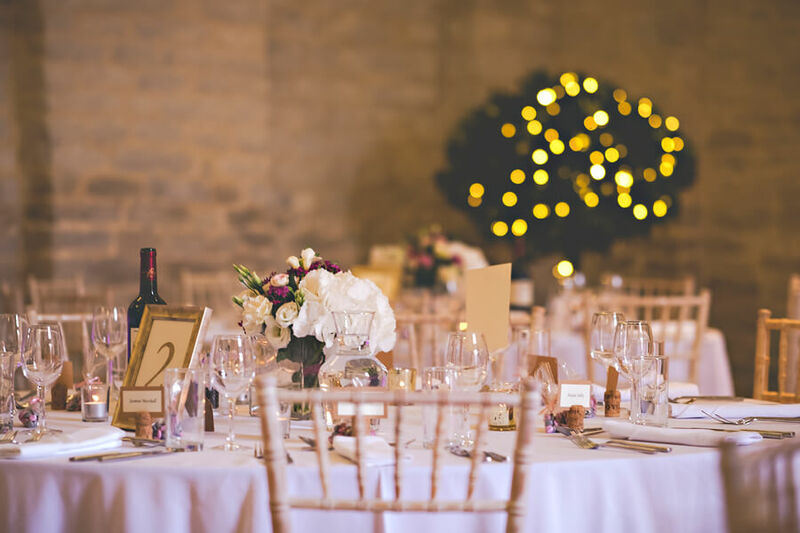 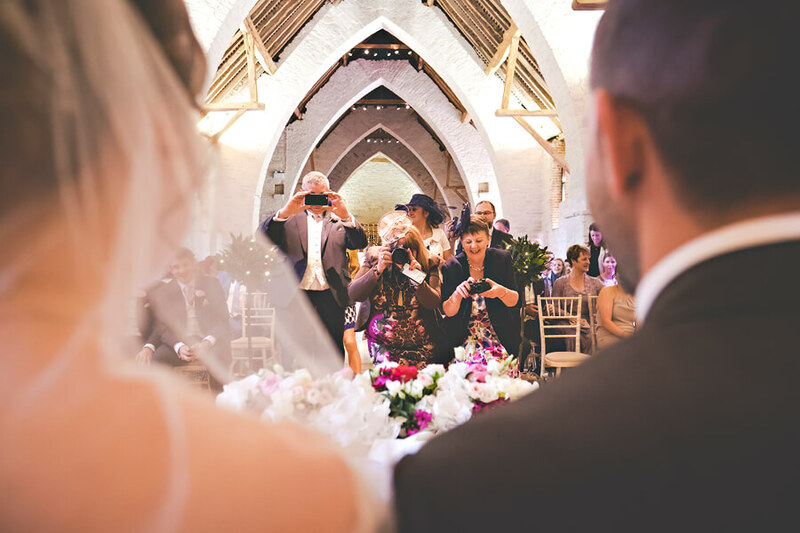 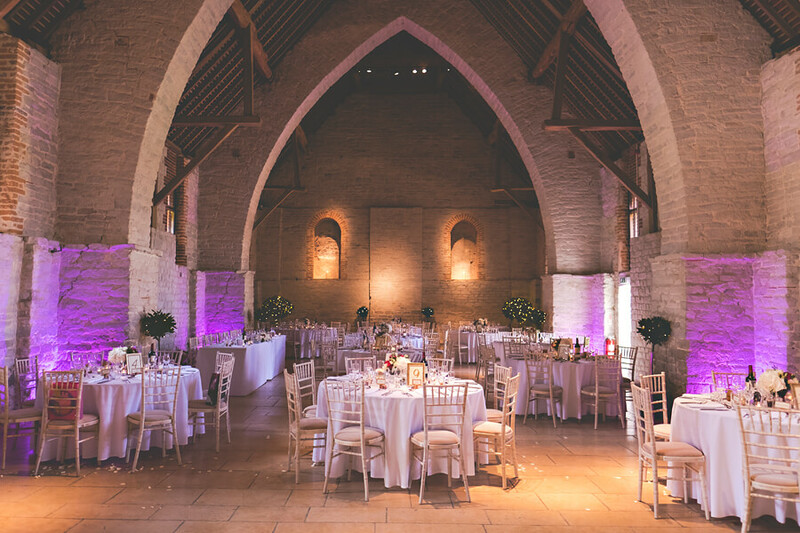 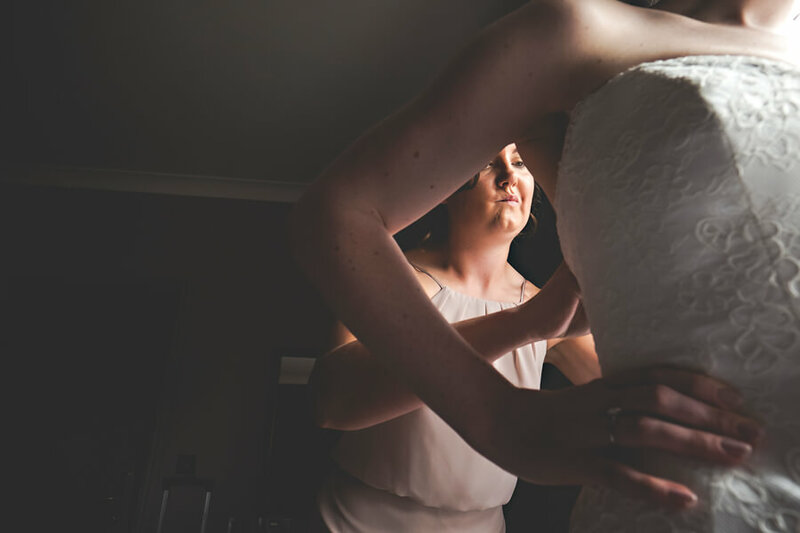 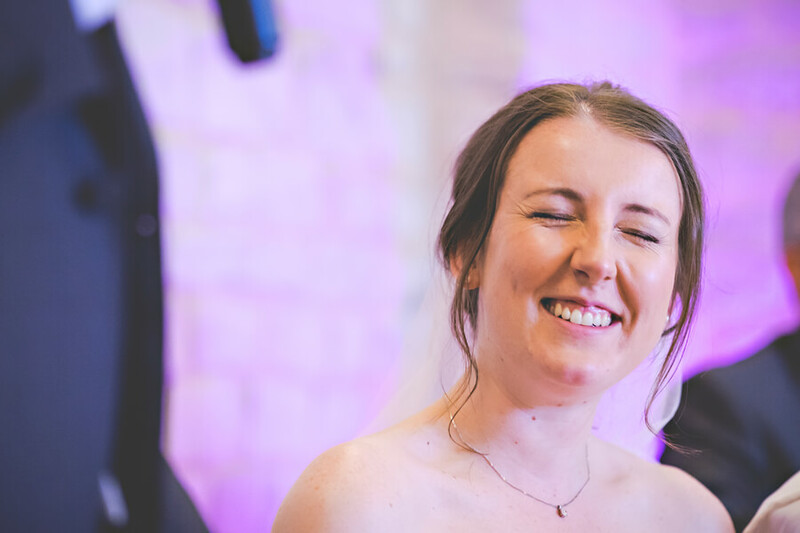 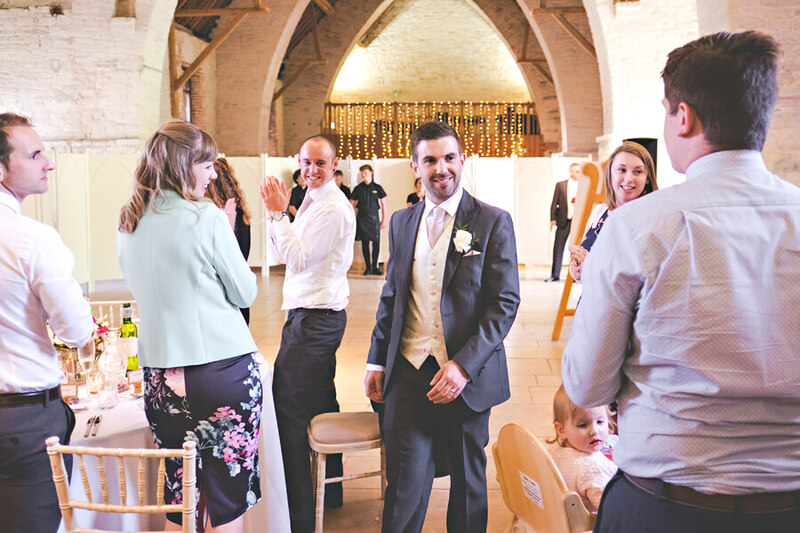 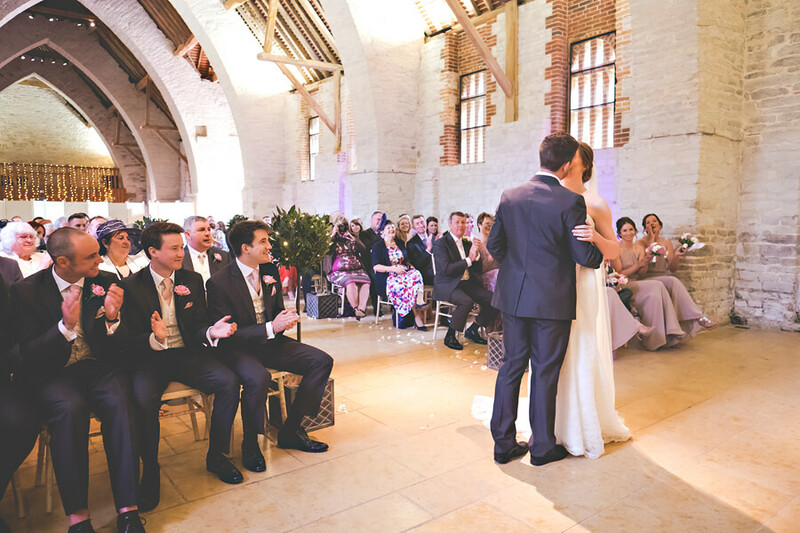 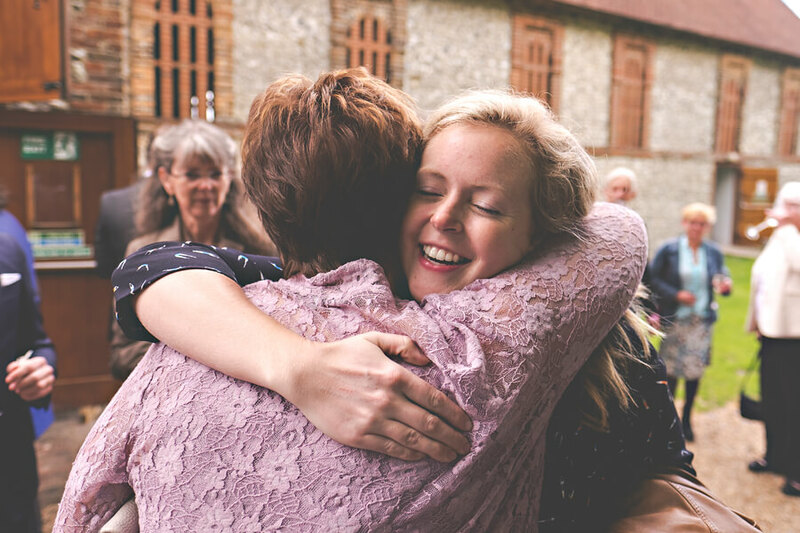 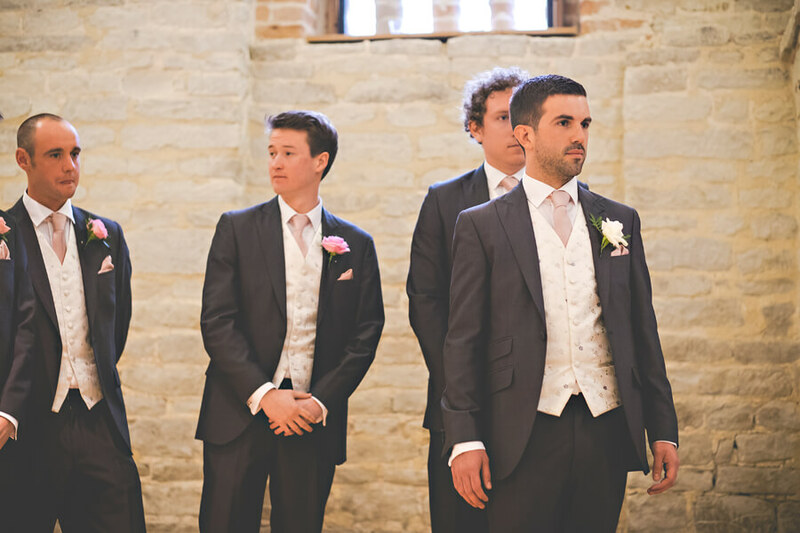 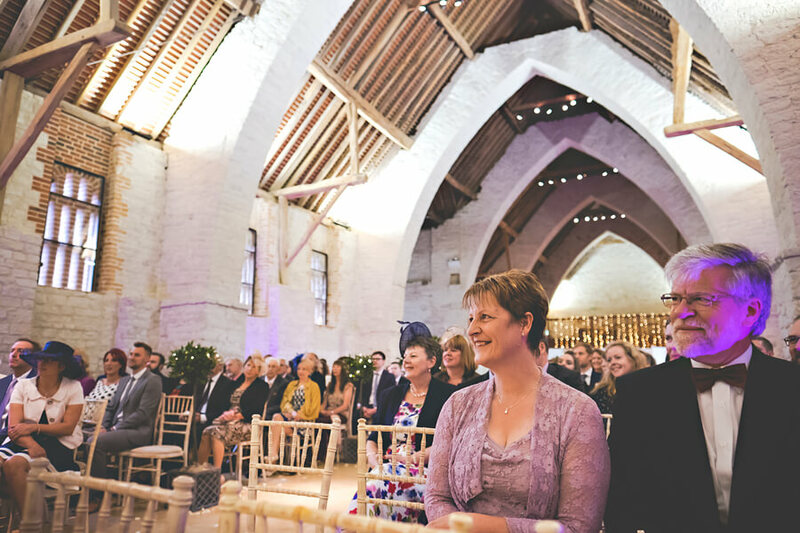 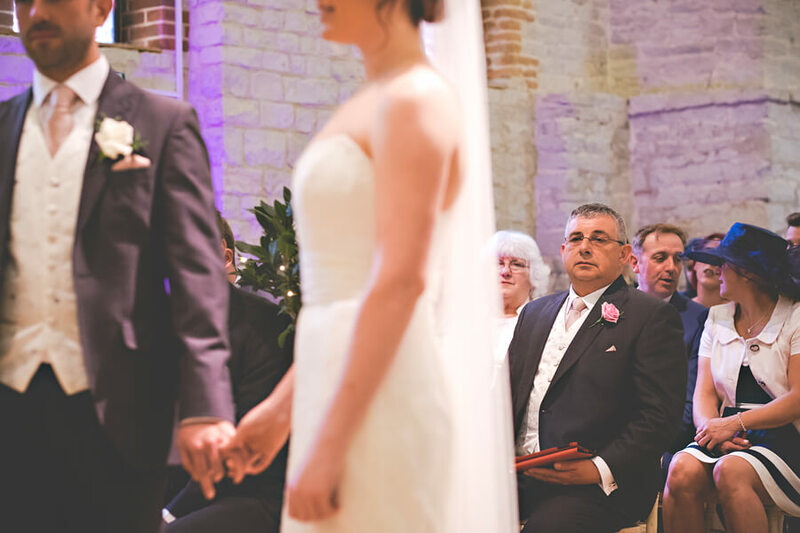 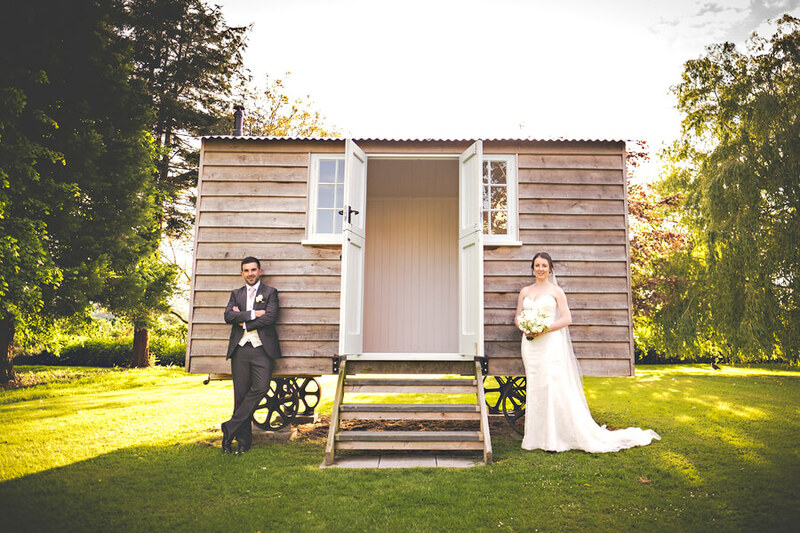 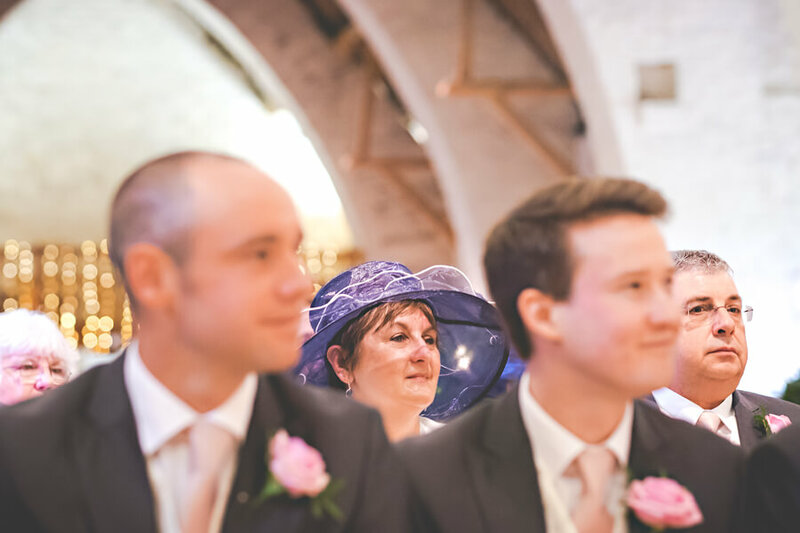 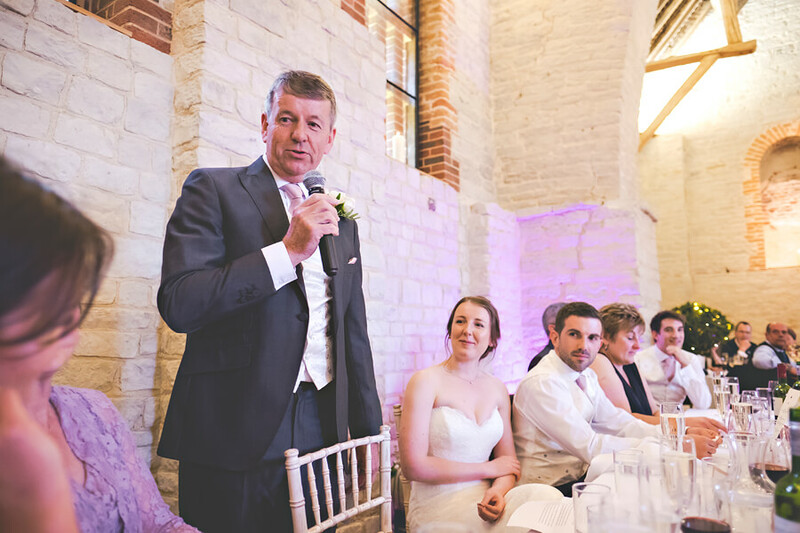 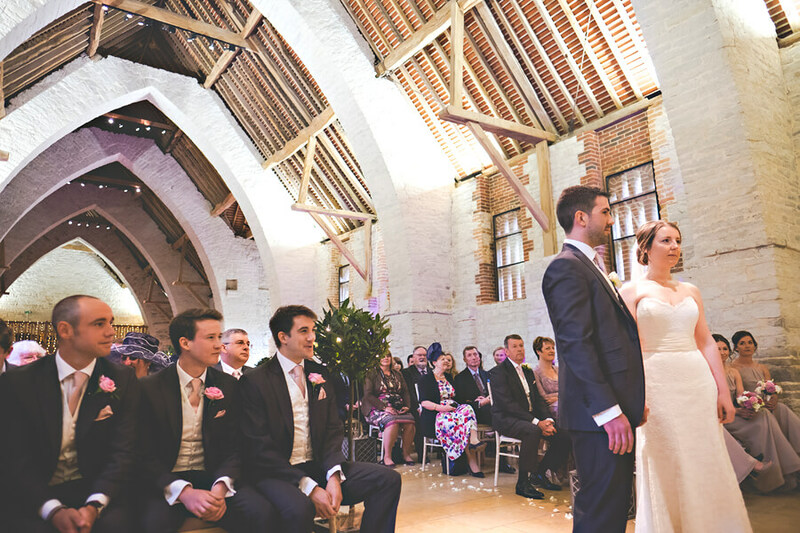 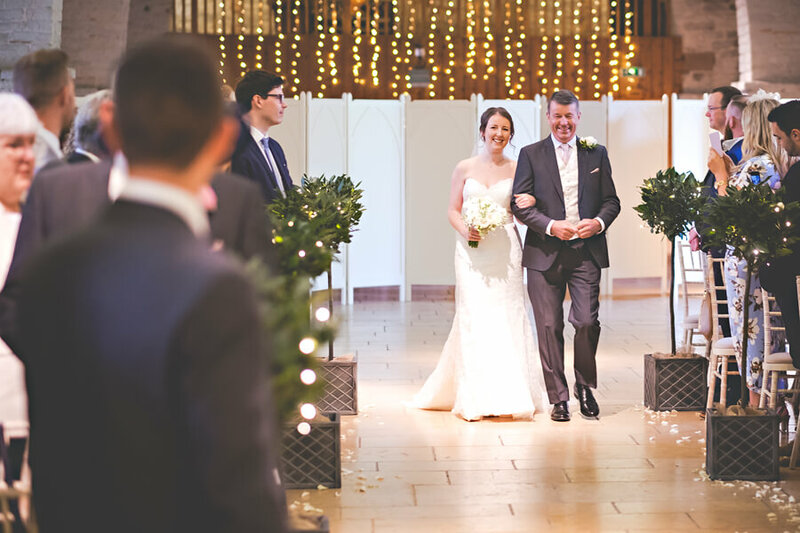 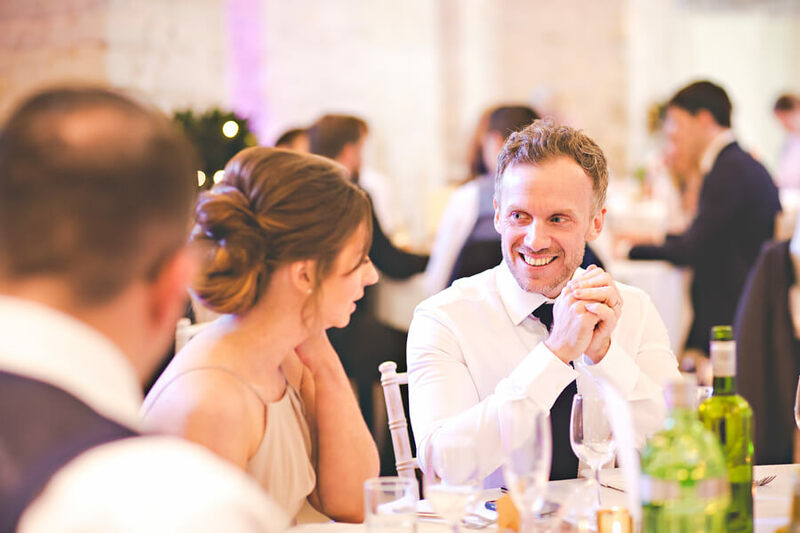 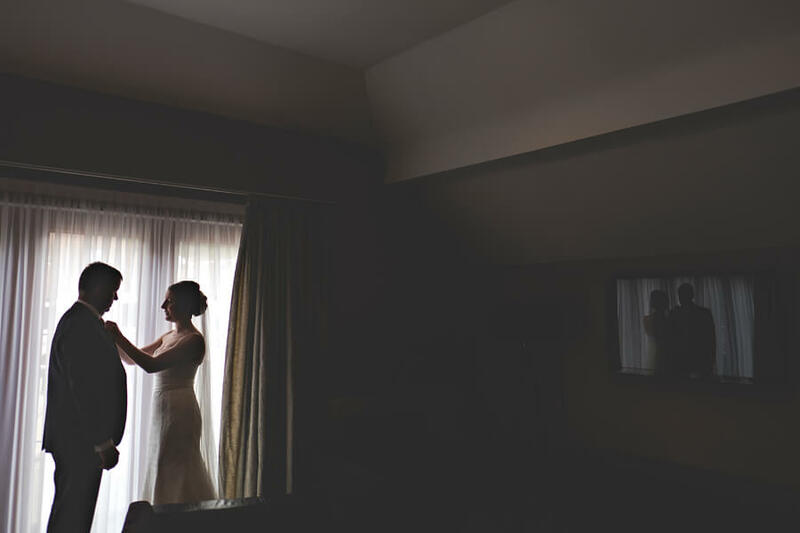 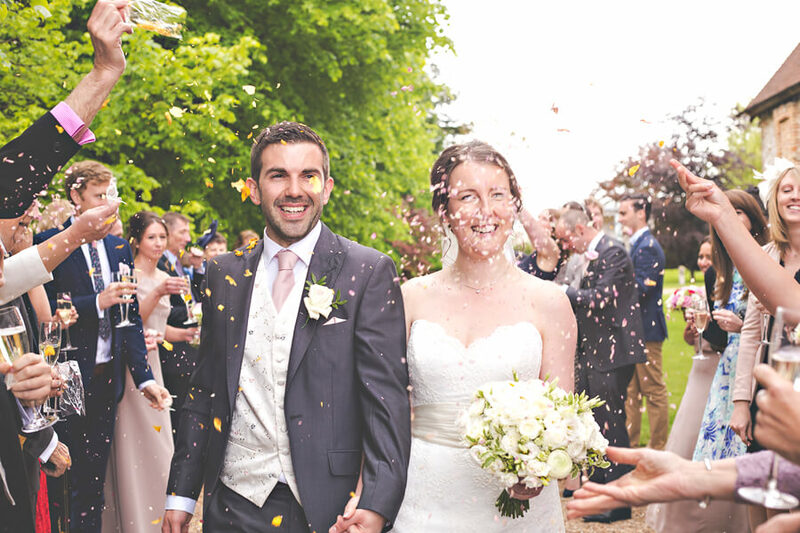 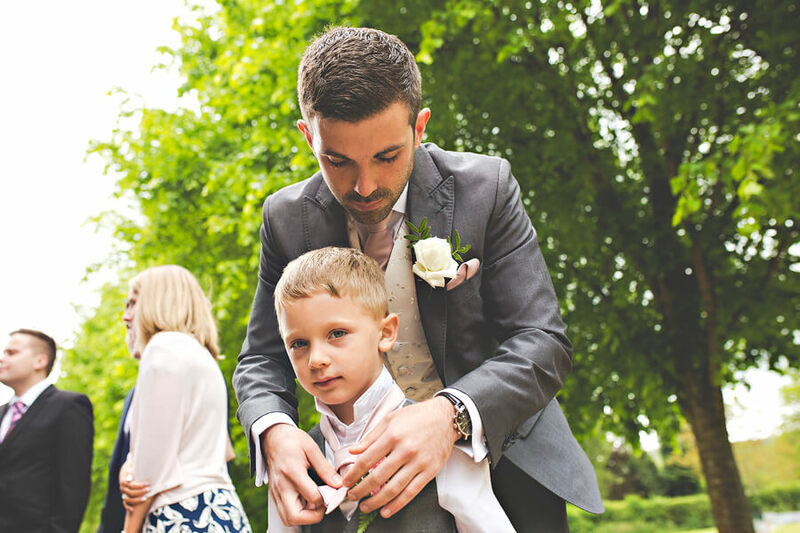 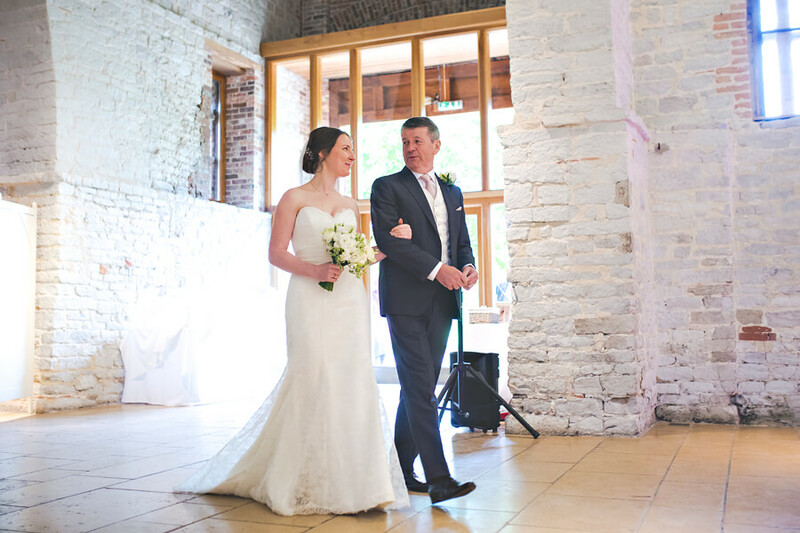 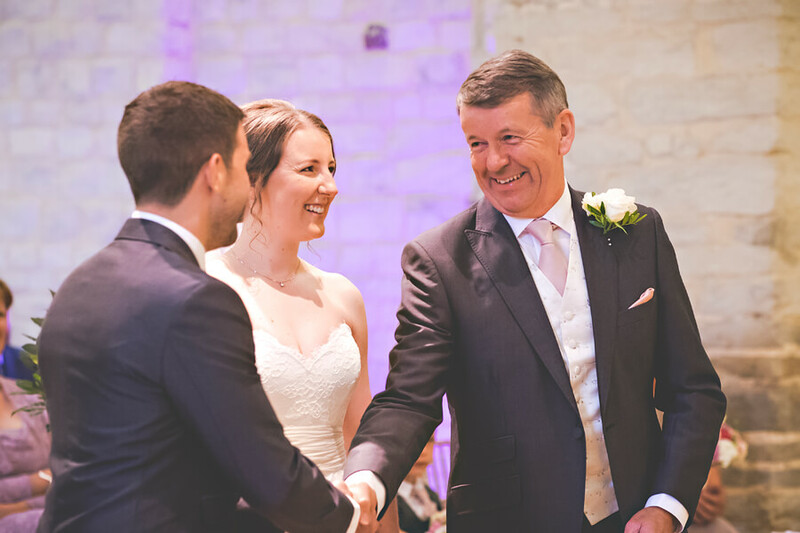 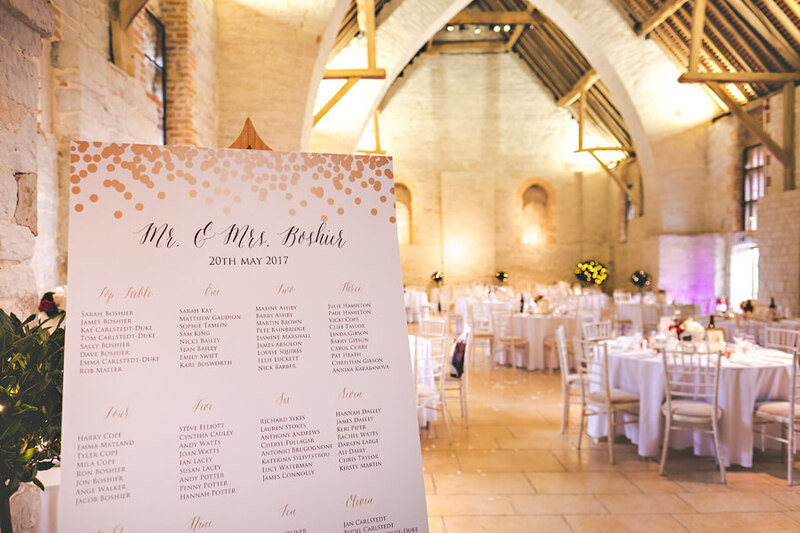 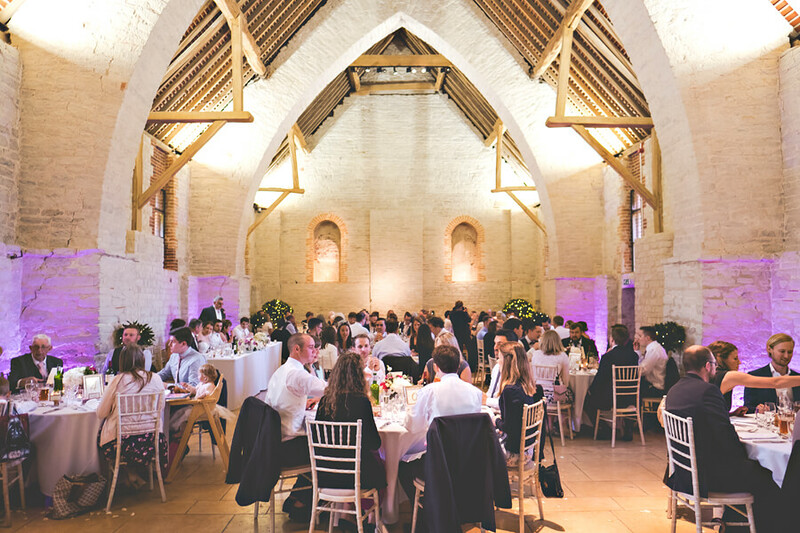 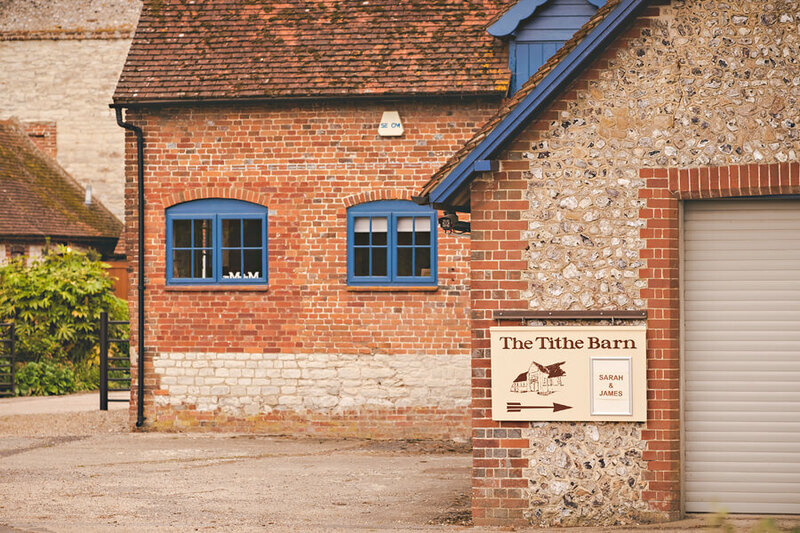 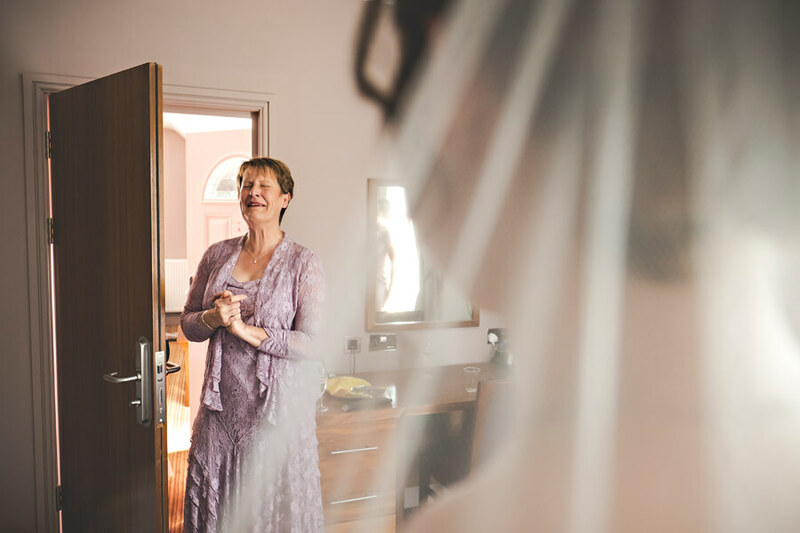 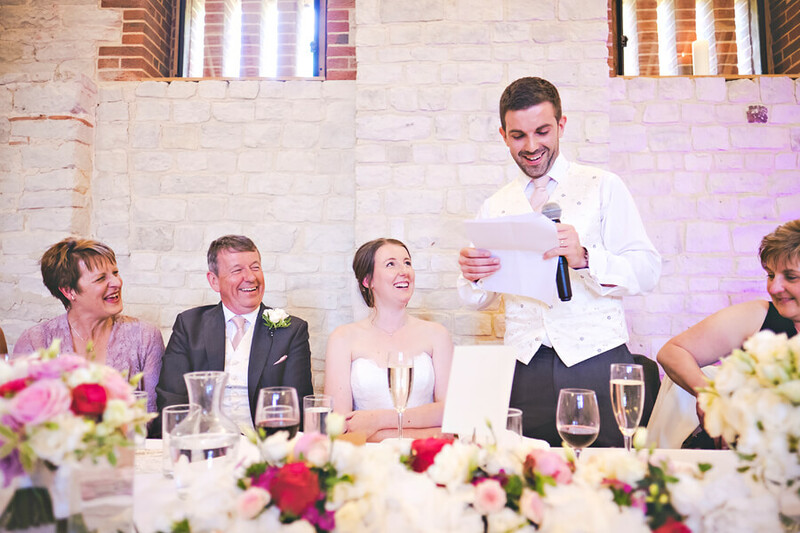 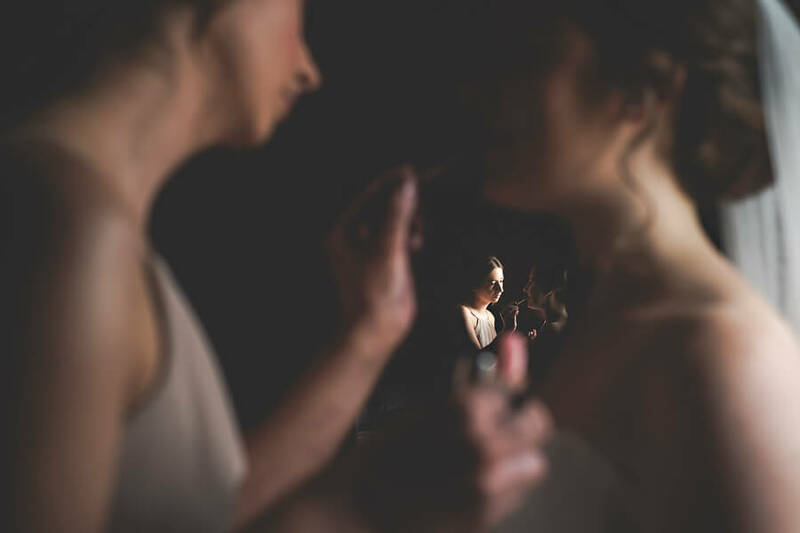 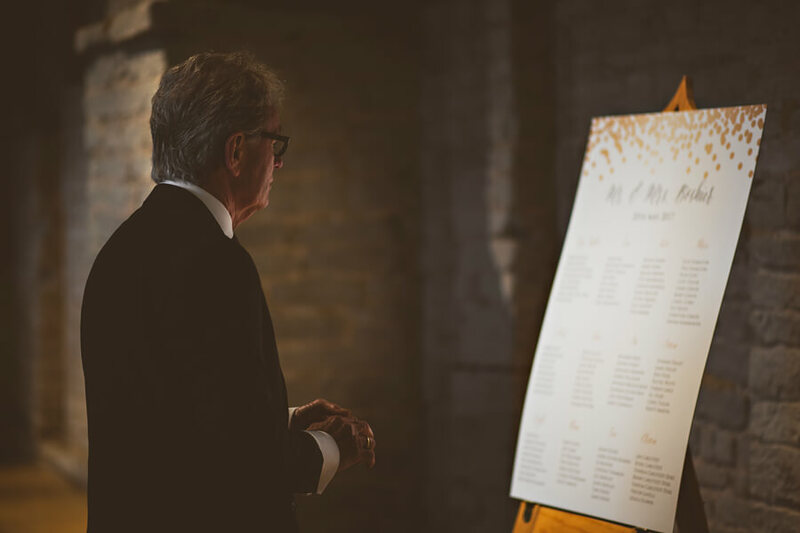 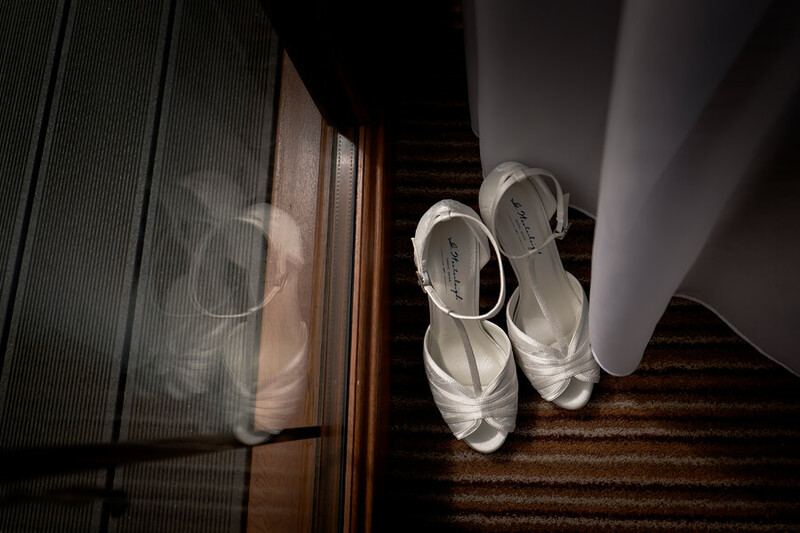 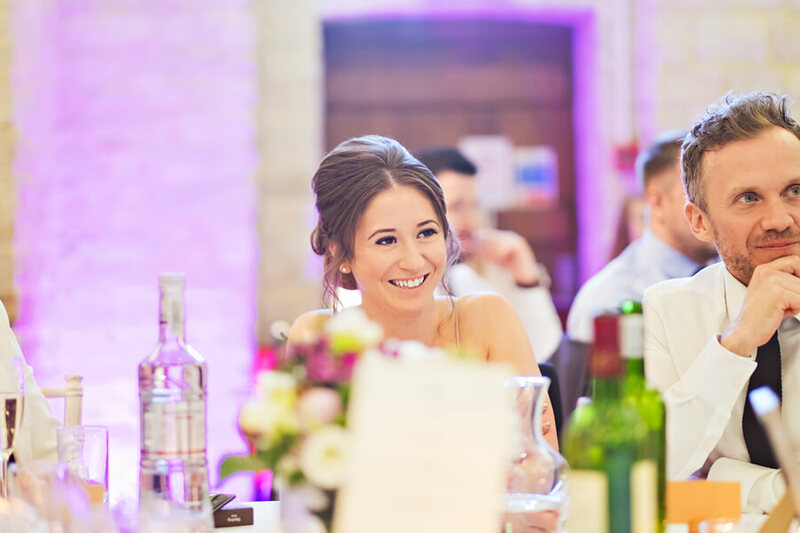 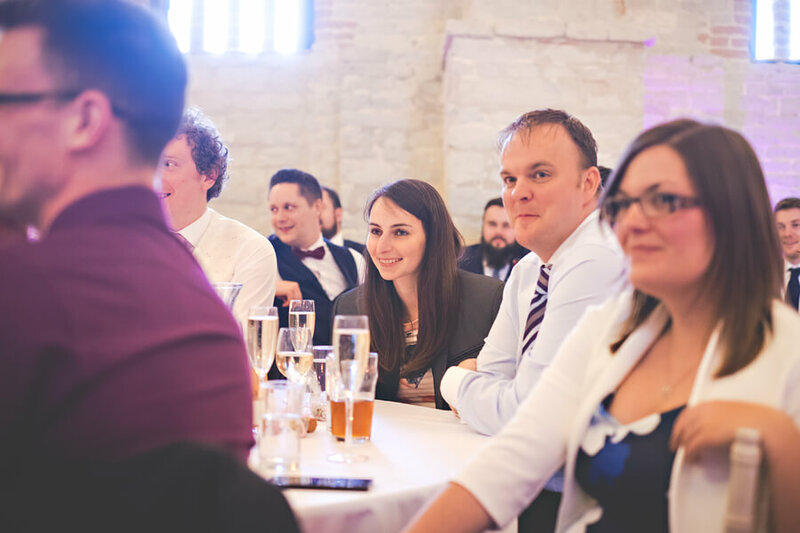 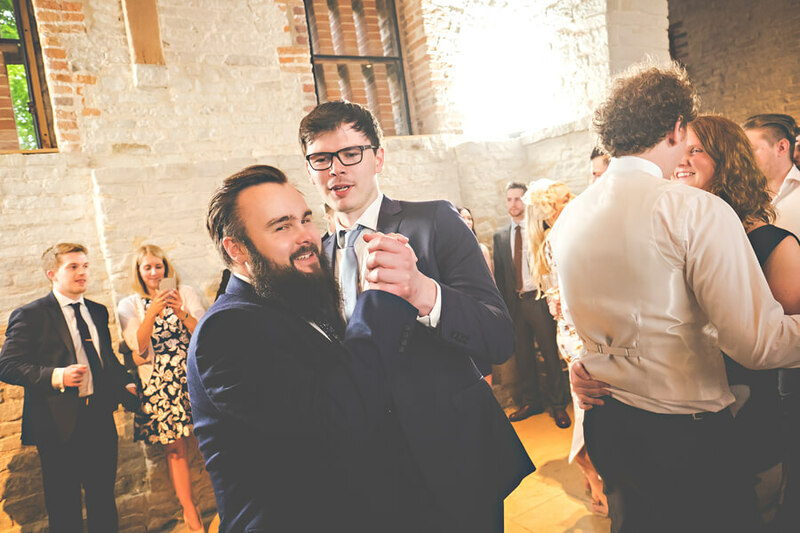 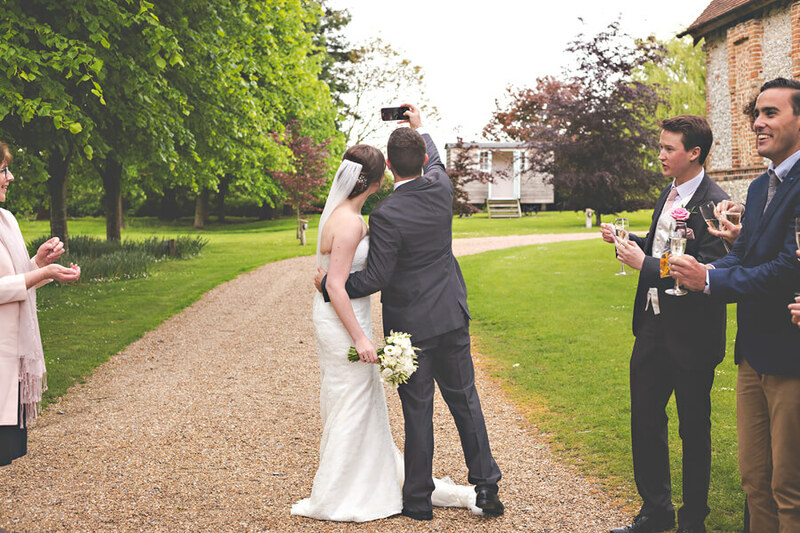 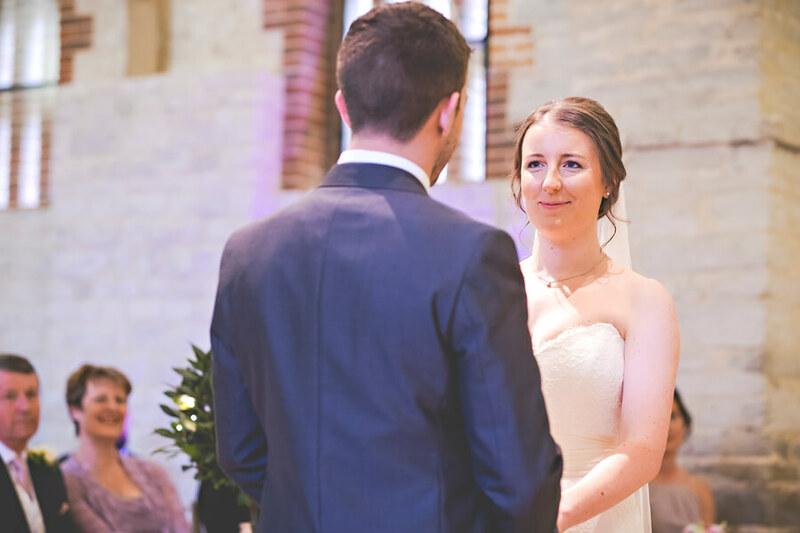 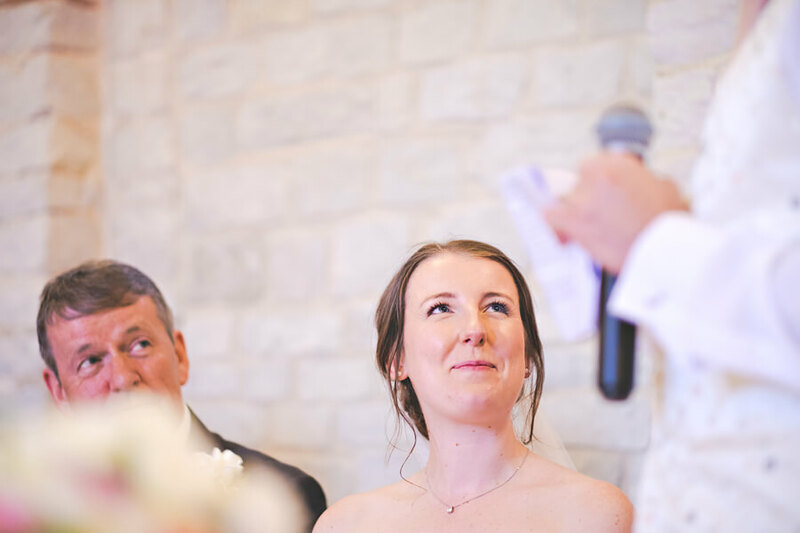 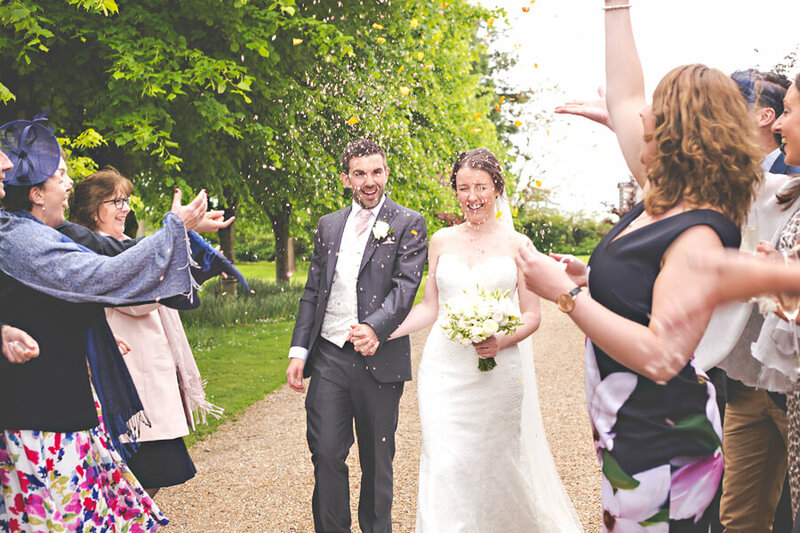 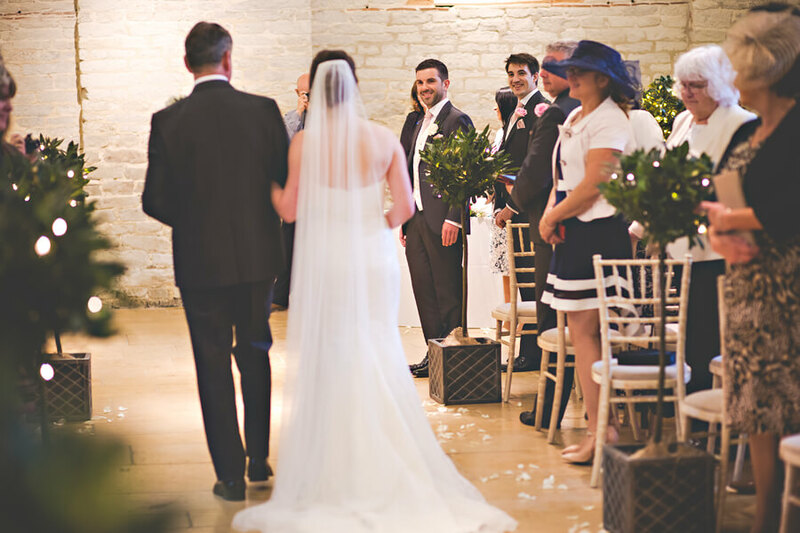 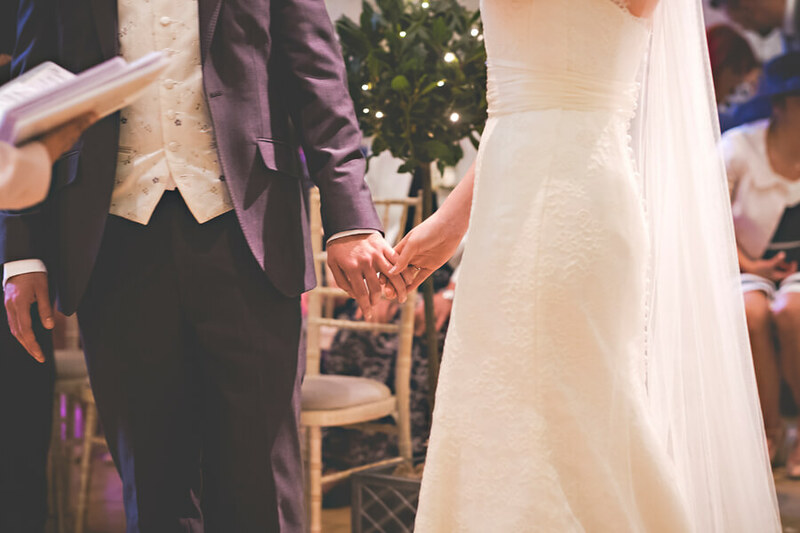 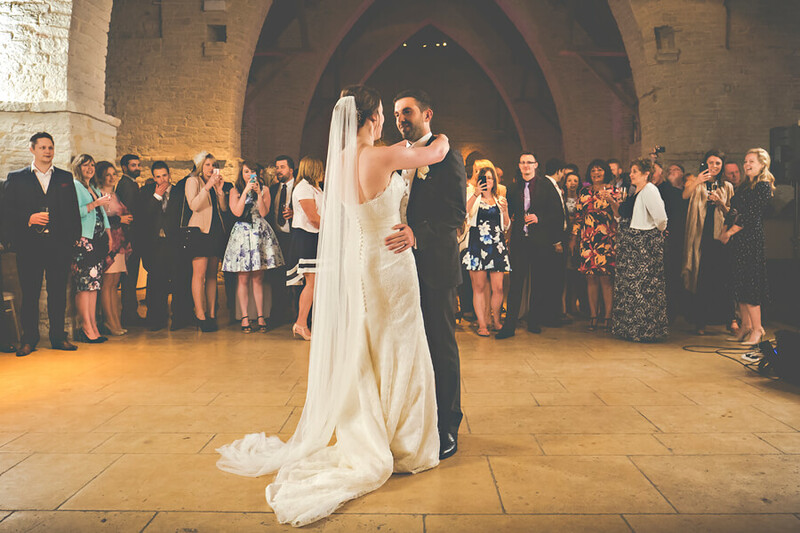 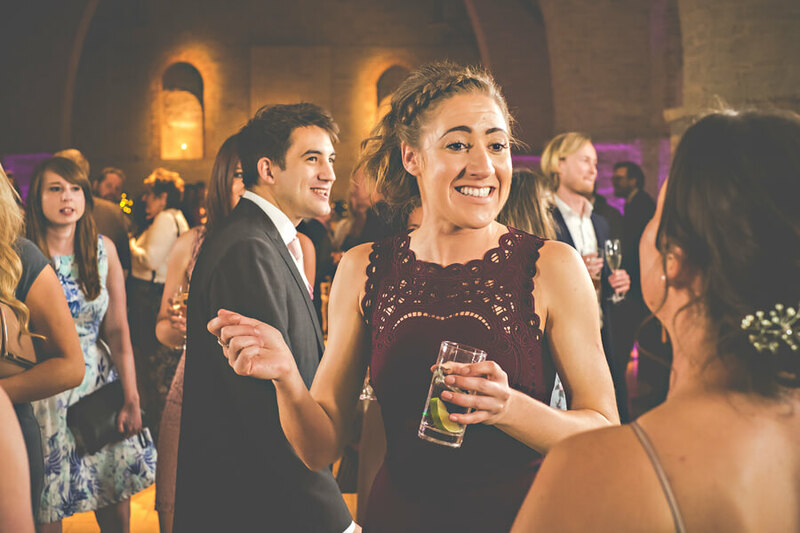 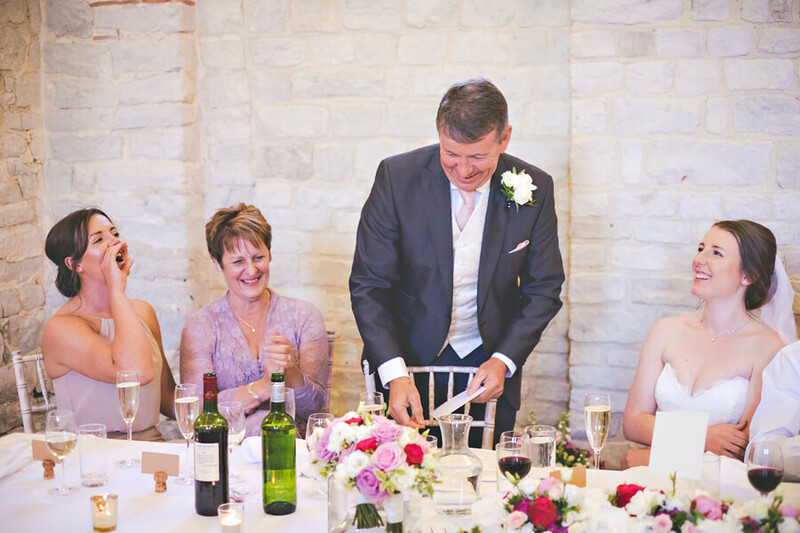 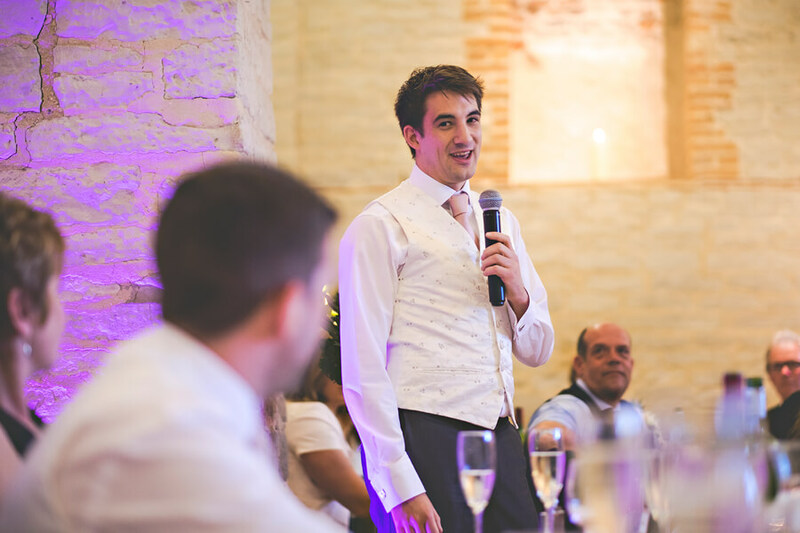 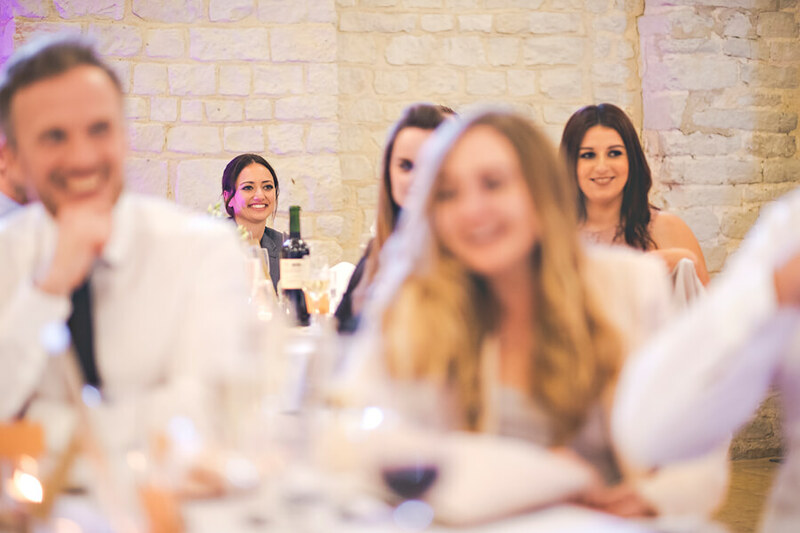 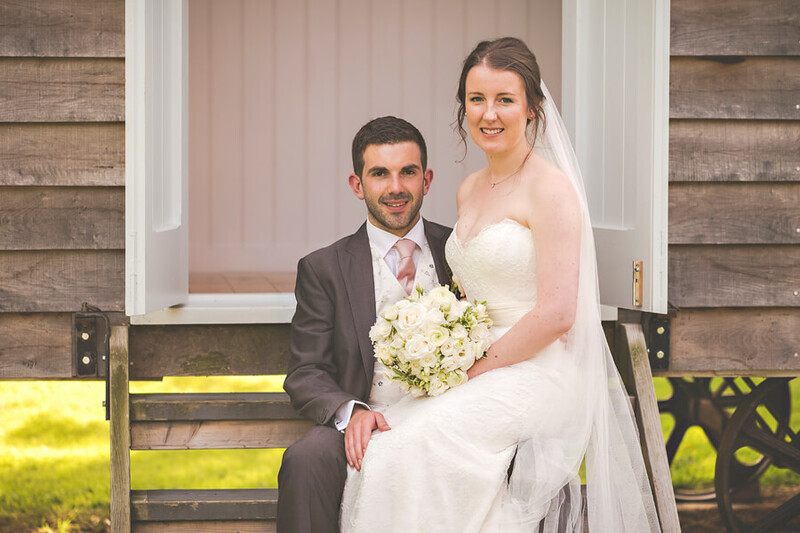 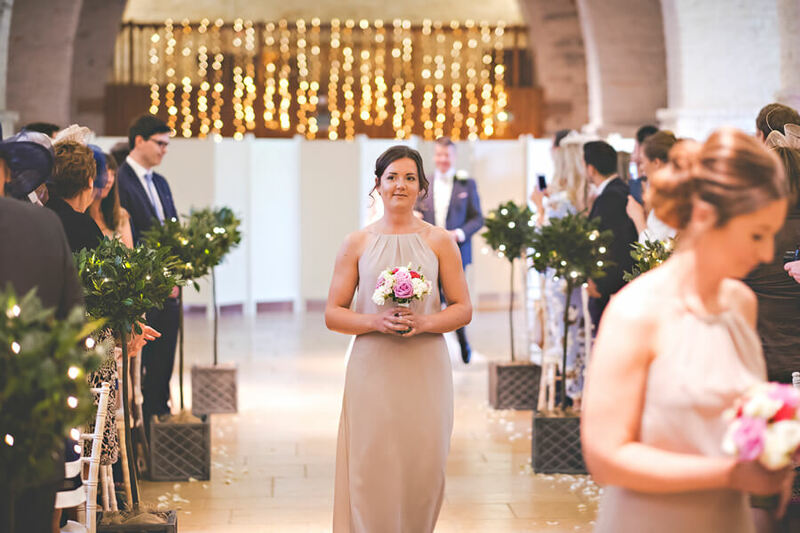 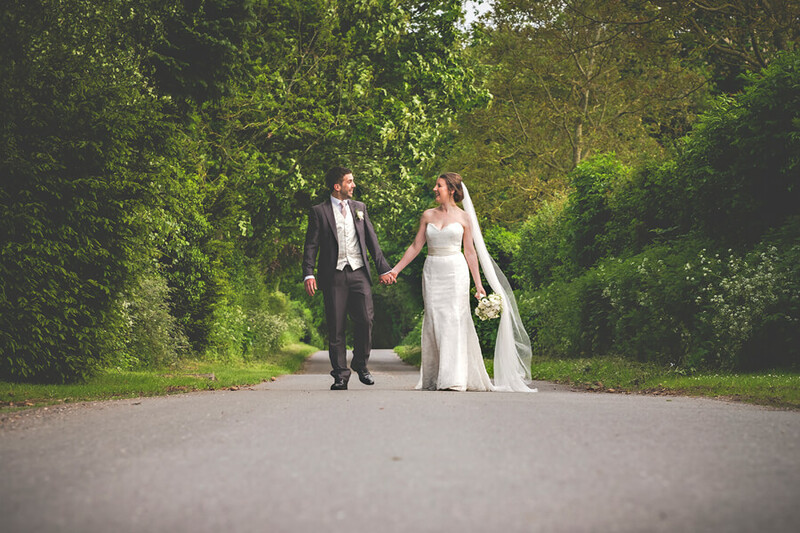 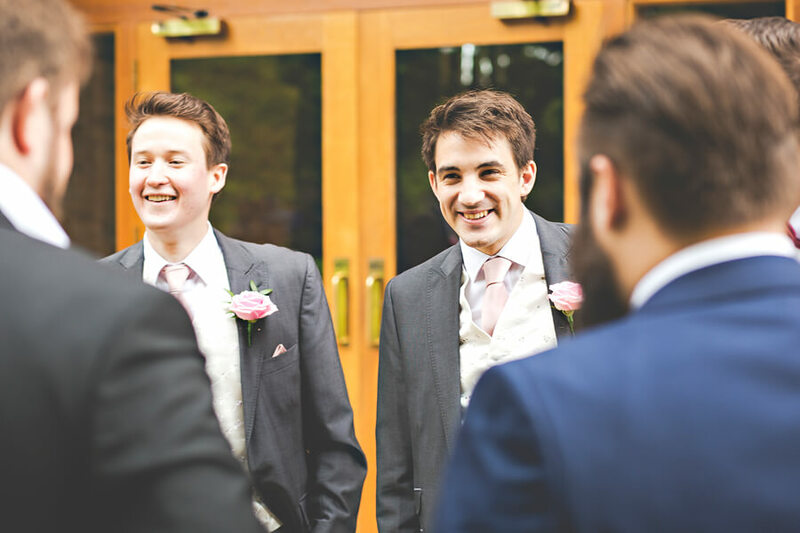 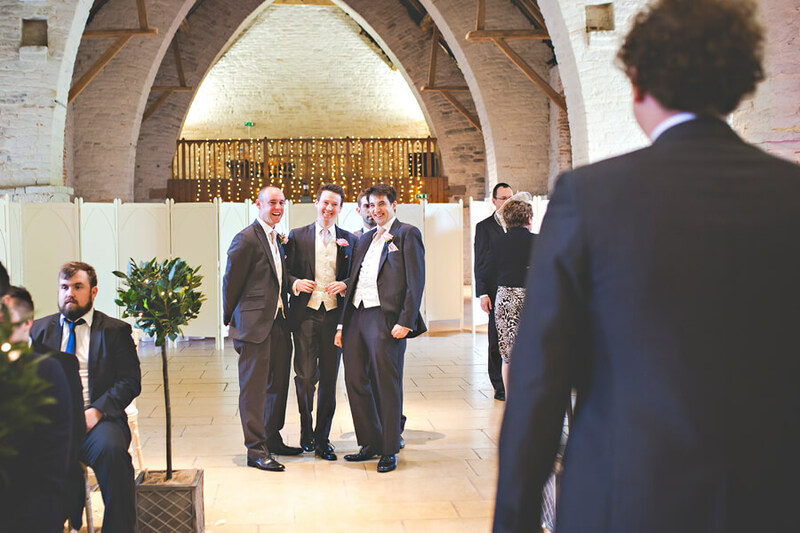 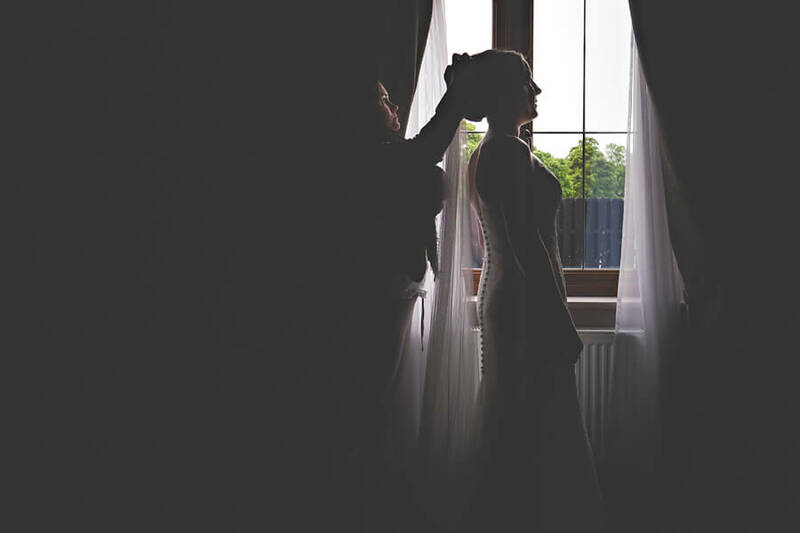 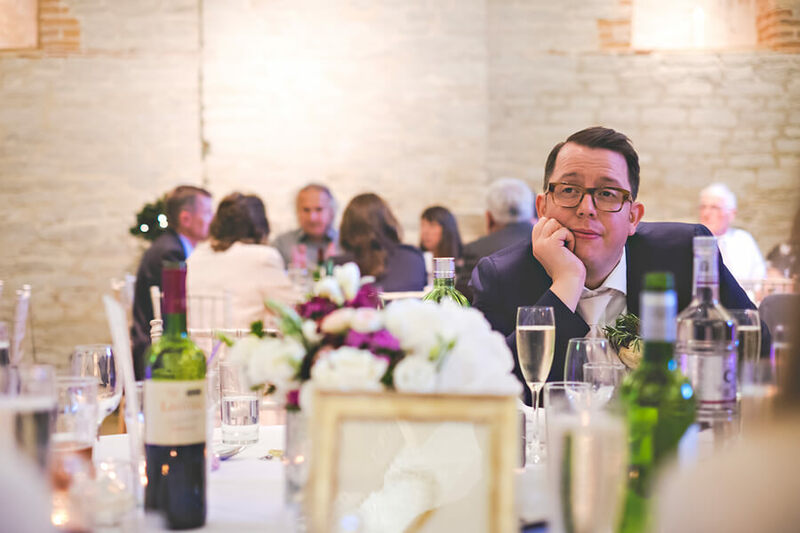 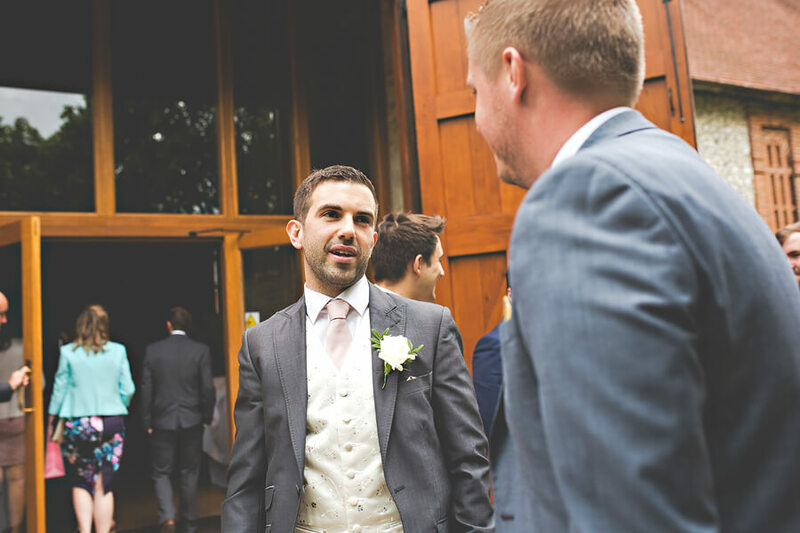 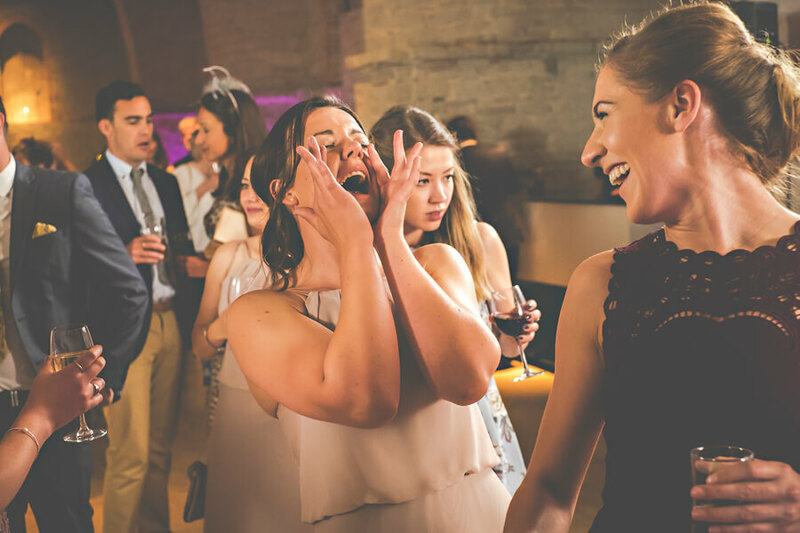 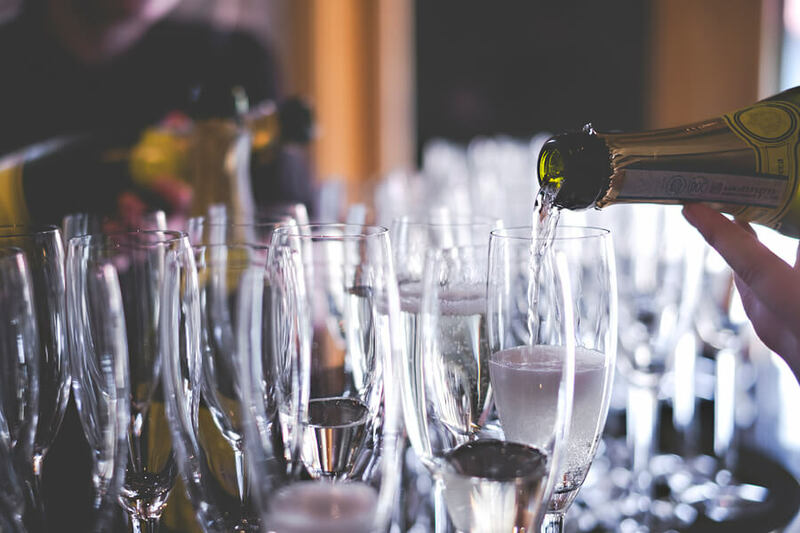 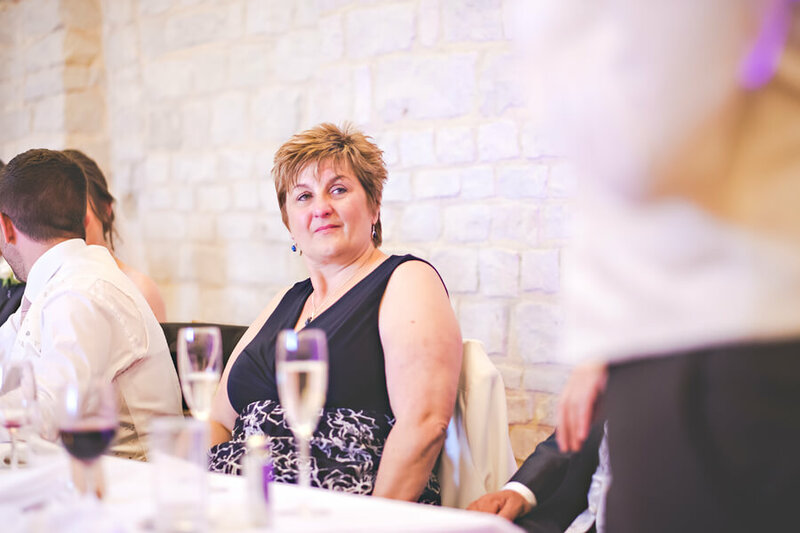 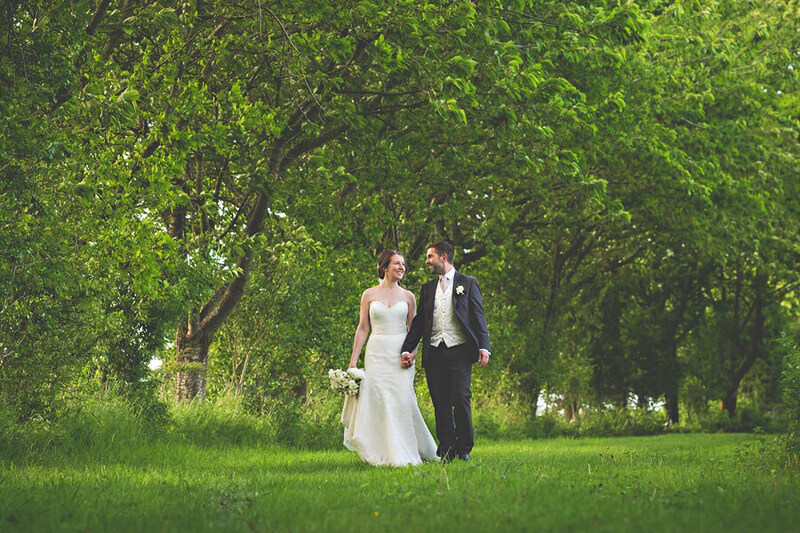 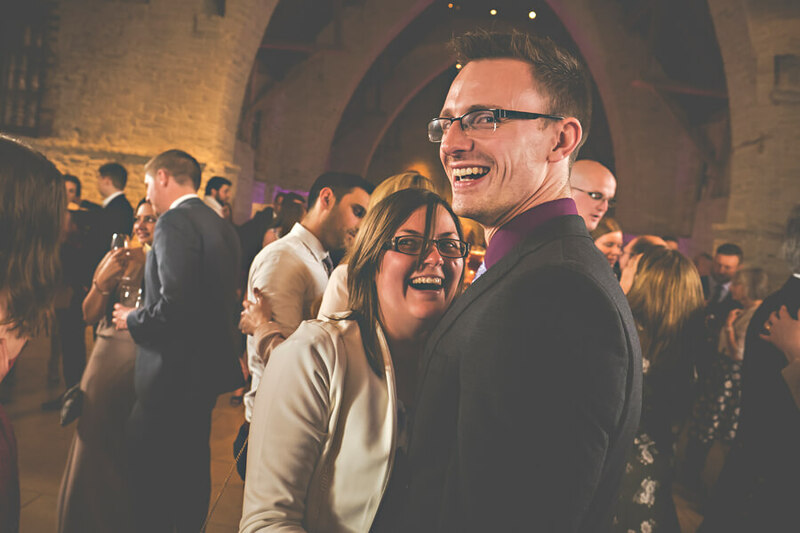 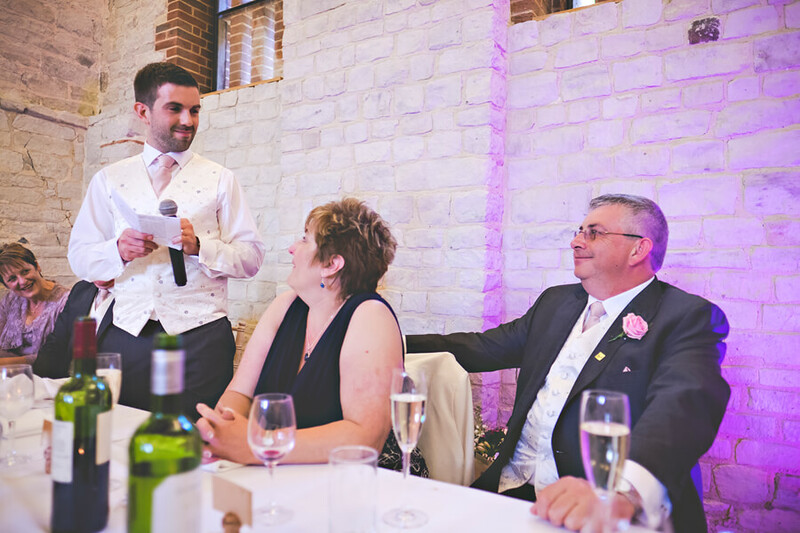 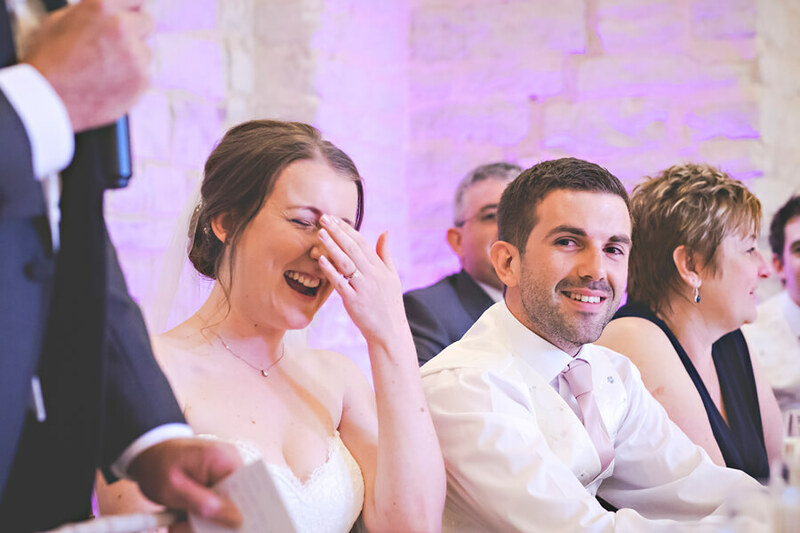 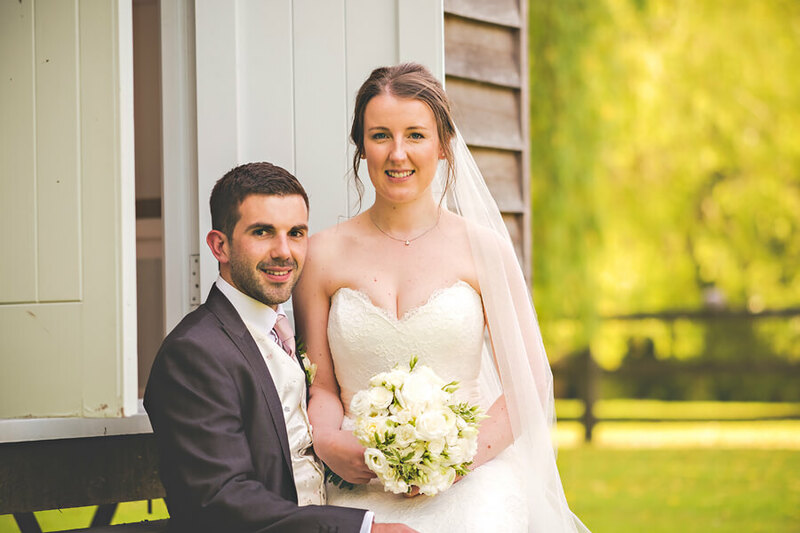 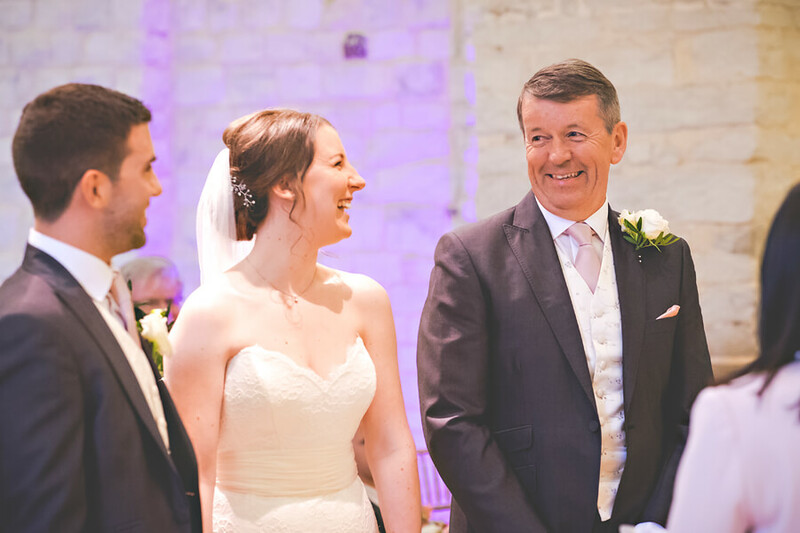 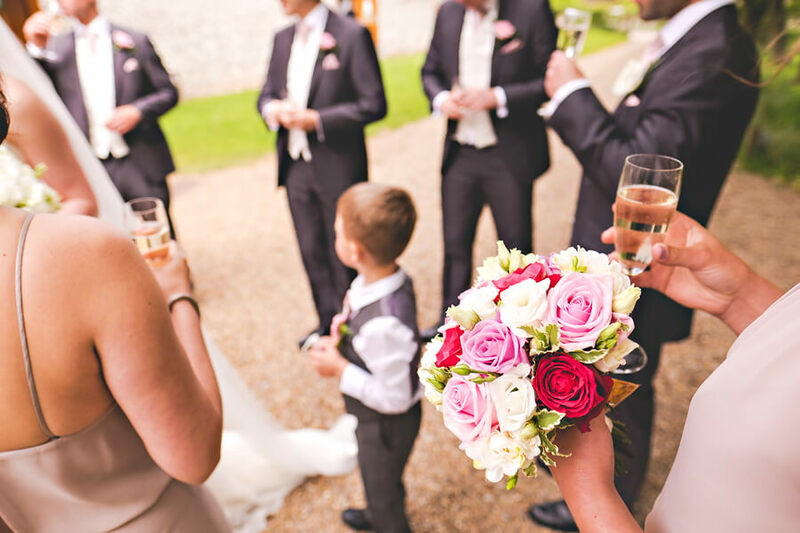 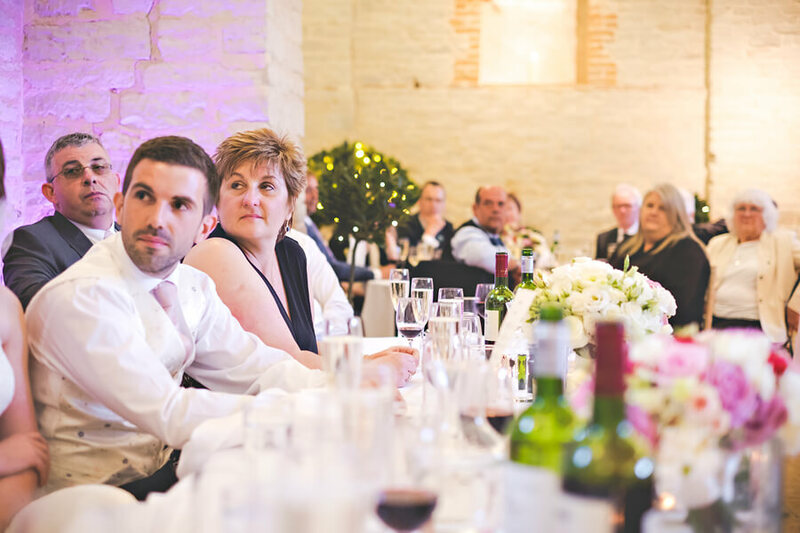 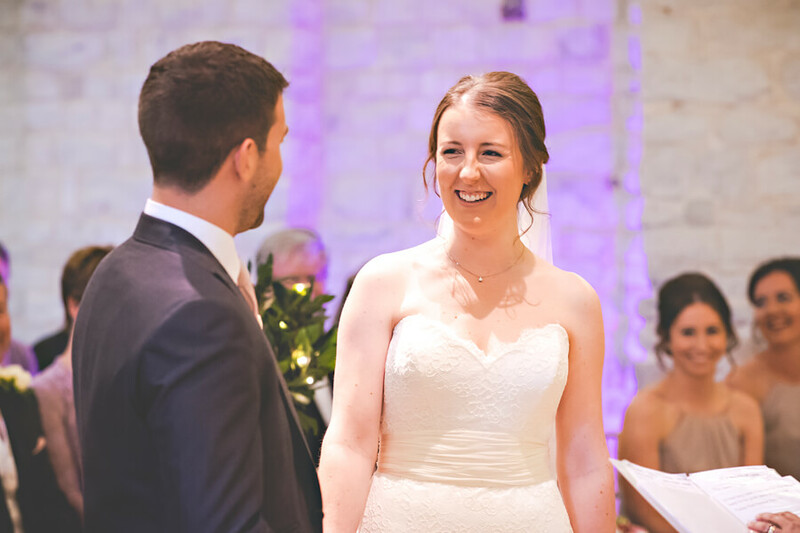 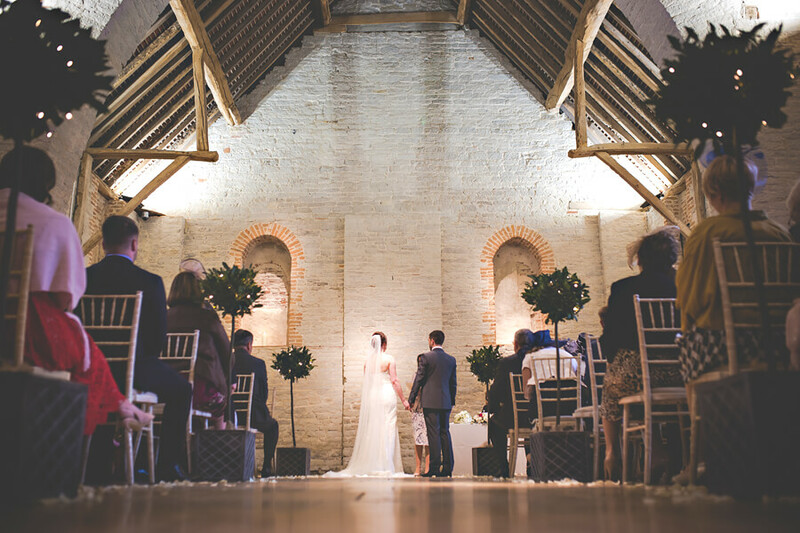 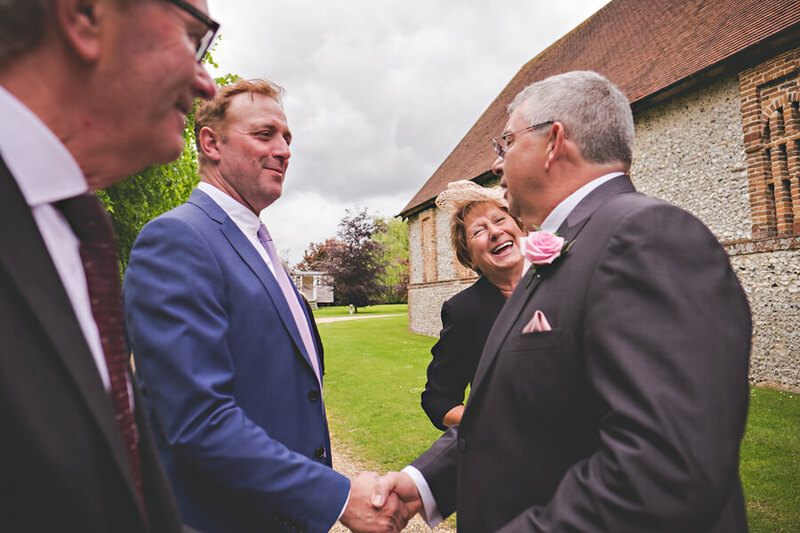 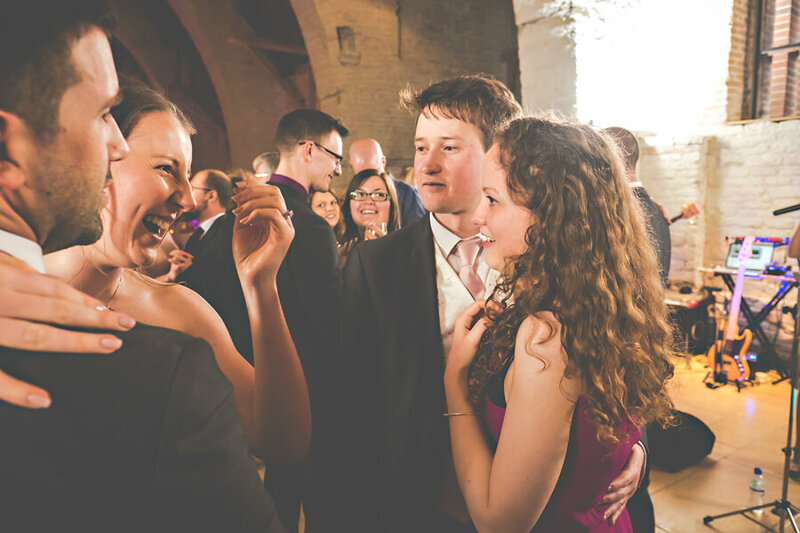 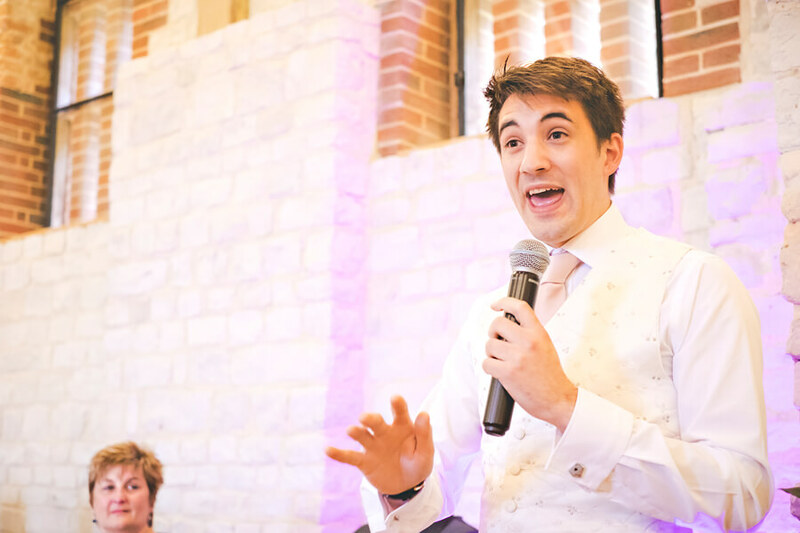 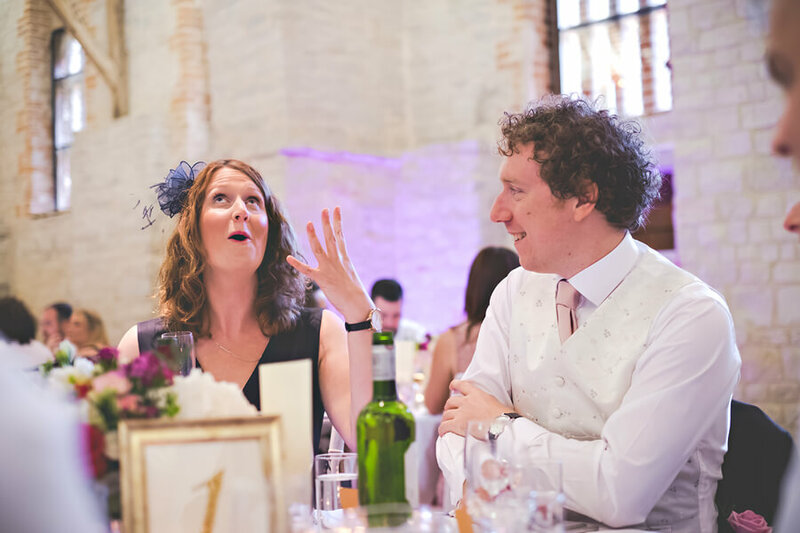 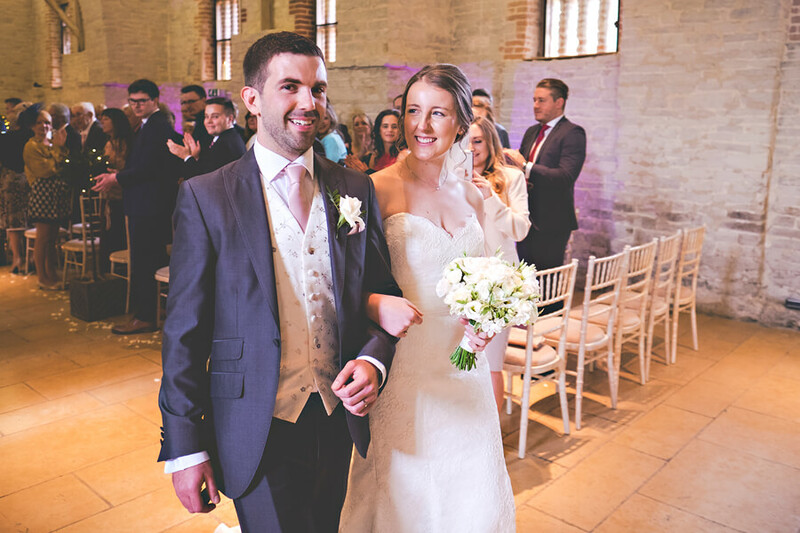 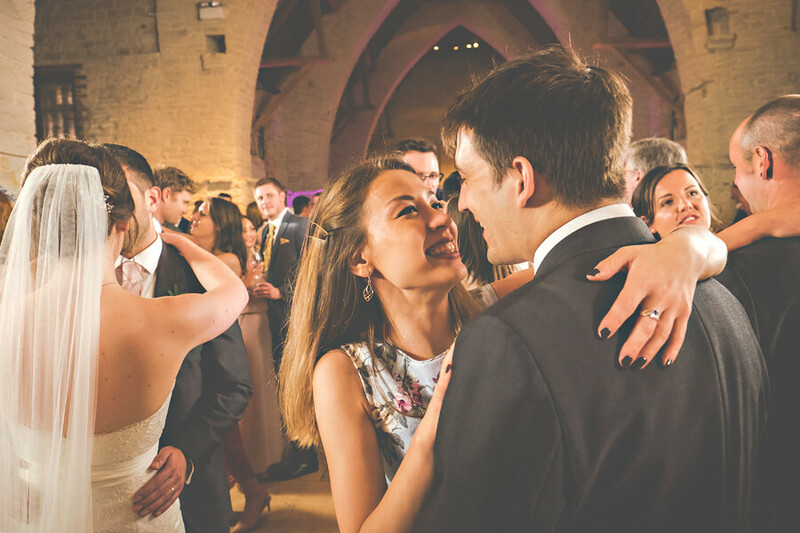 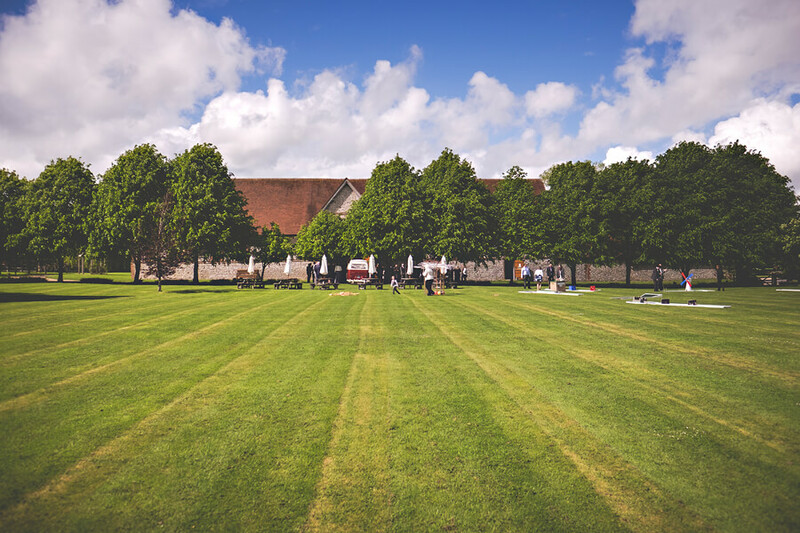 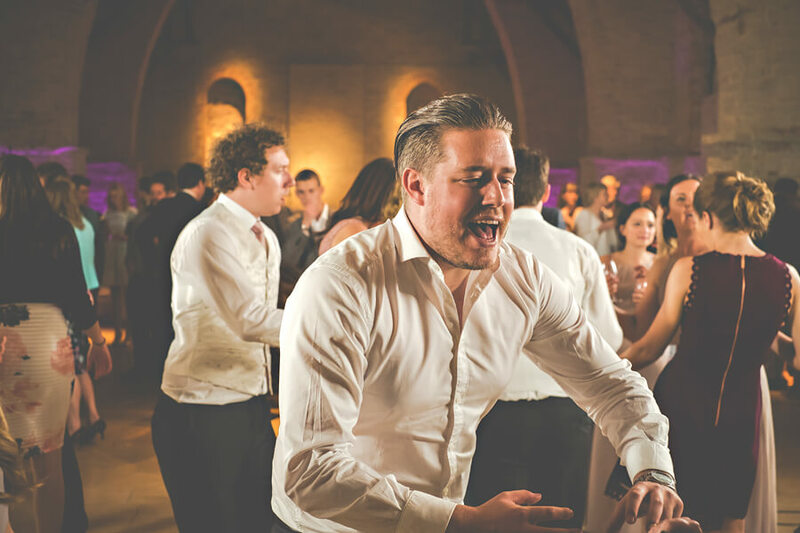 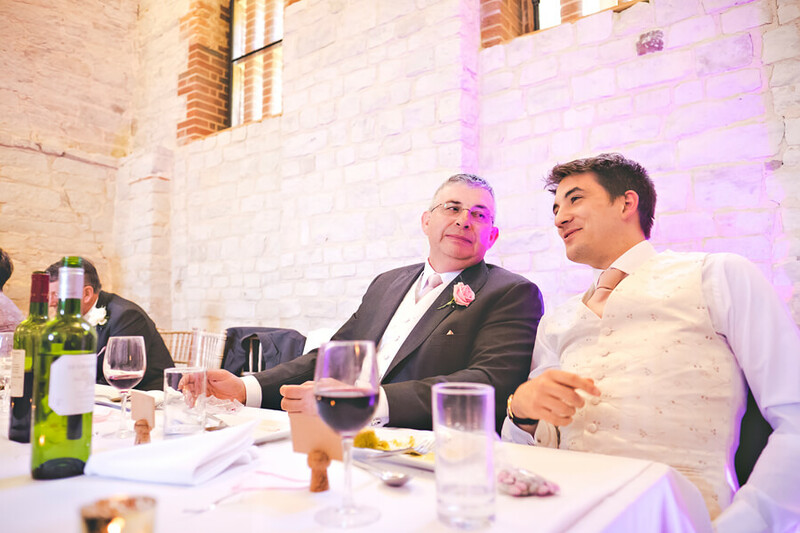 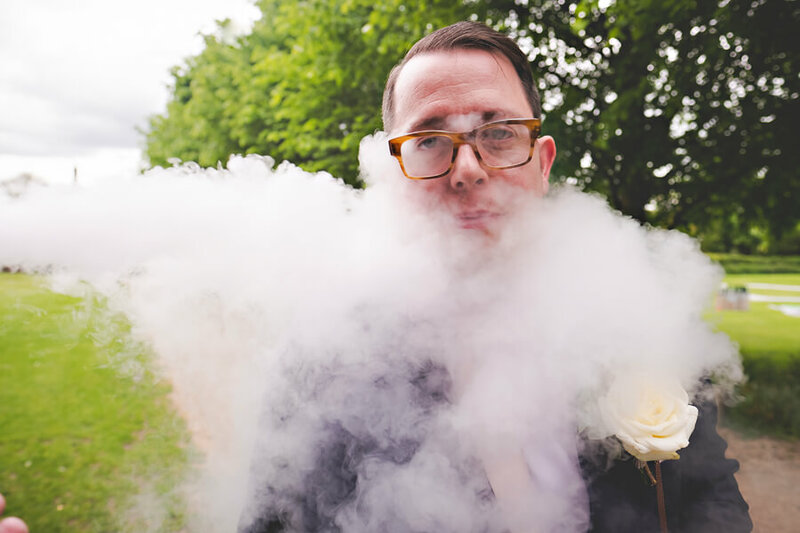 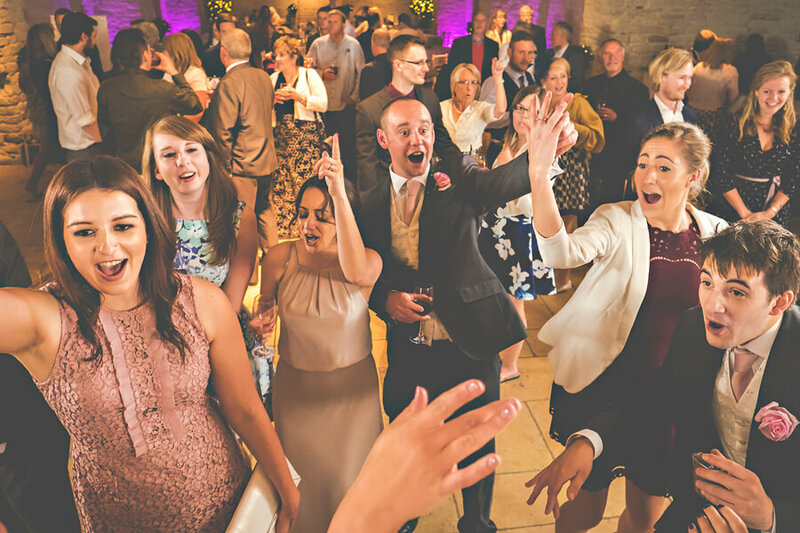 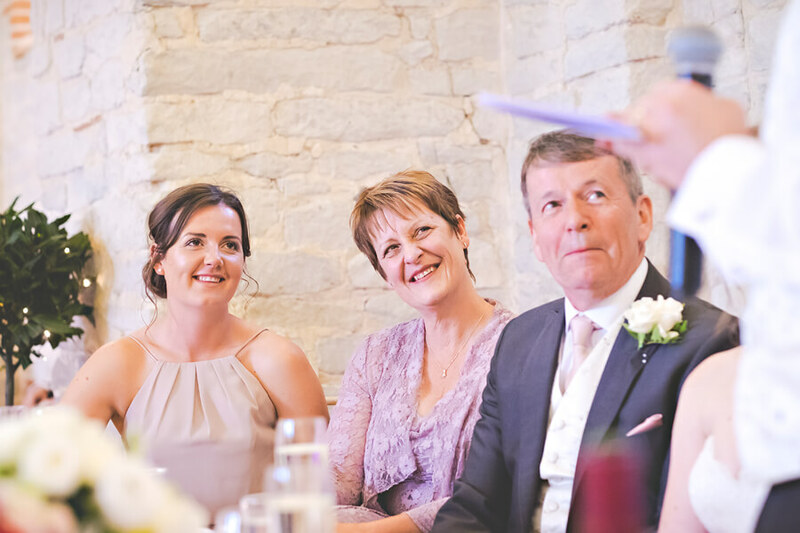 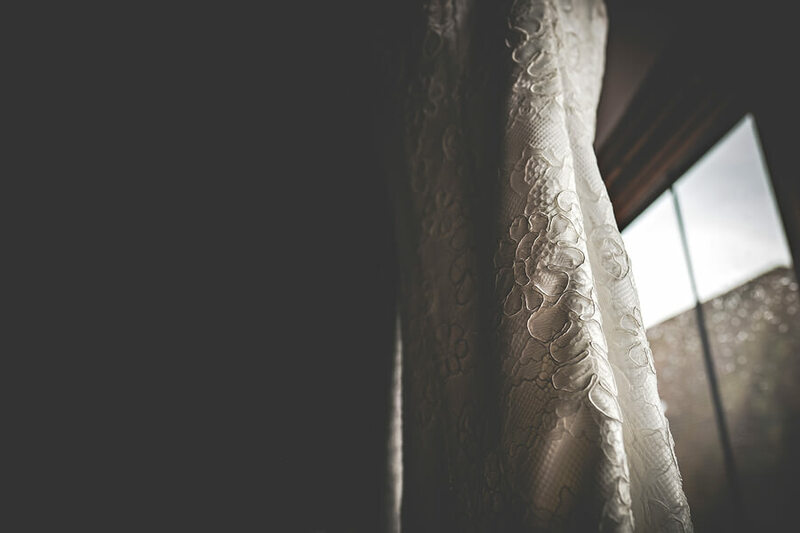 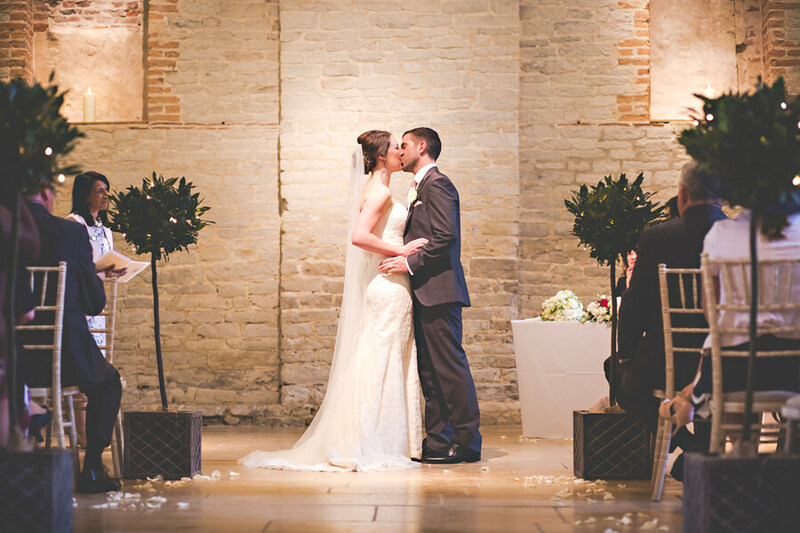 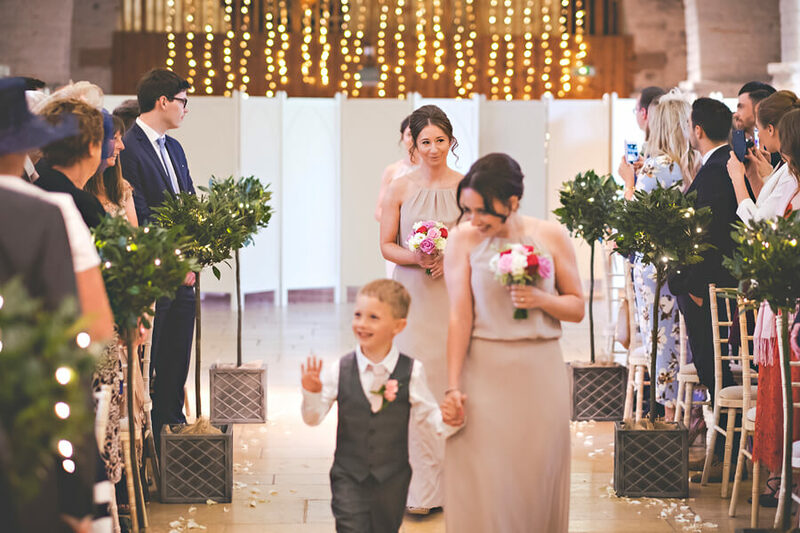 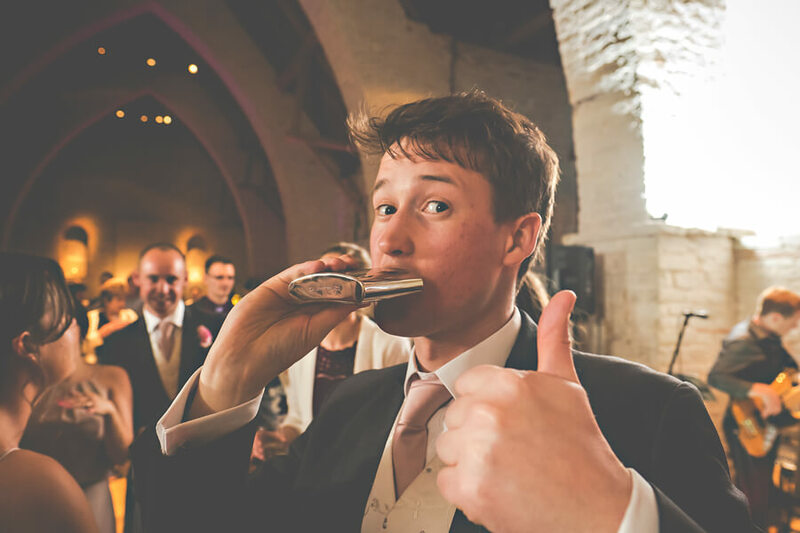 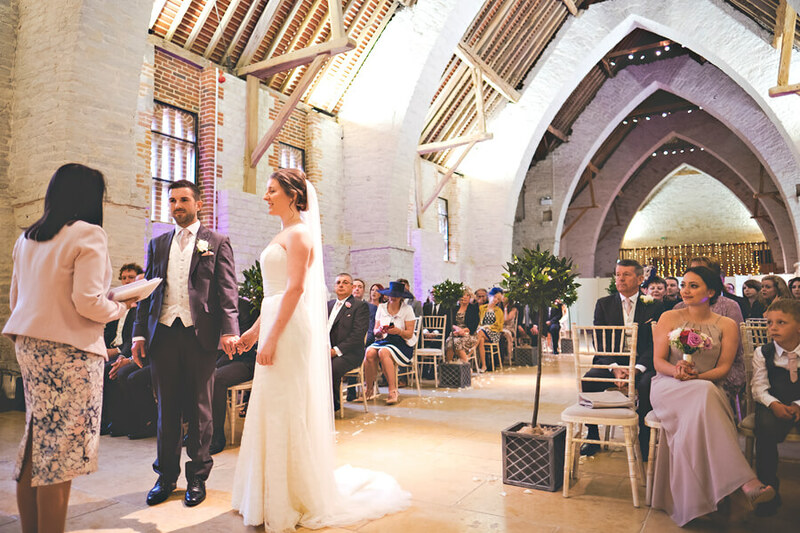 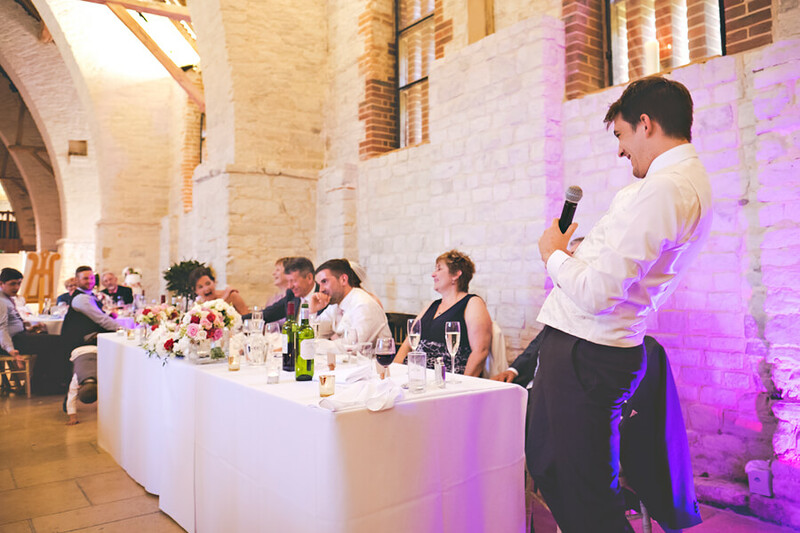 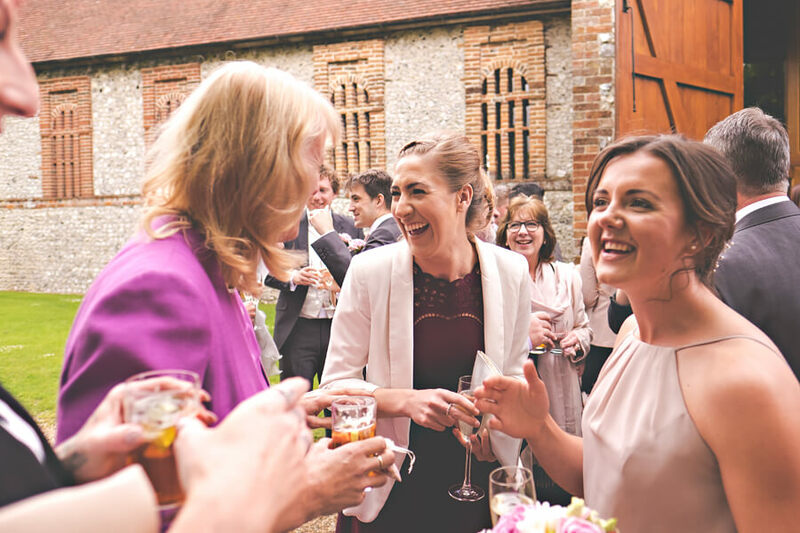 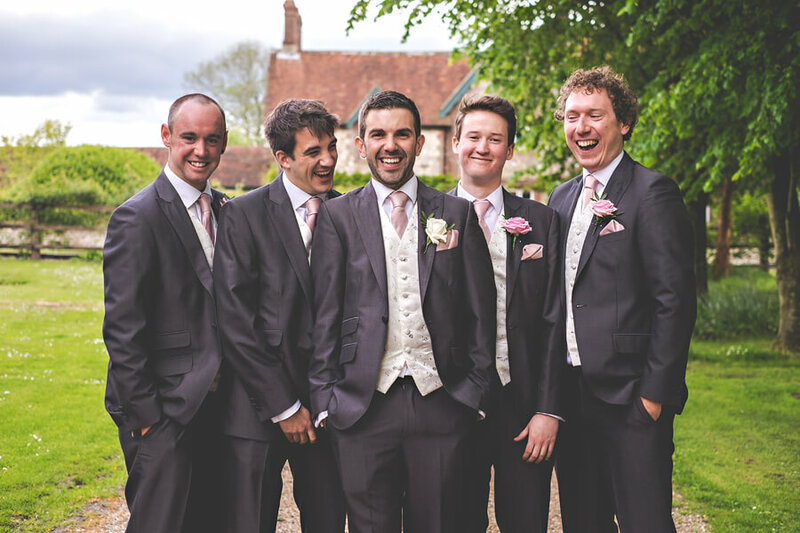 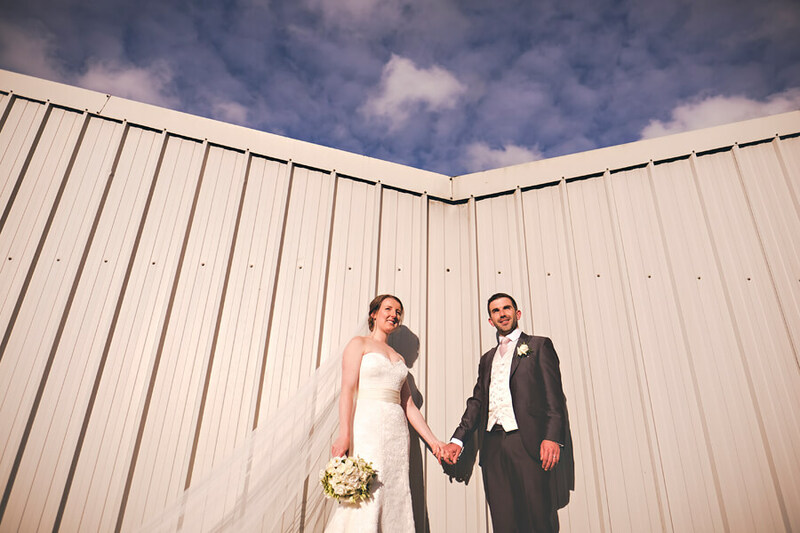 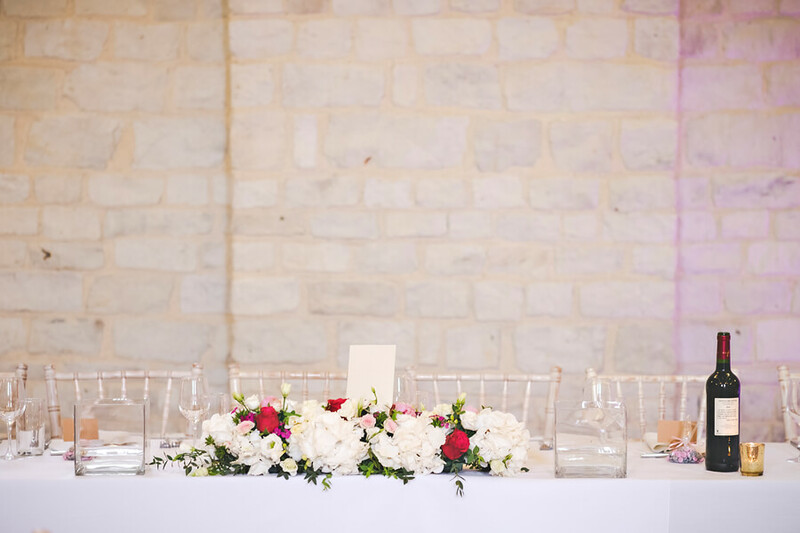 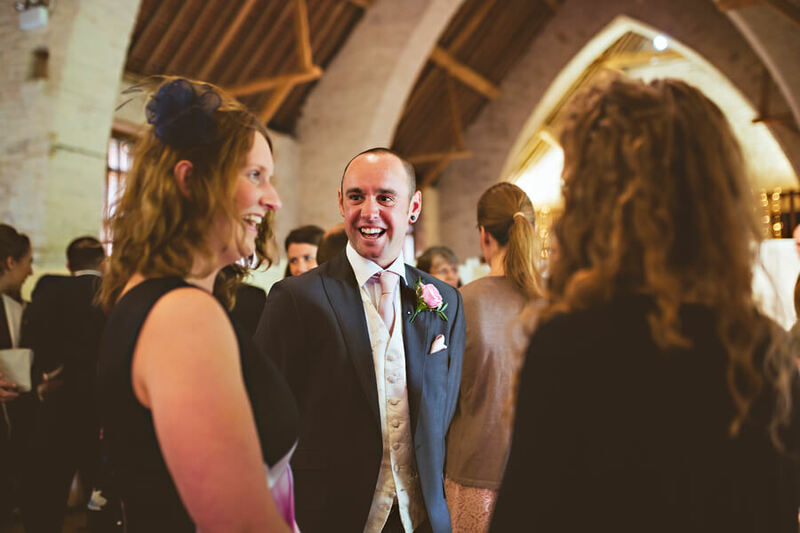 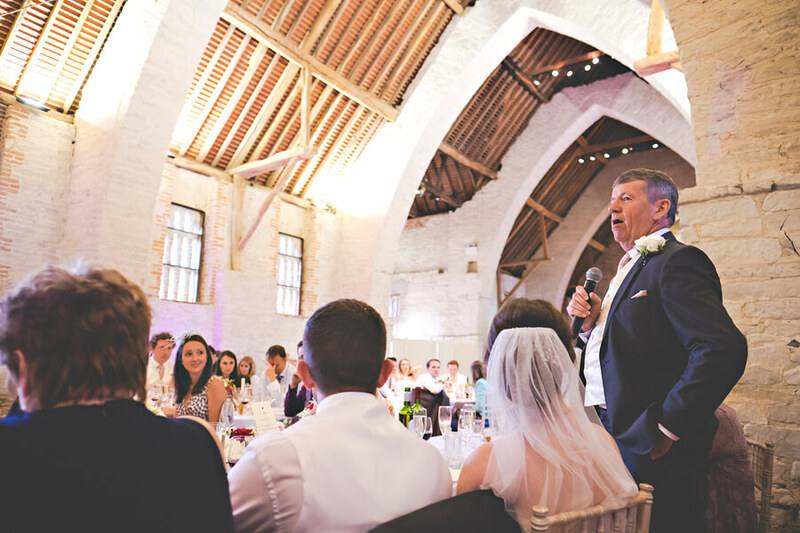 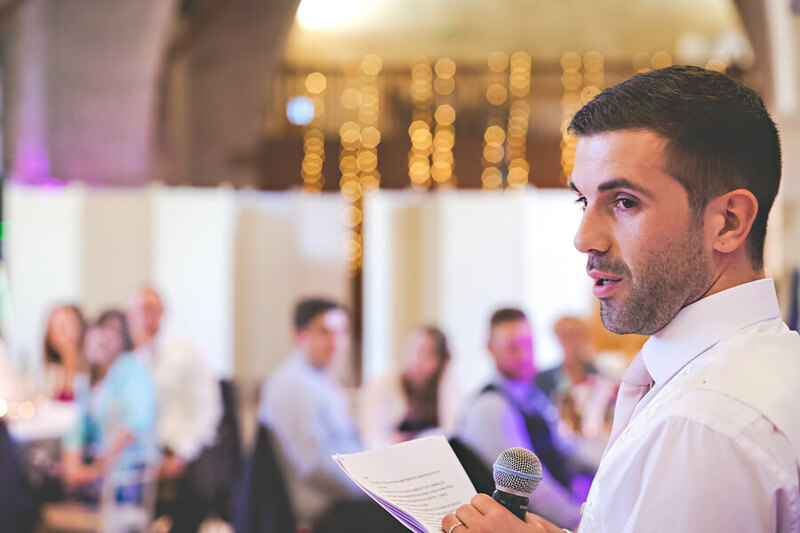 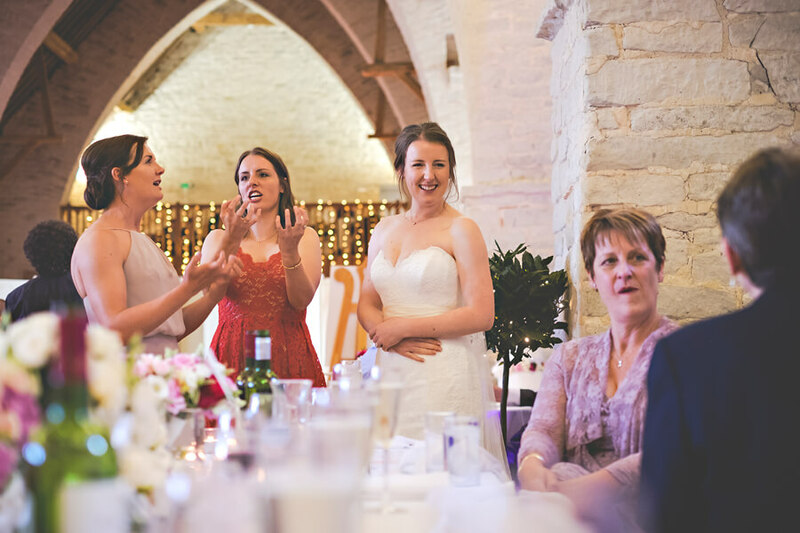 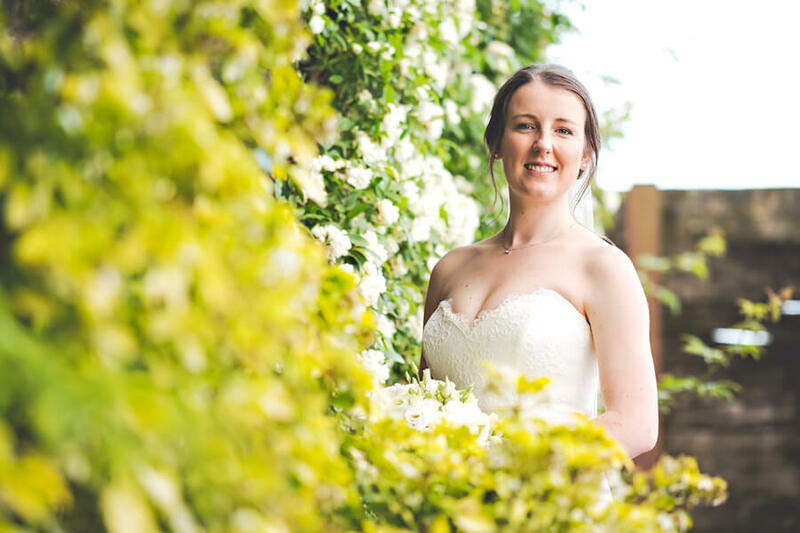 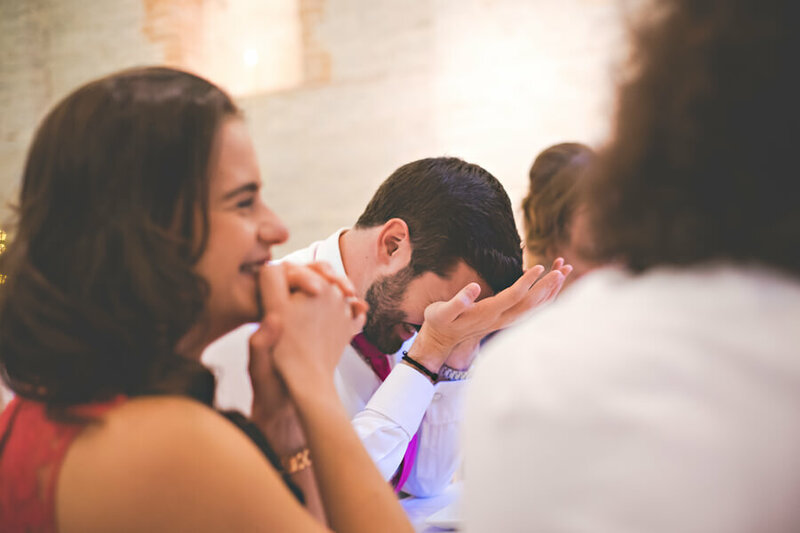 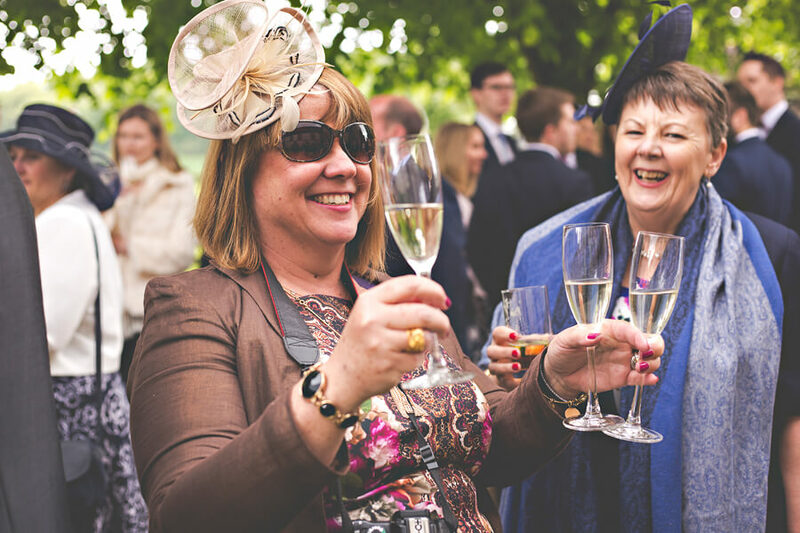 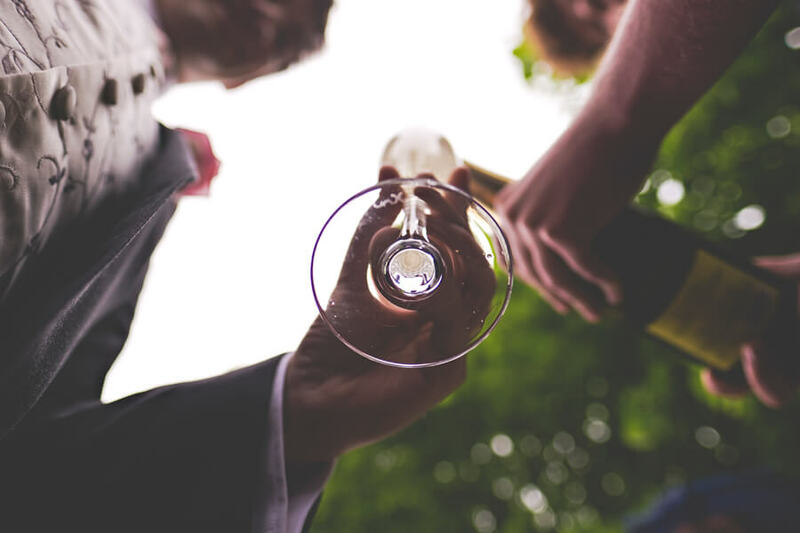 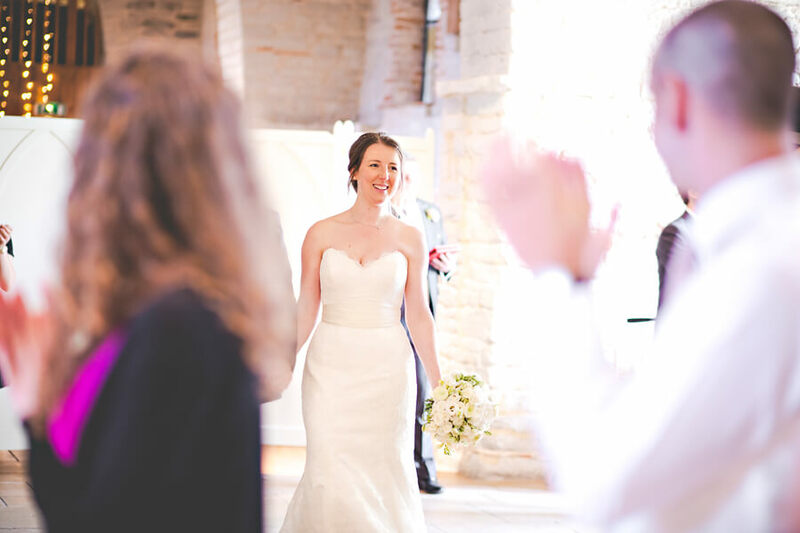 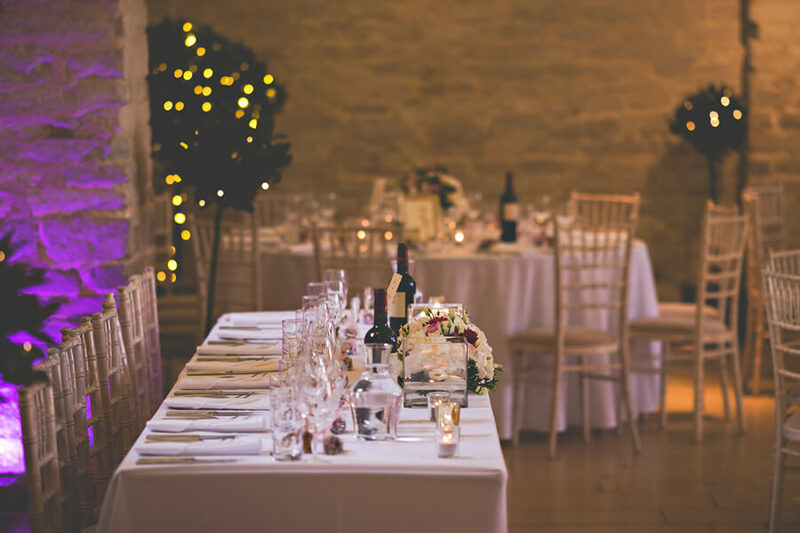 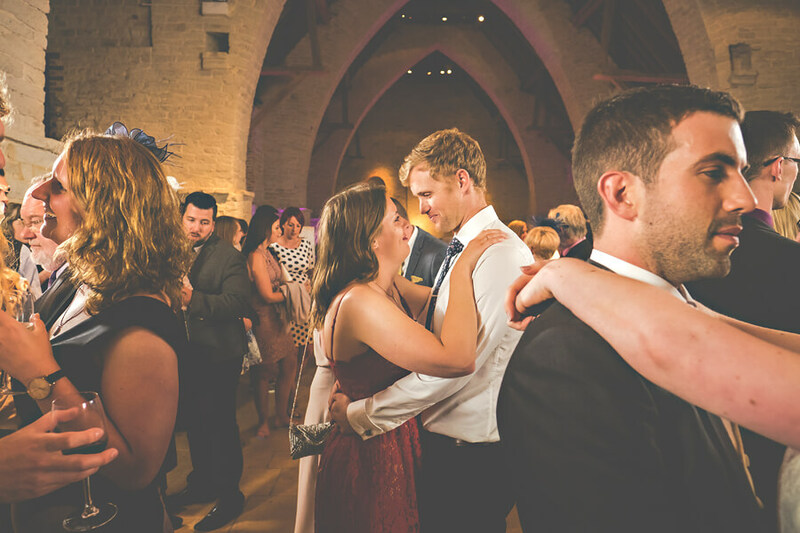 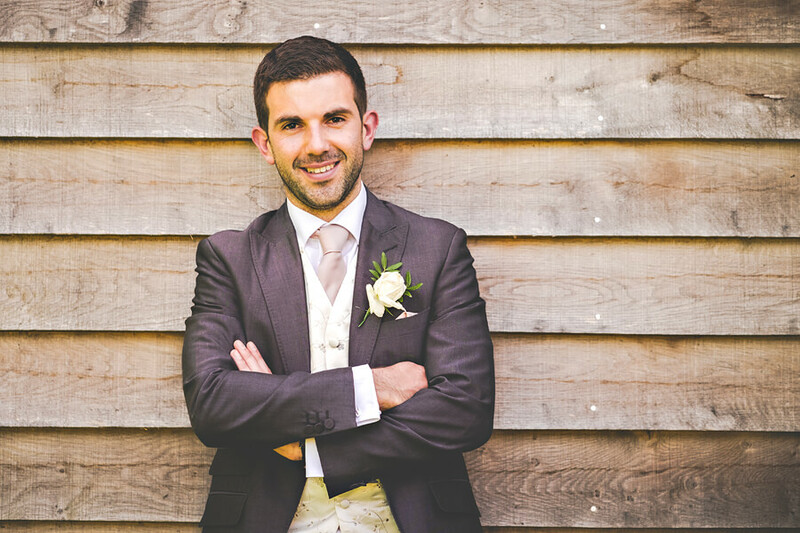 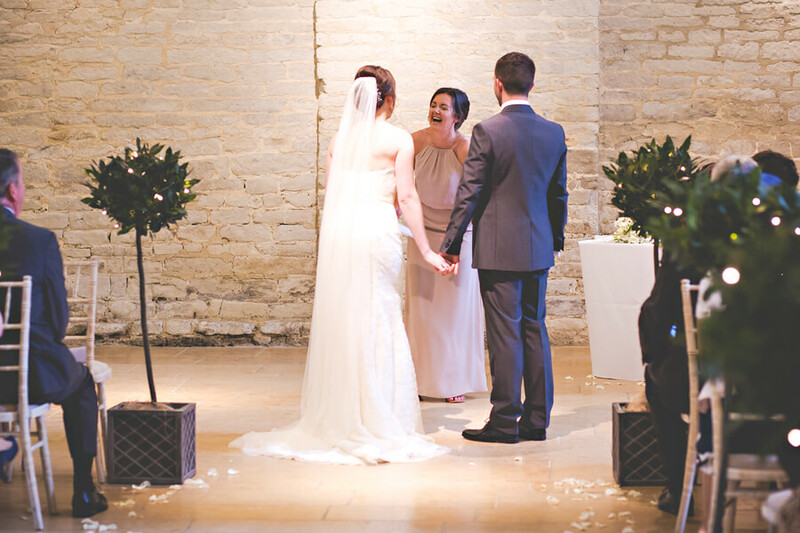 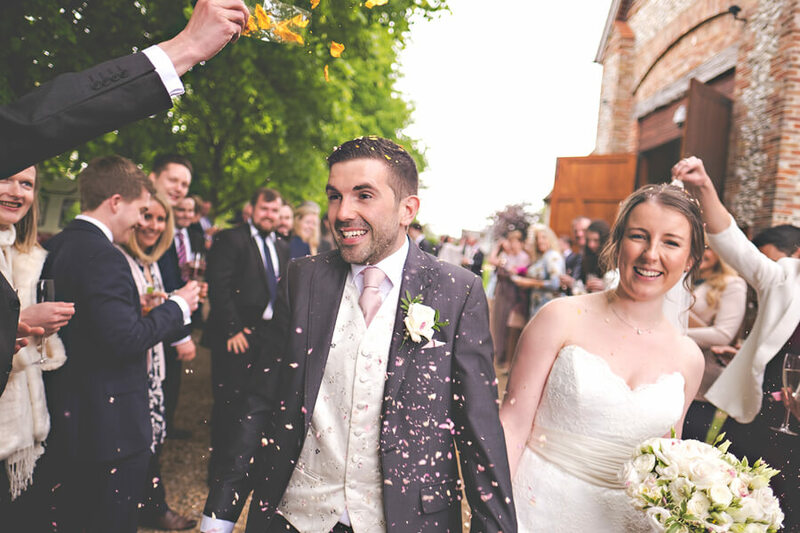 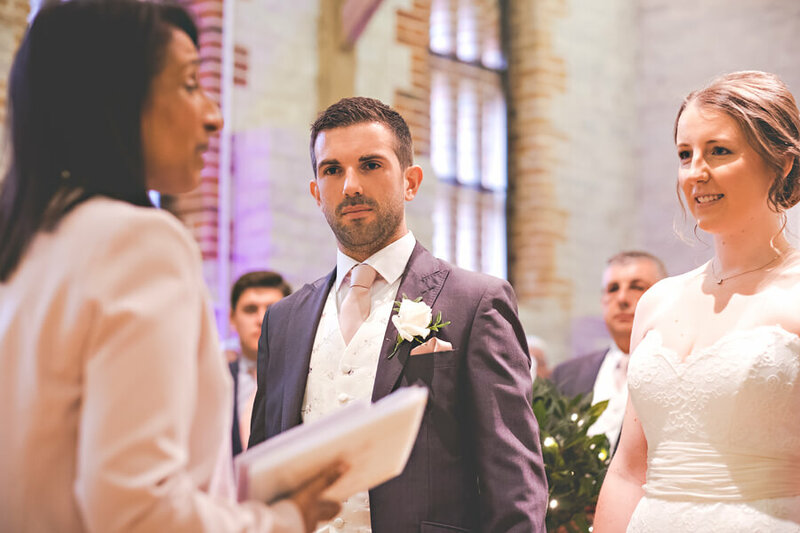 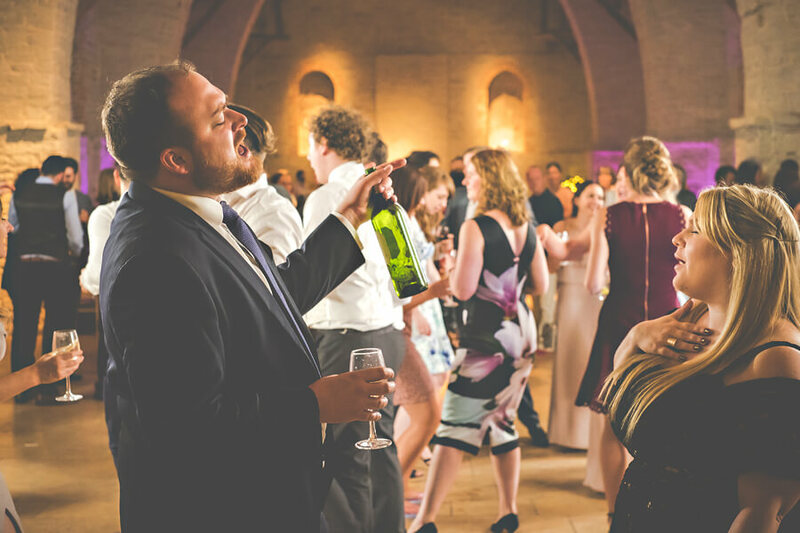 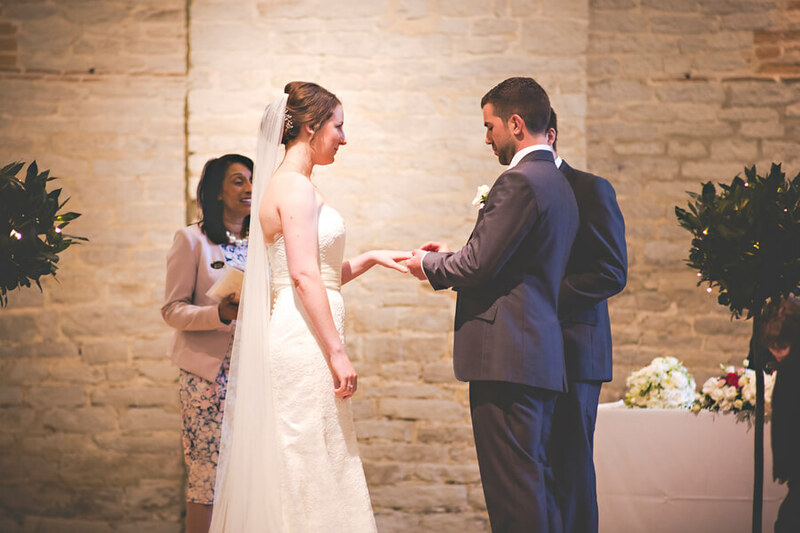 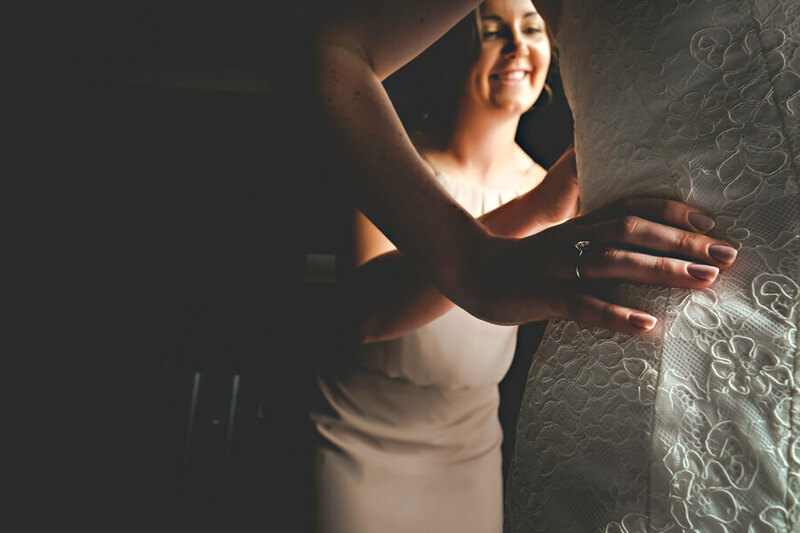 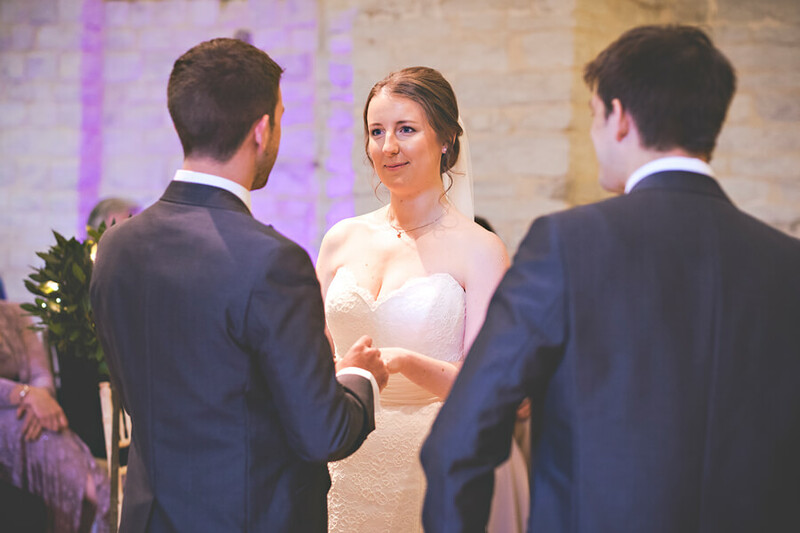 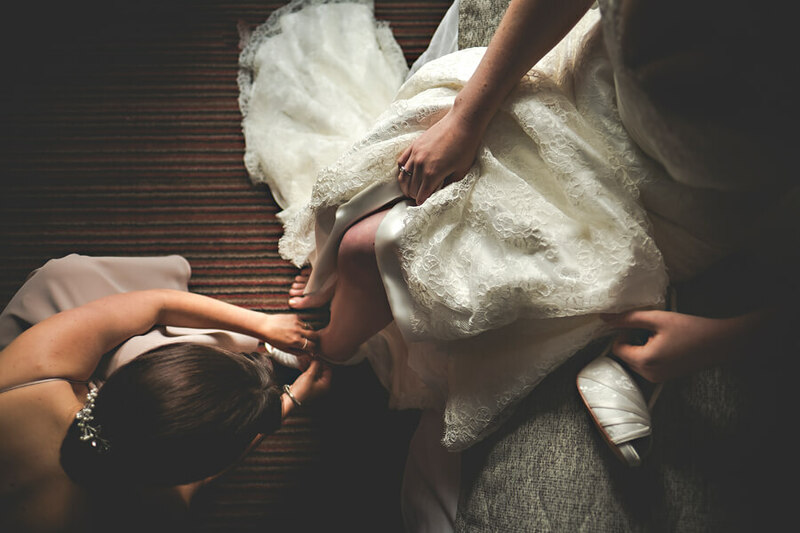 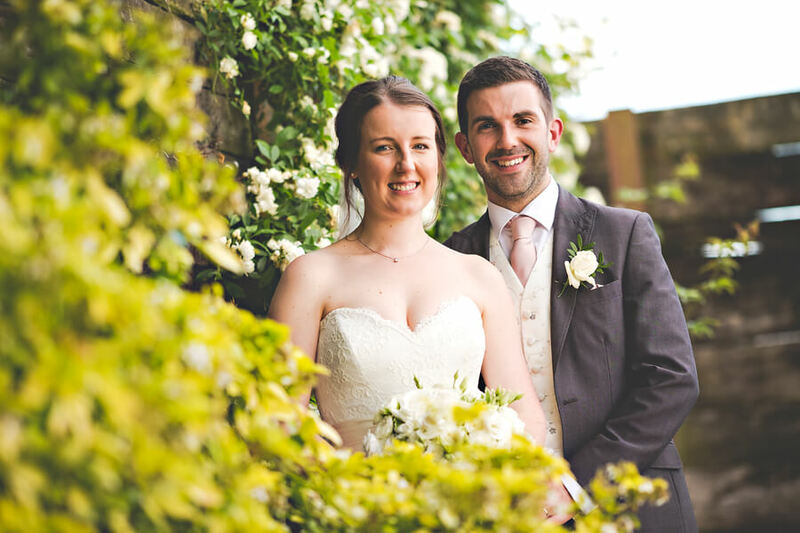 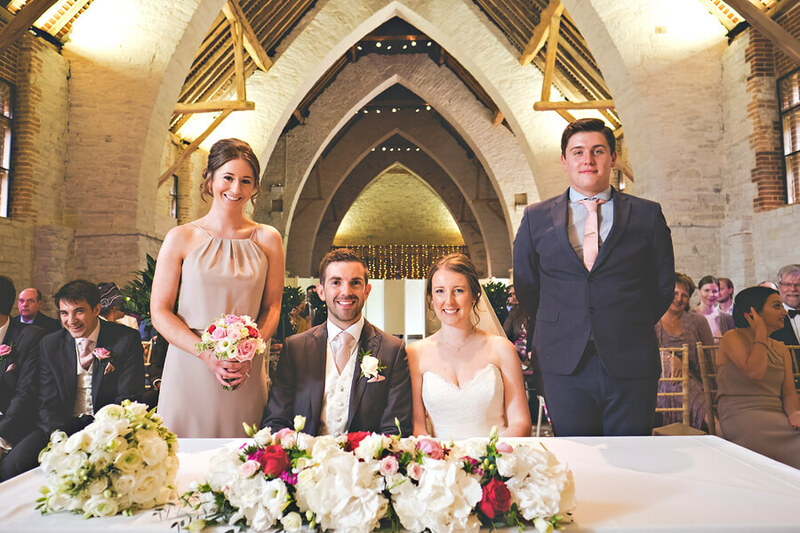 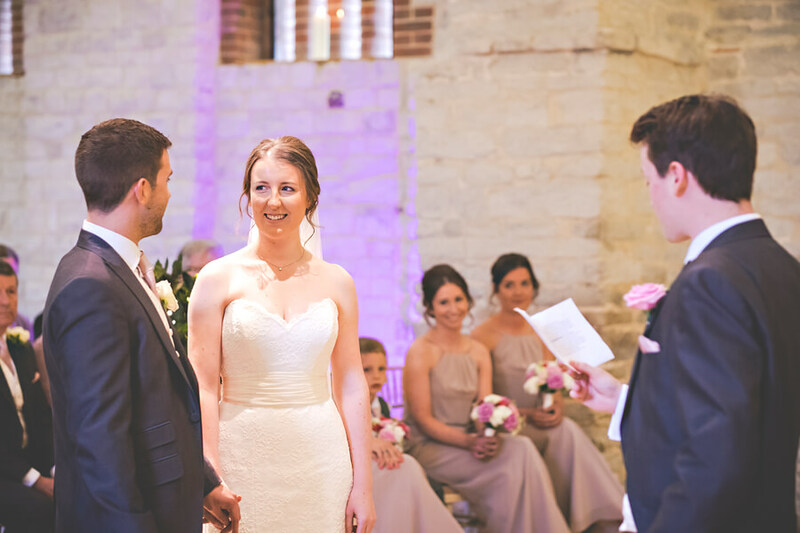 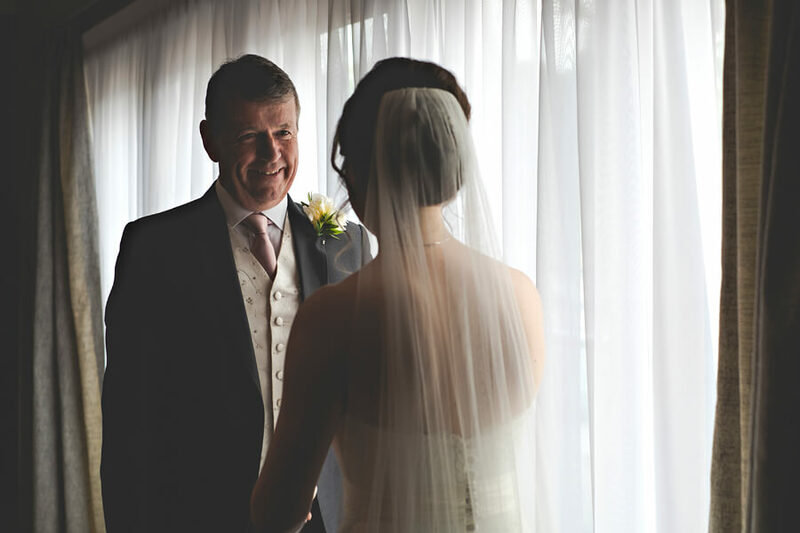 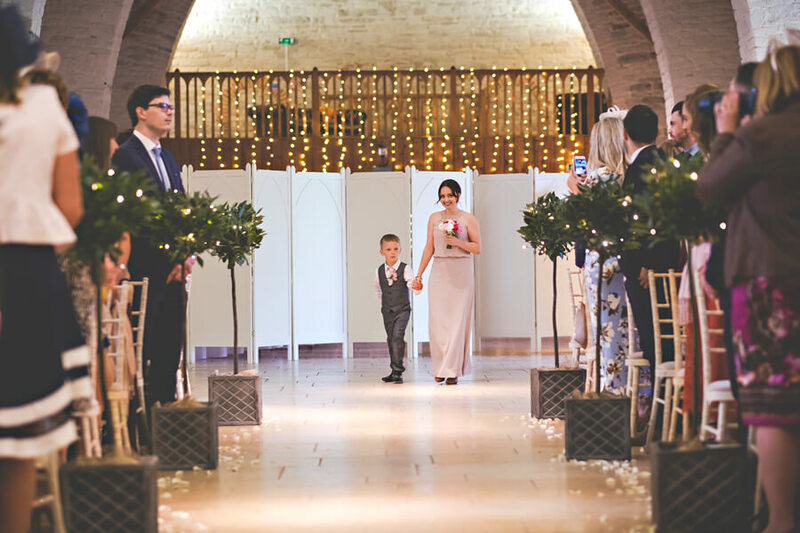 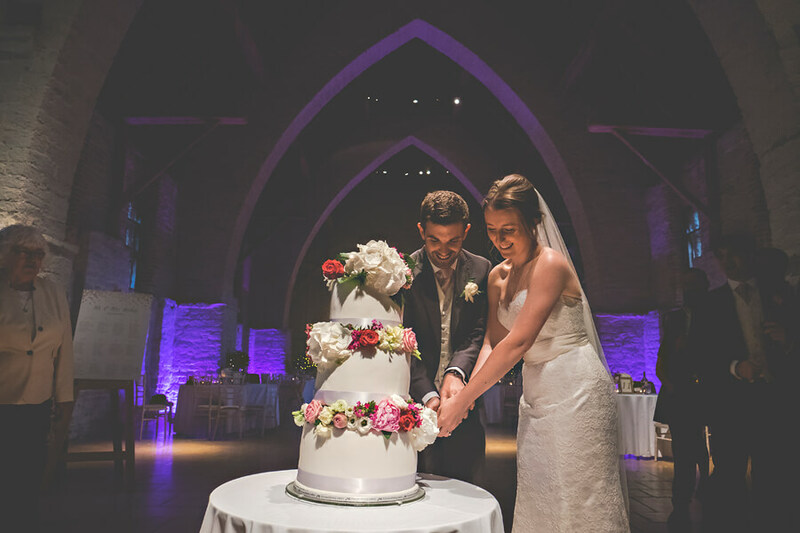 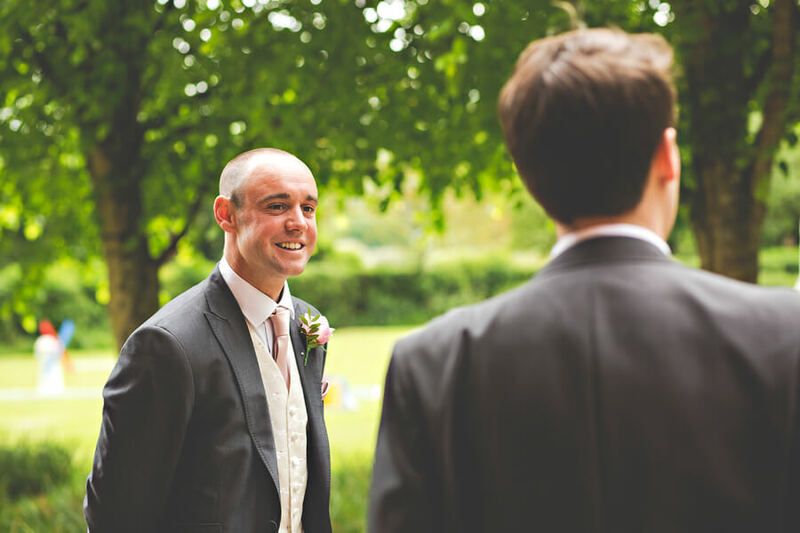 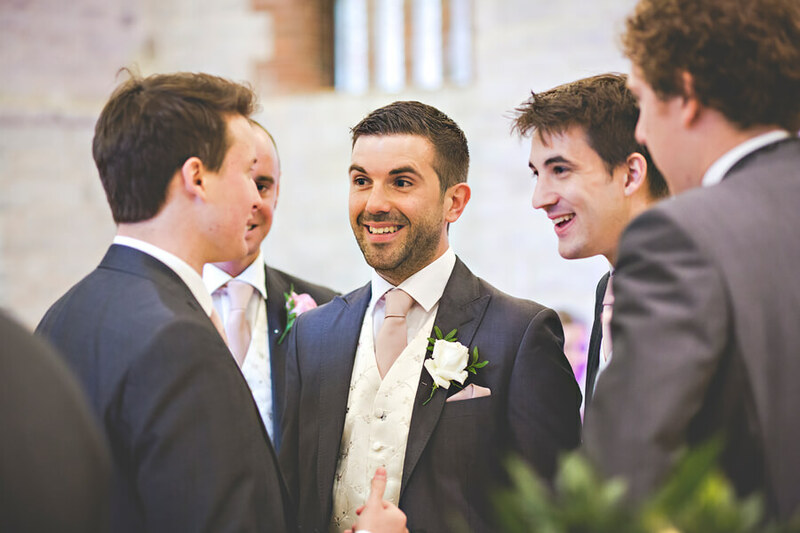 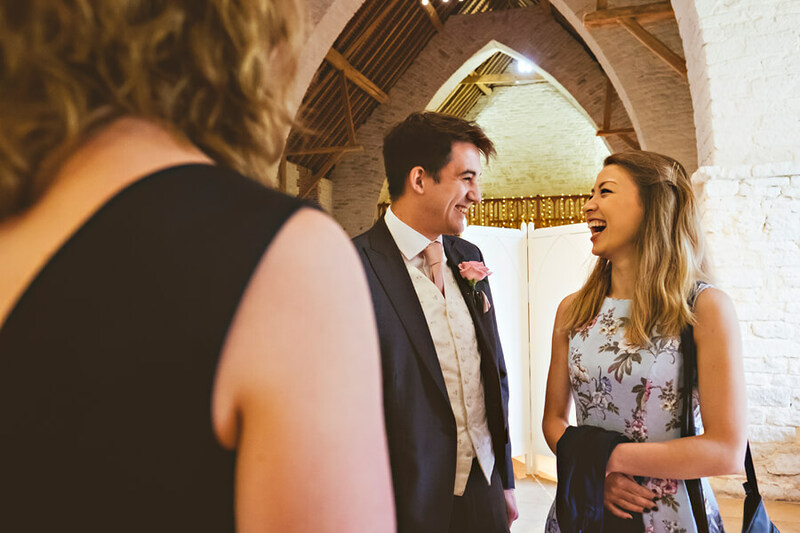 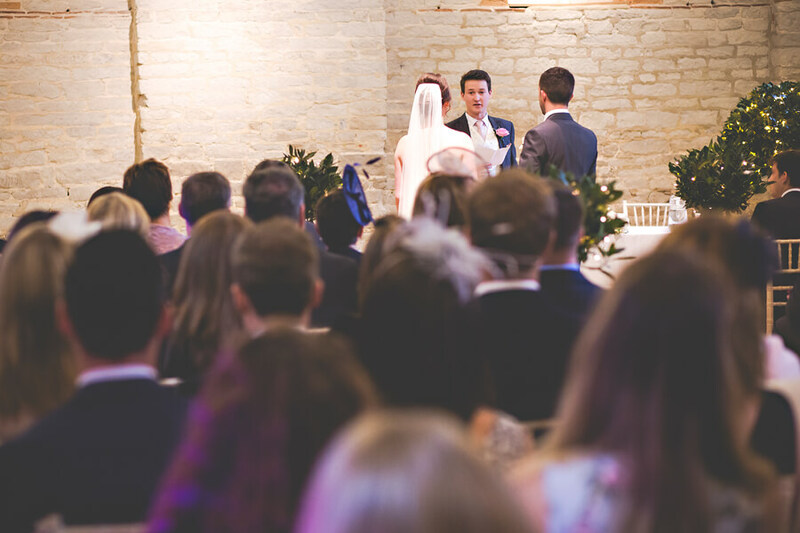 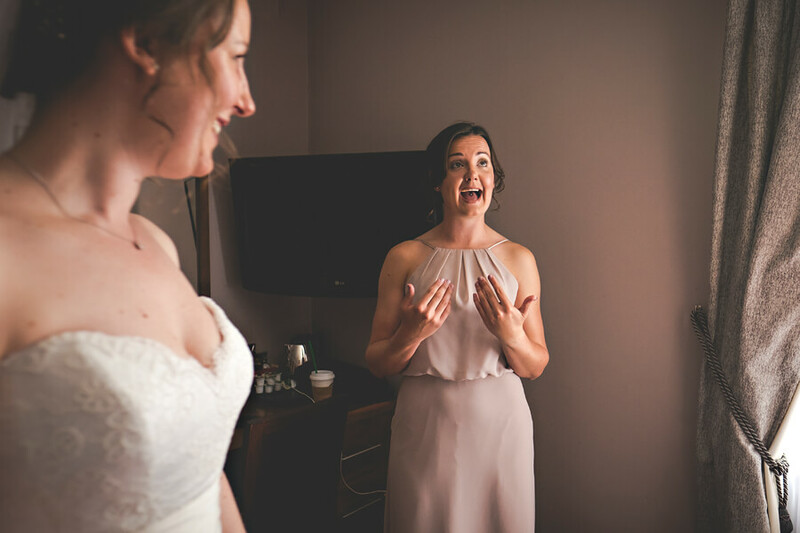 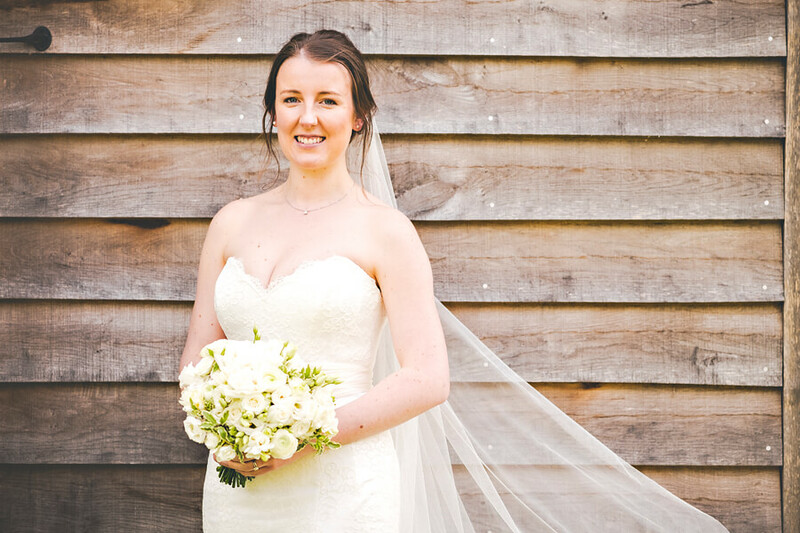 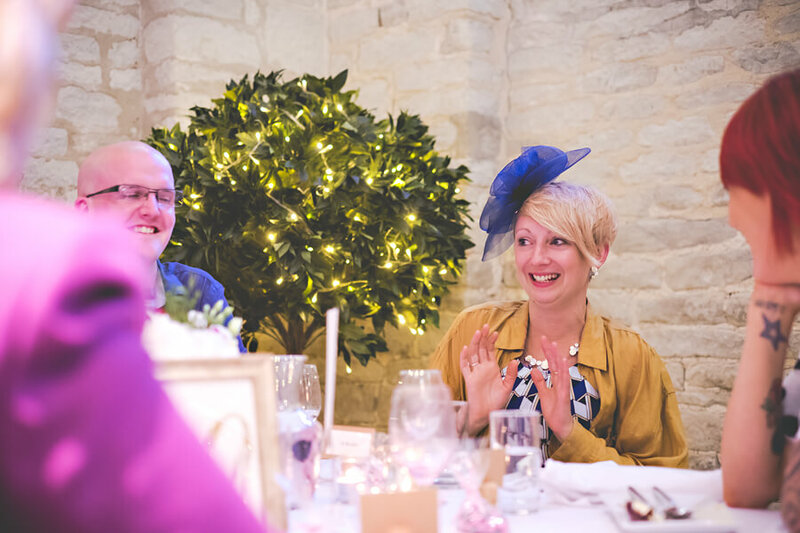 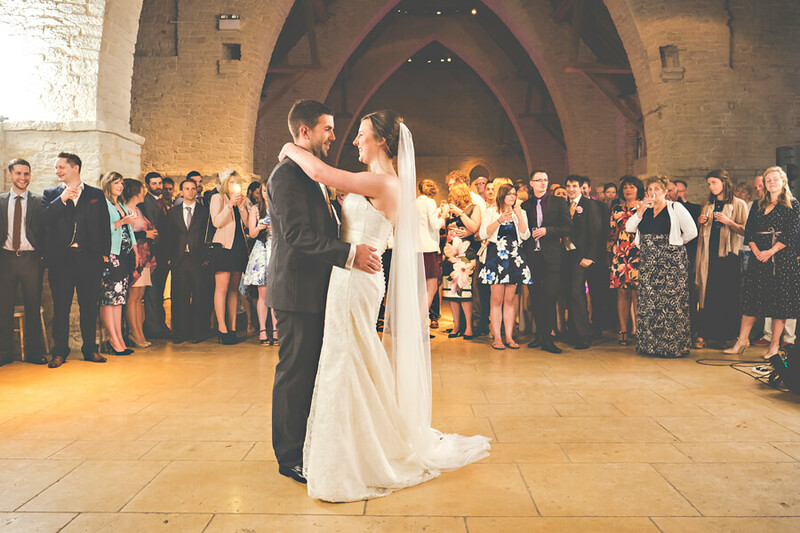 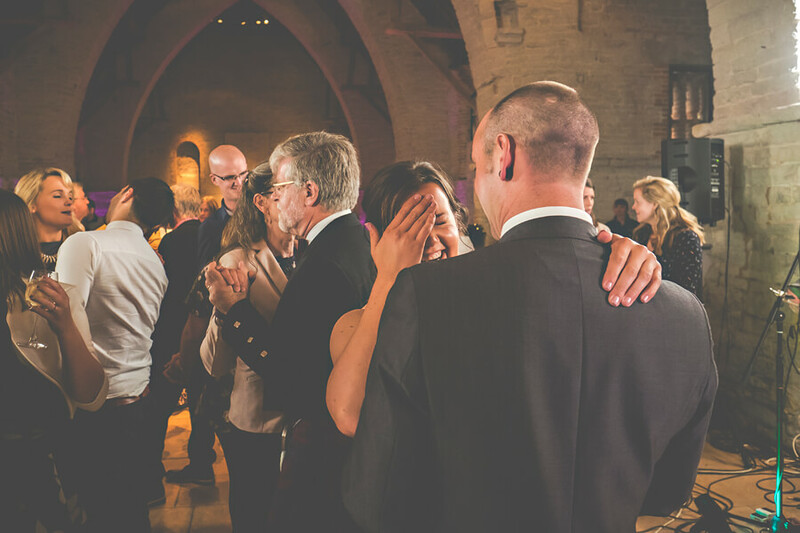 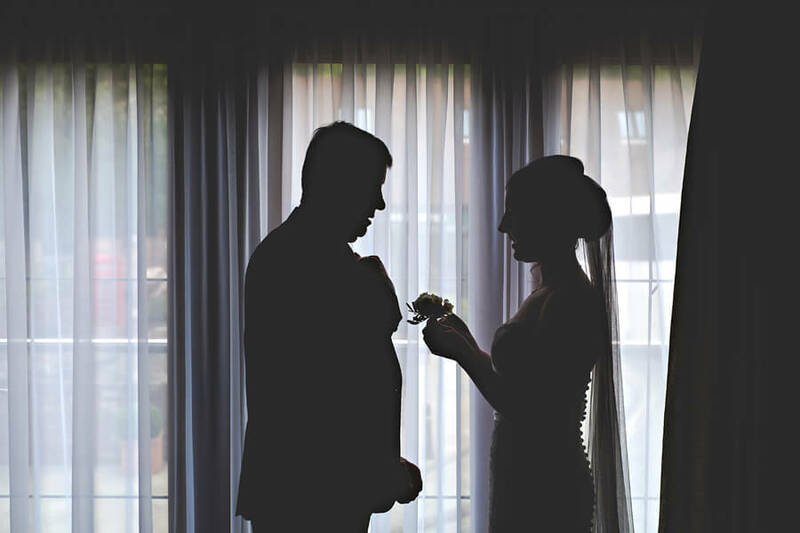 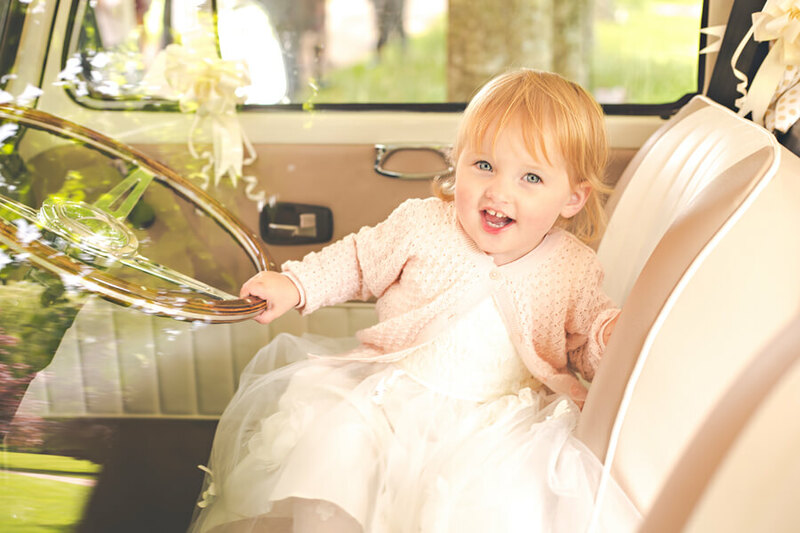 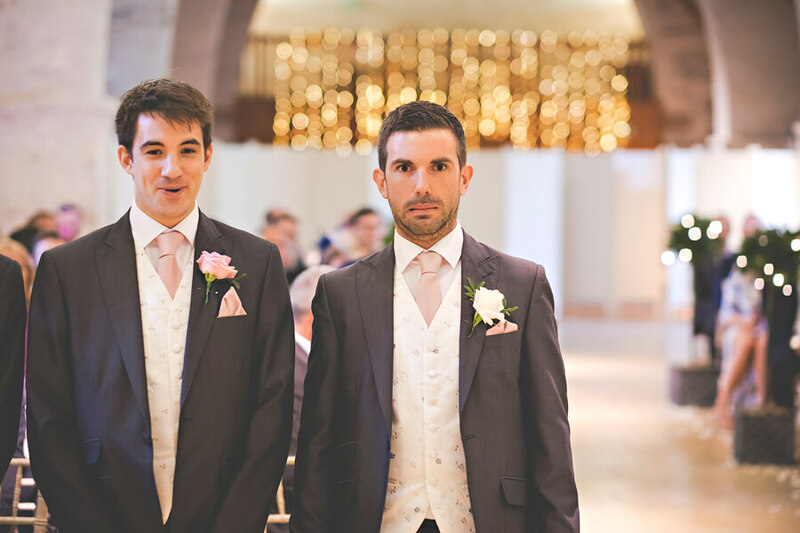 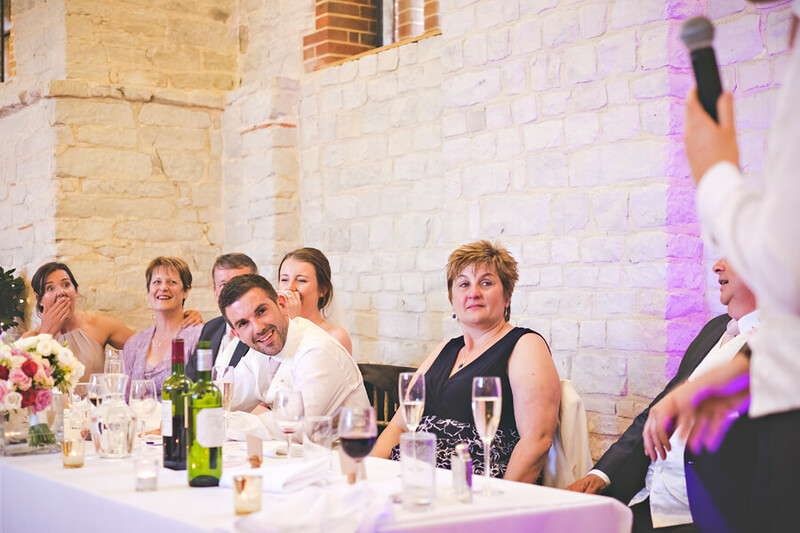 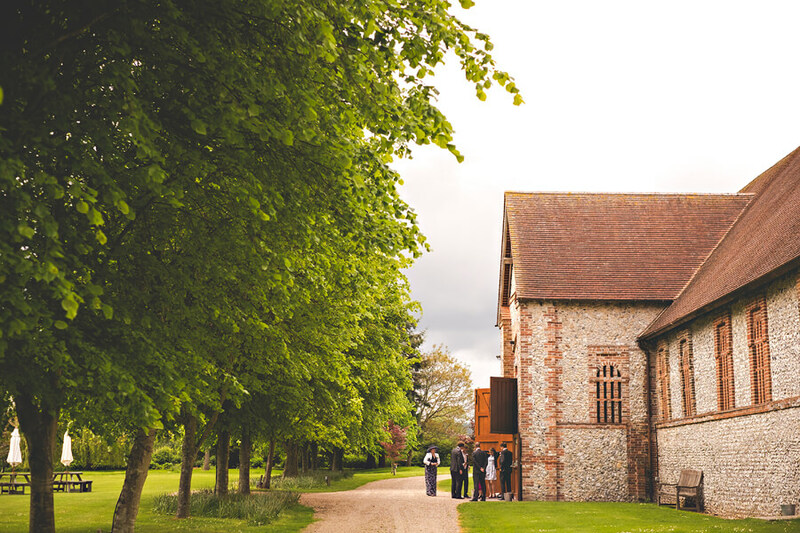 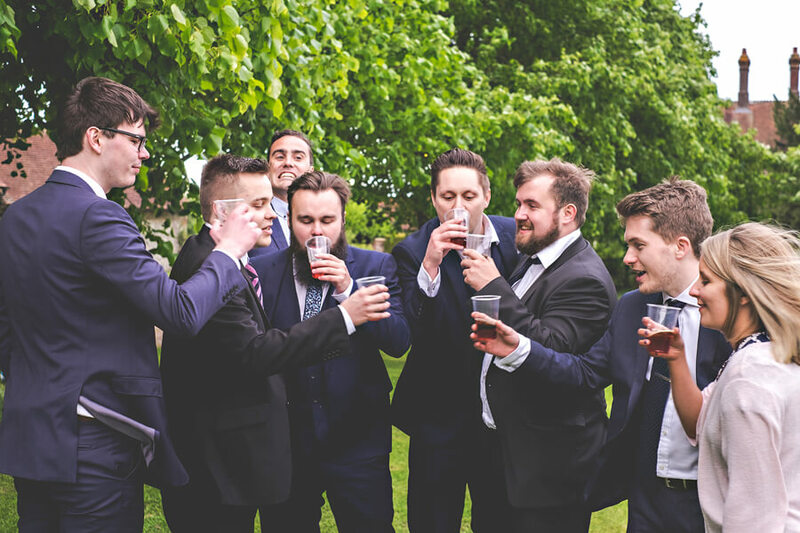 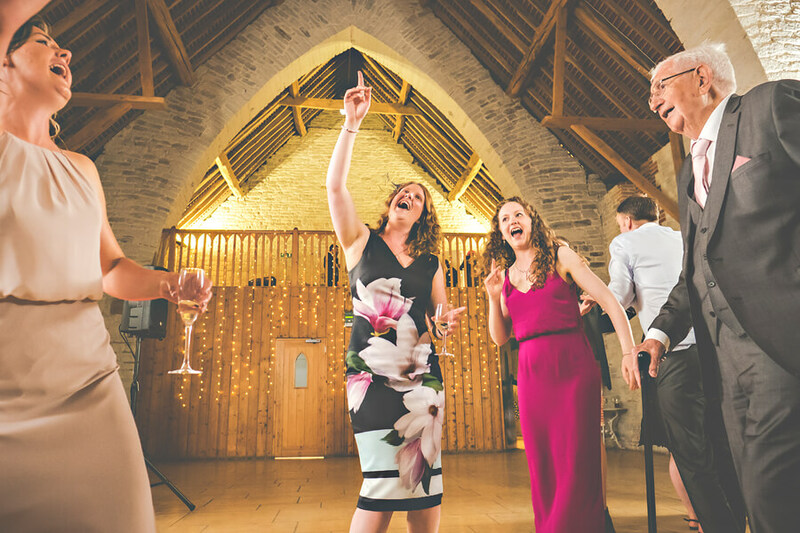 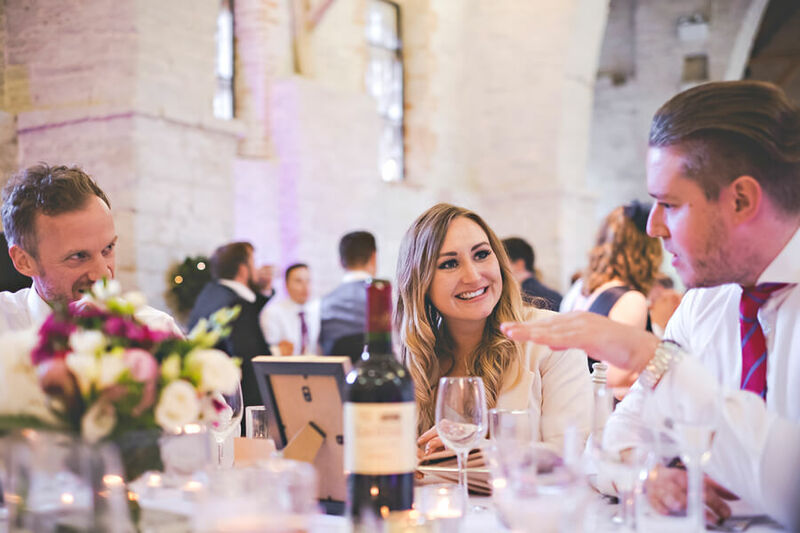 It’s always amazing to work there and as a recommended photographer at Tithe Barn I get quite a few opportunities. 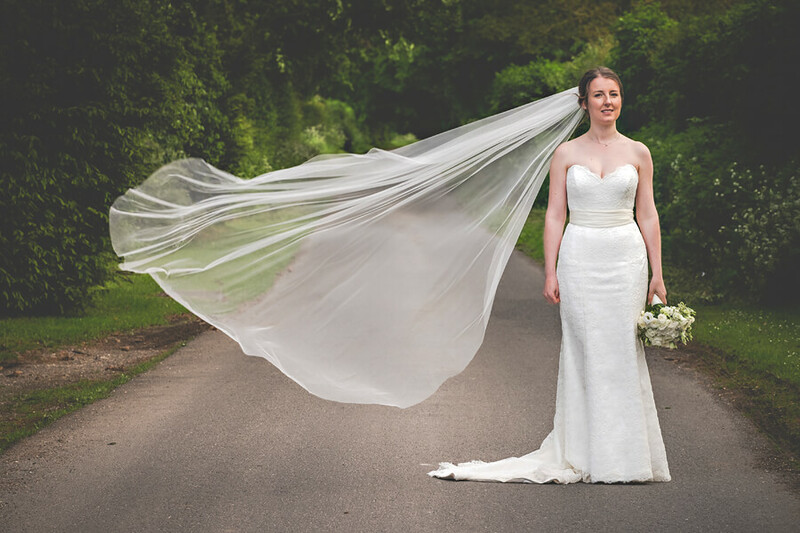 Sarah (and her dress) looked incredible and despite James’ ‘uh oh look’ (you’ll see it when he’s at the front of the barn waiting for Sarah to arrive) he looked very much the part of handsome Groom. 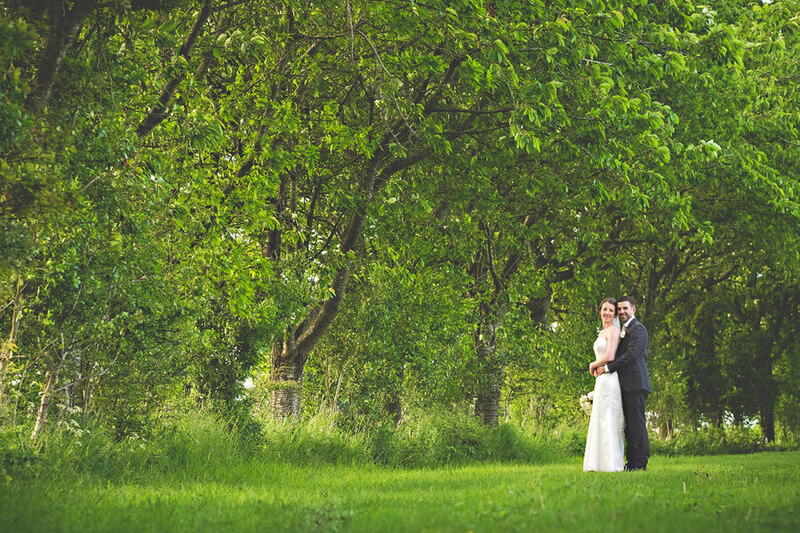 With better weather on the way we opted to photograph the couple after the meal. 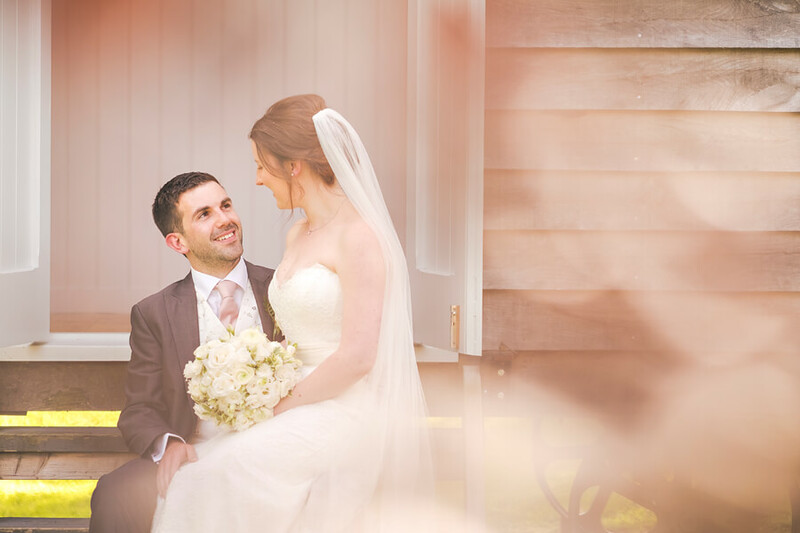 I’m so glad we did as the light was fantastic and despite visiting the barn over 60 times I was able to find a new location to add to the many I already utilise given any weather. 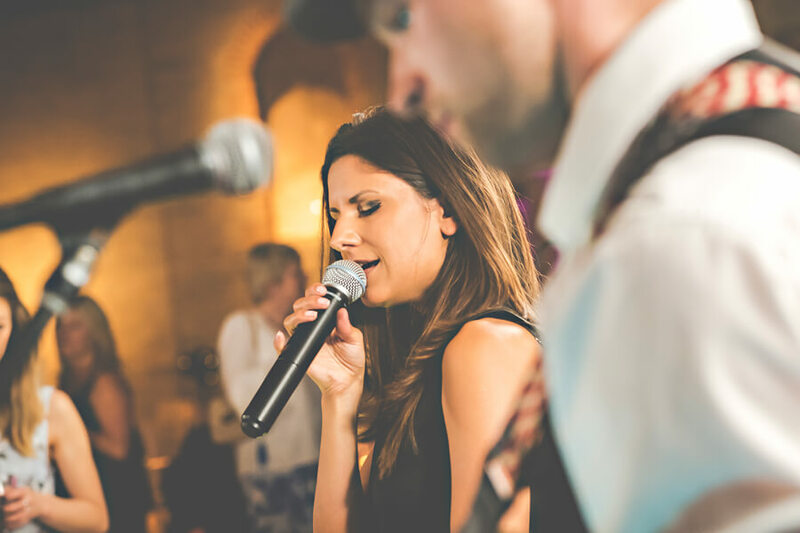 I stayed on for quite a few songs by the band in the evening to ensure I had some great images to give back to Sarah and James.